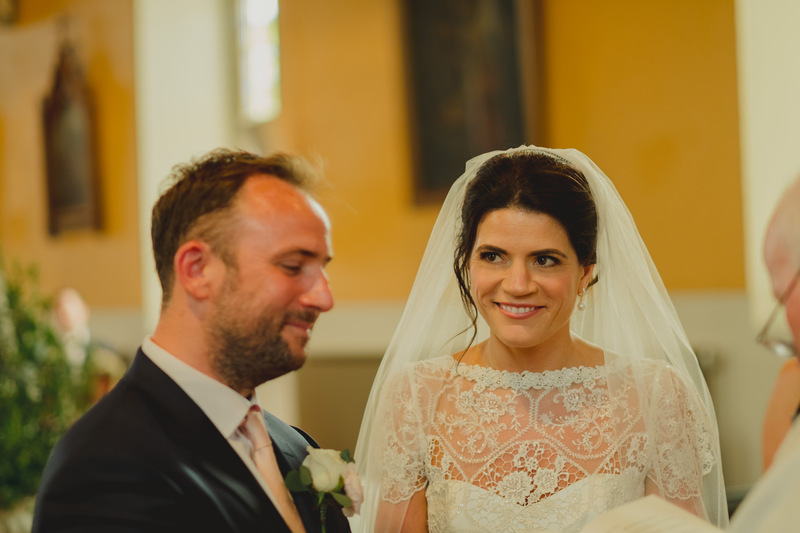 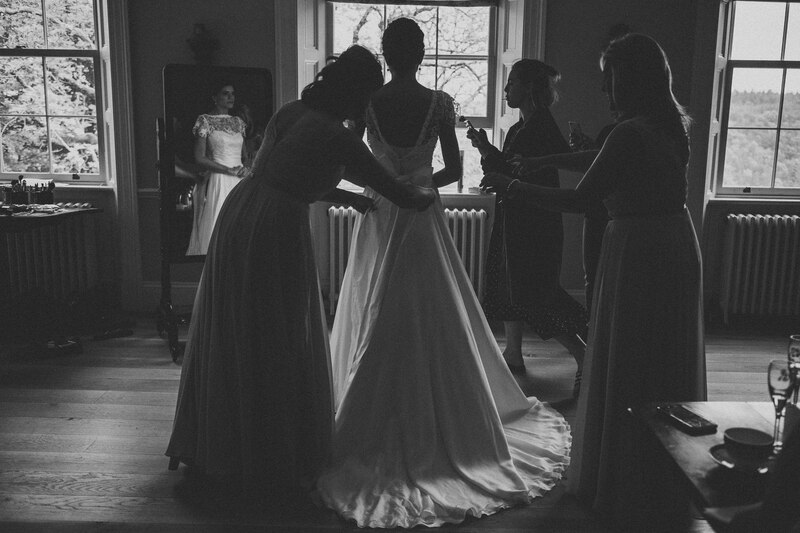 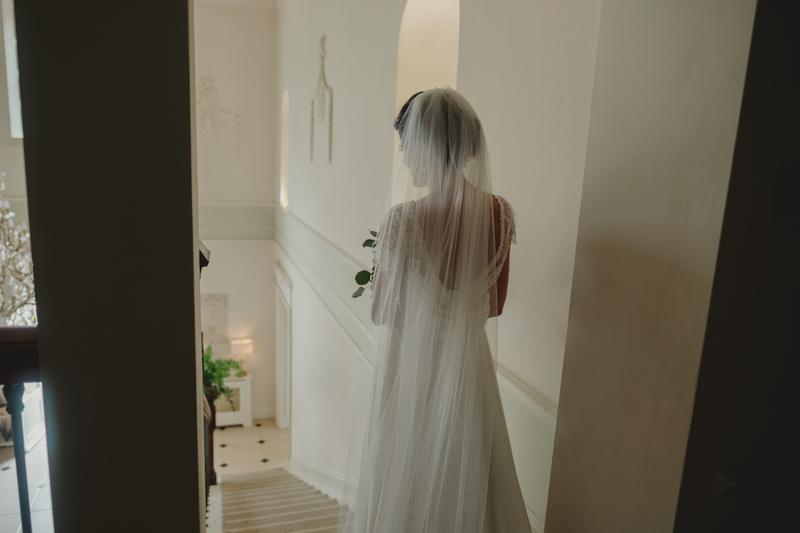 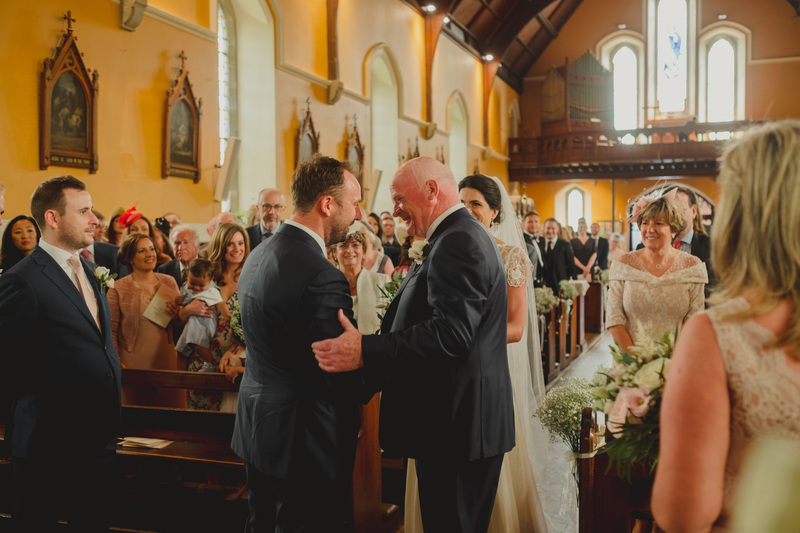 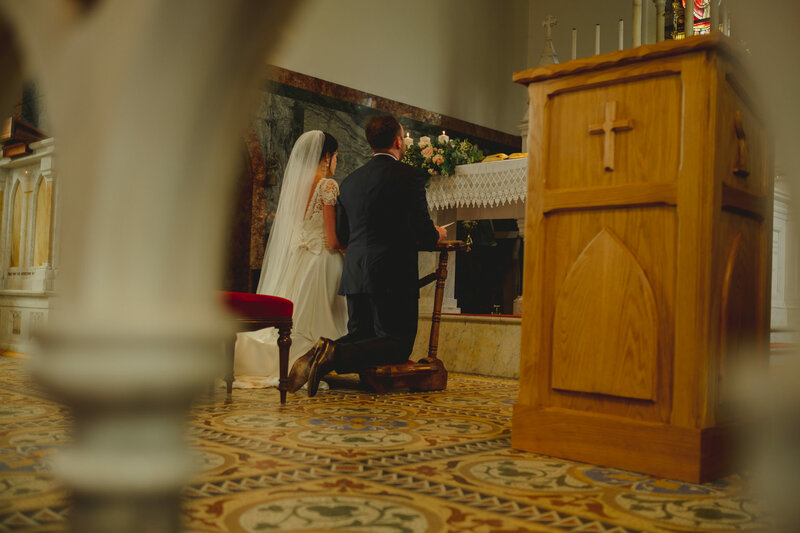 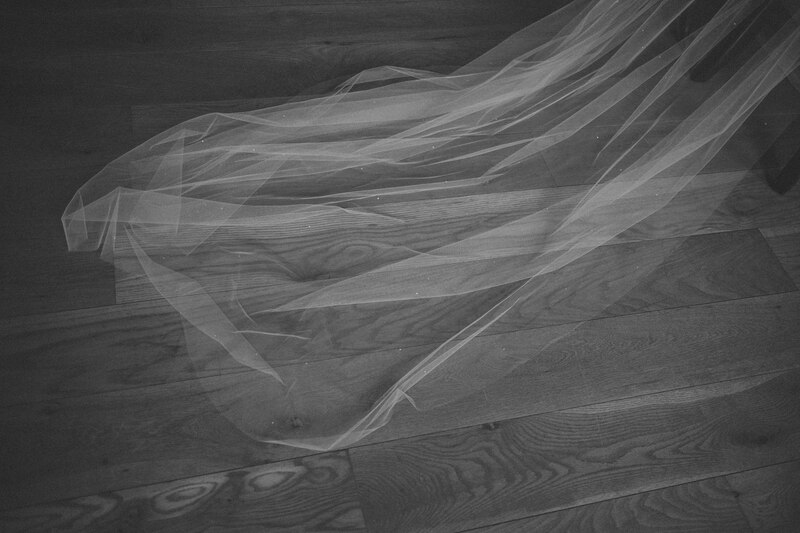 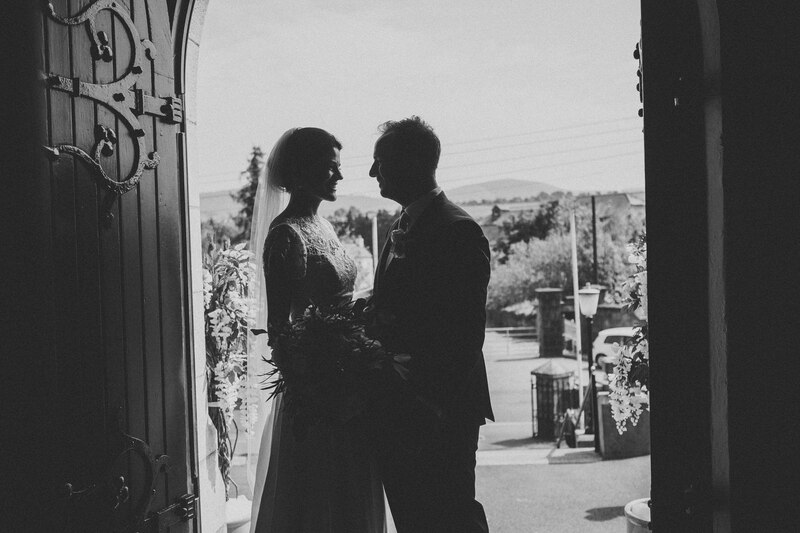 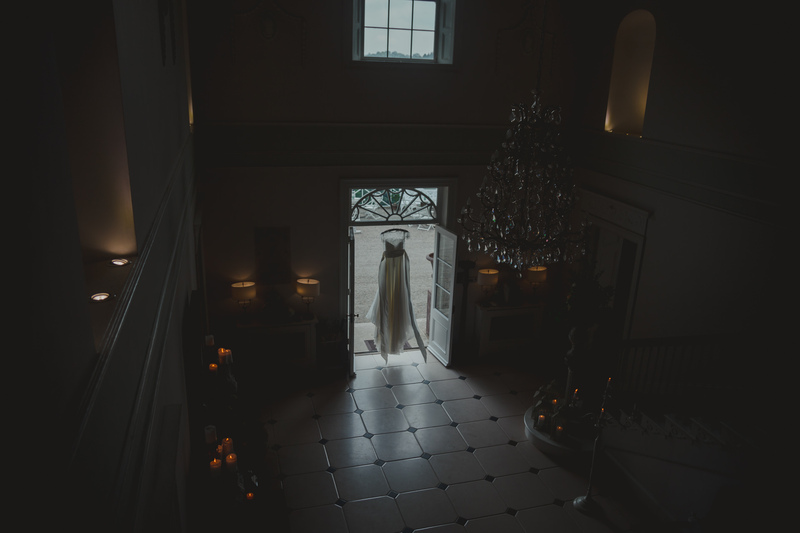 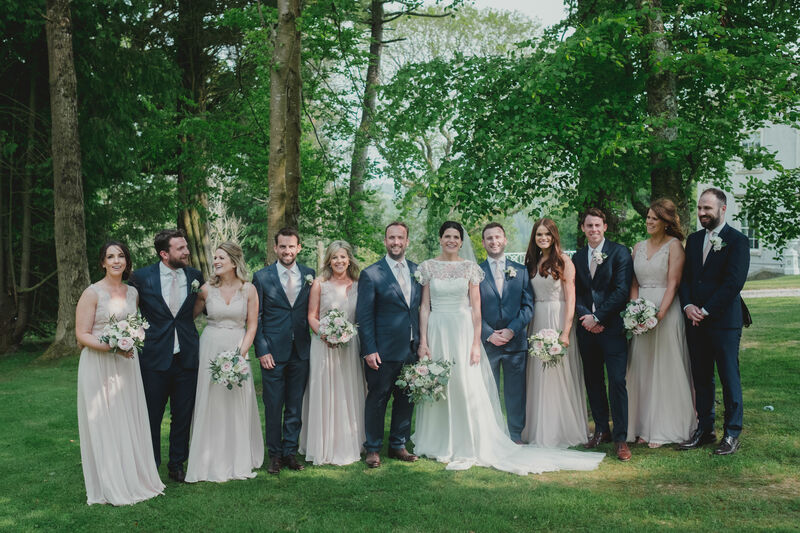 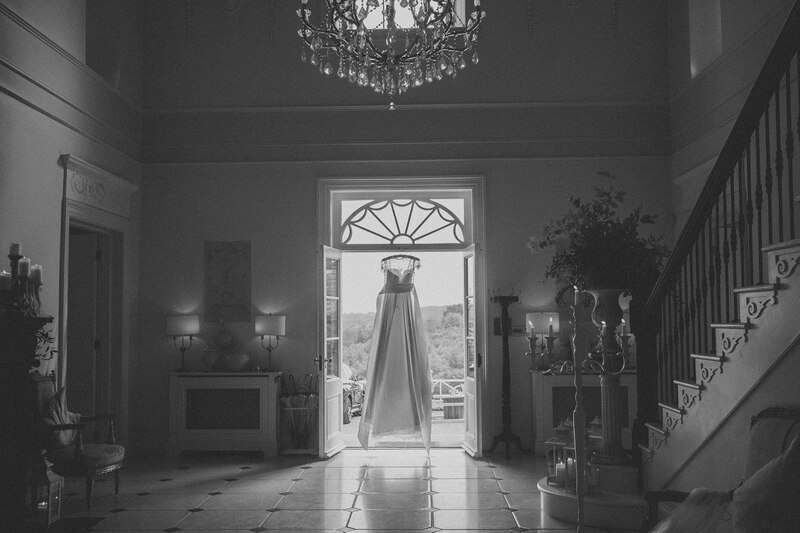 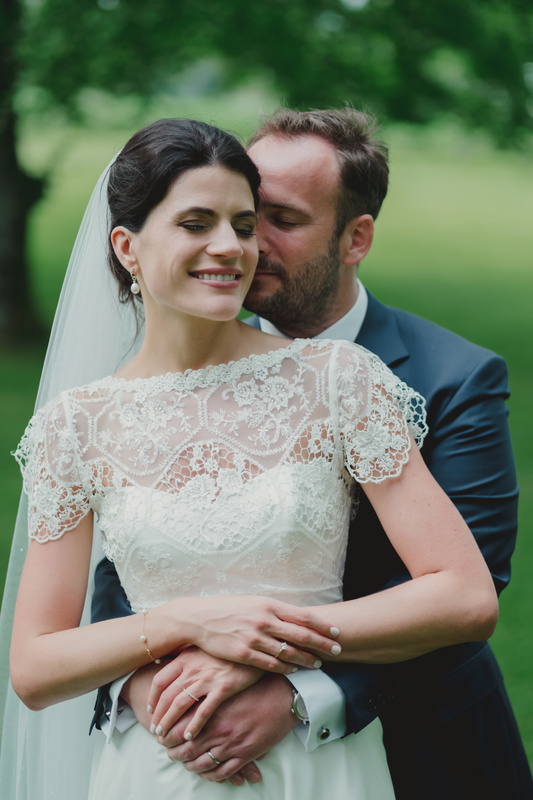 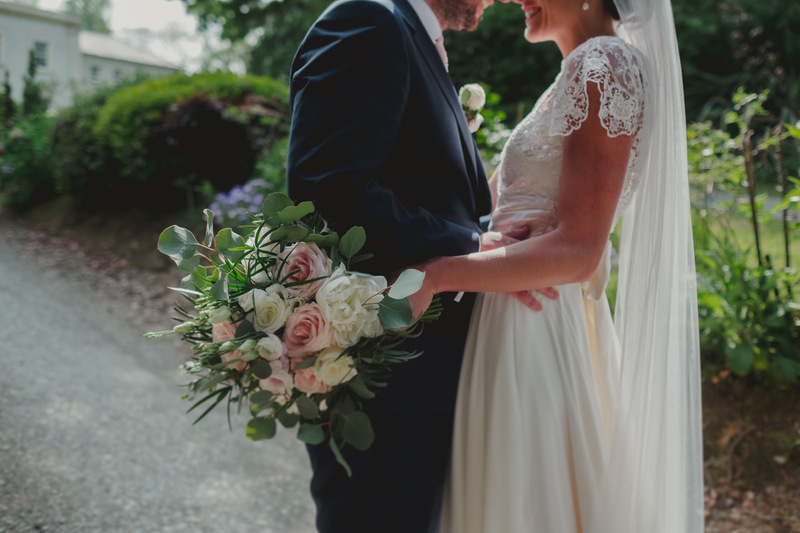 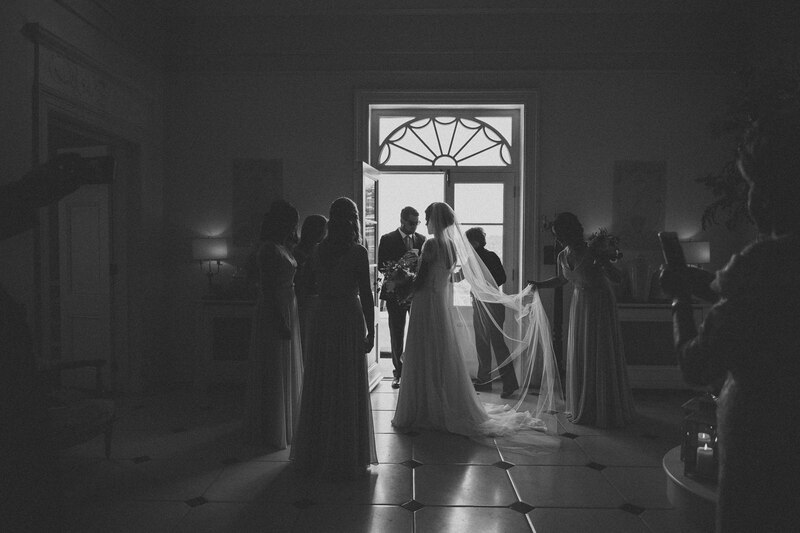 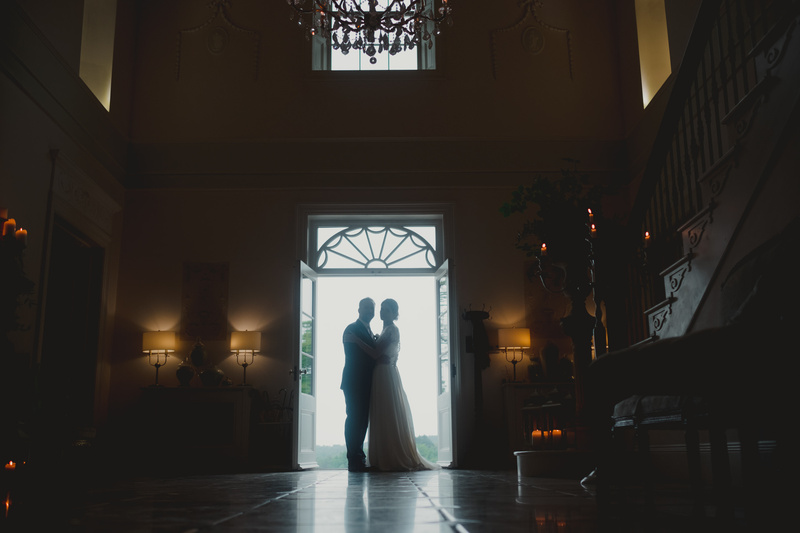 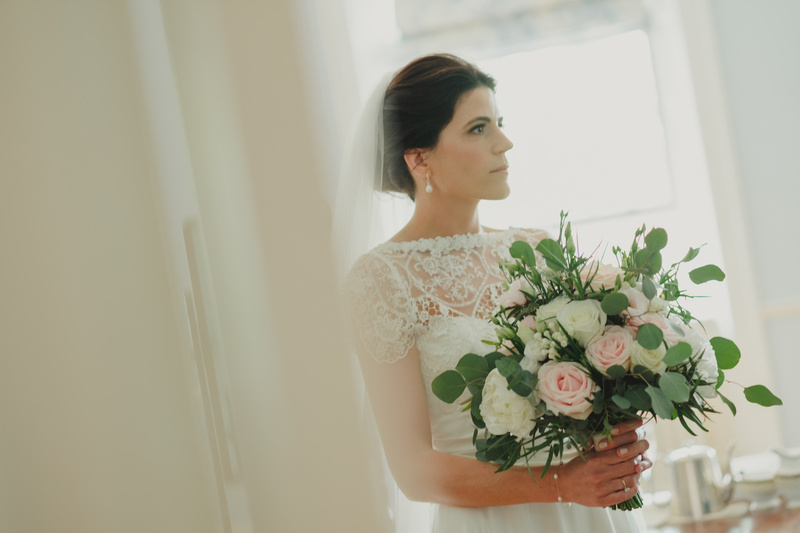 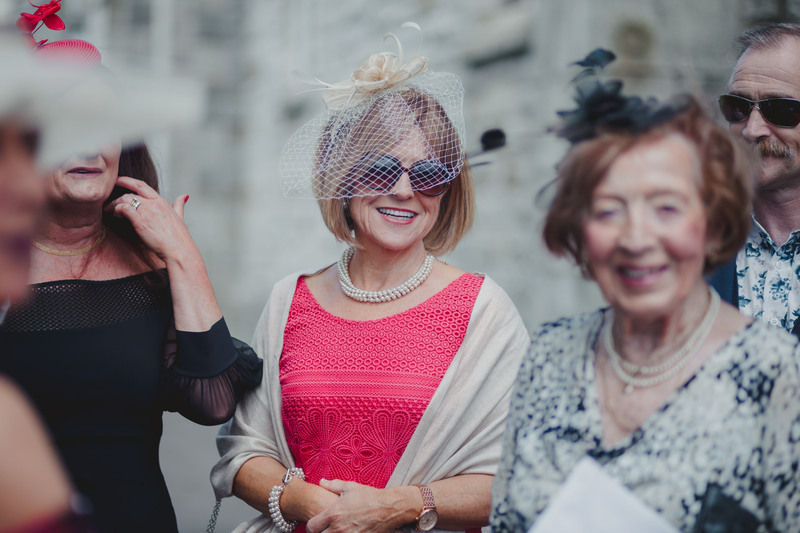 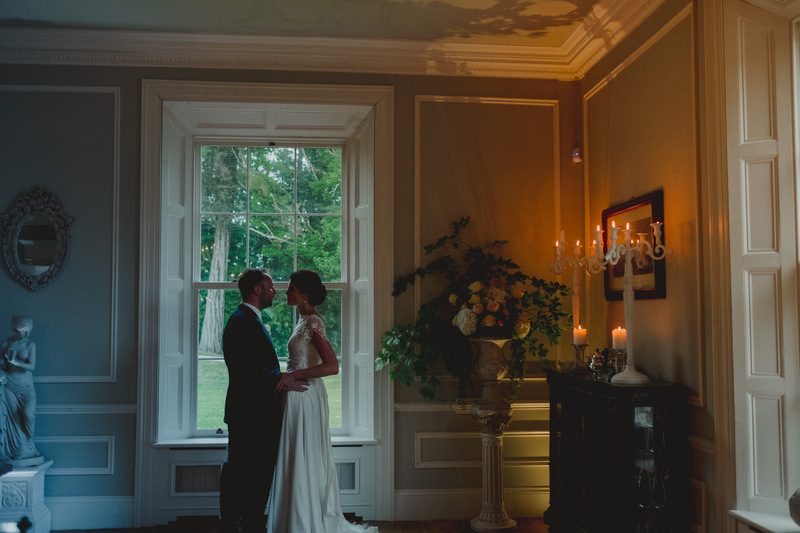 What a Stunningly beautiful Clonwilliam House Wedding for Siobhan and Michael. 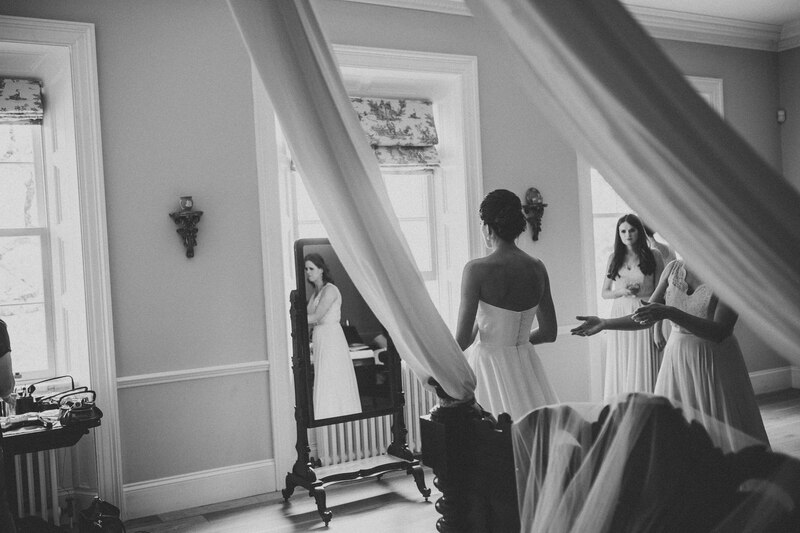 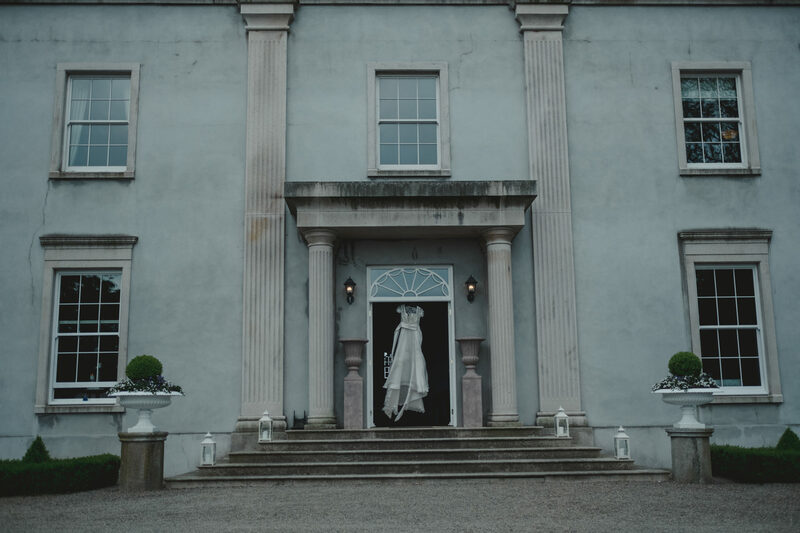 Clonwilliam House is one of Ireland’s most spectacular wedding venues. 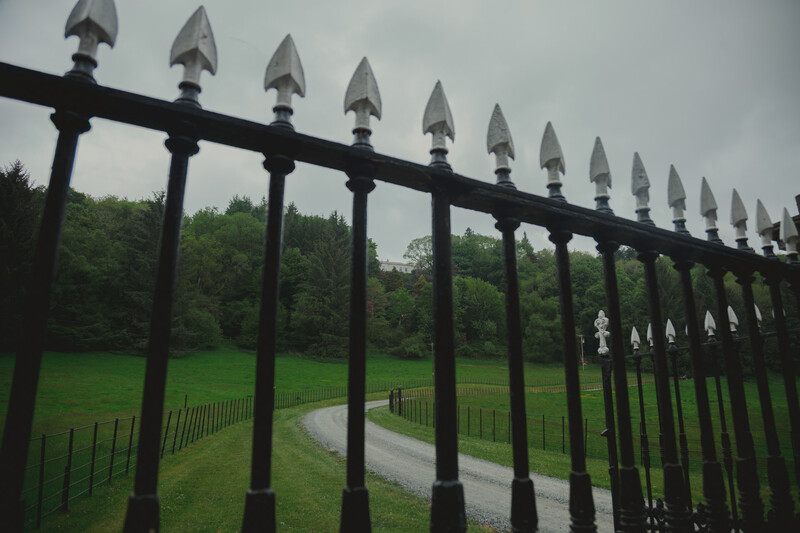 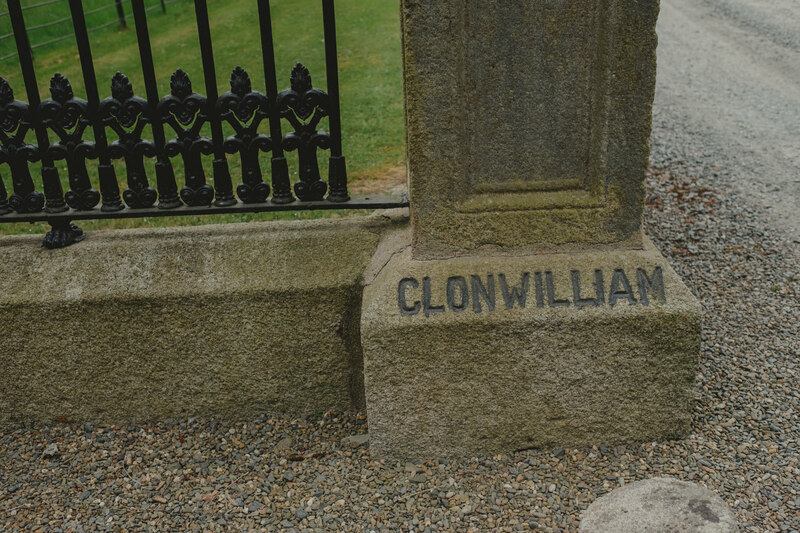 Clonwilliam House rests on top a wooden hilltop that surrounds the Vale Of Avoca. 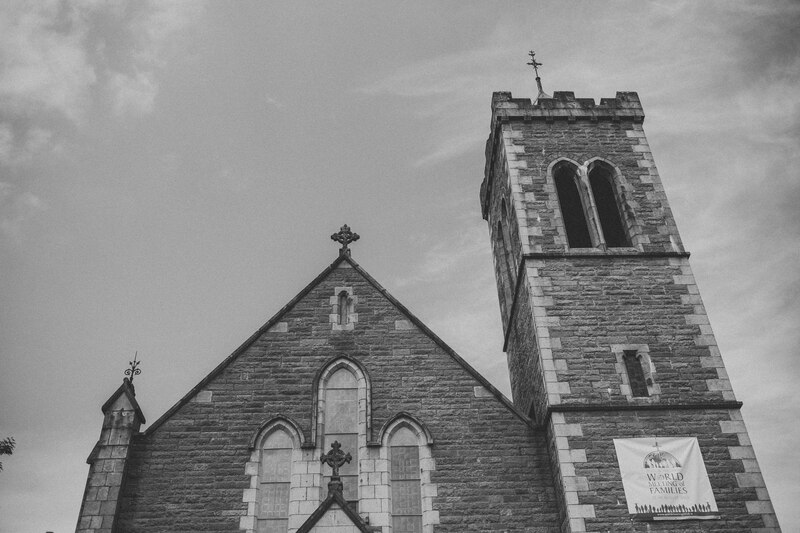 It also has the Goldmine River running through it. 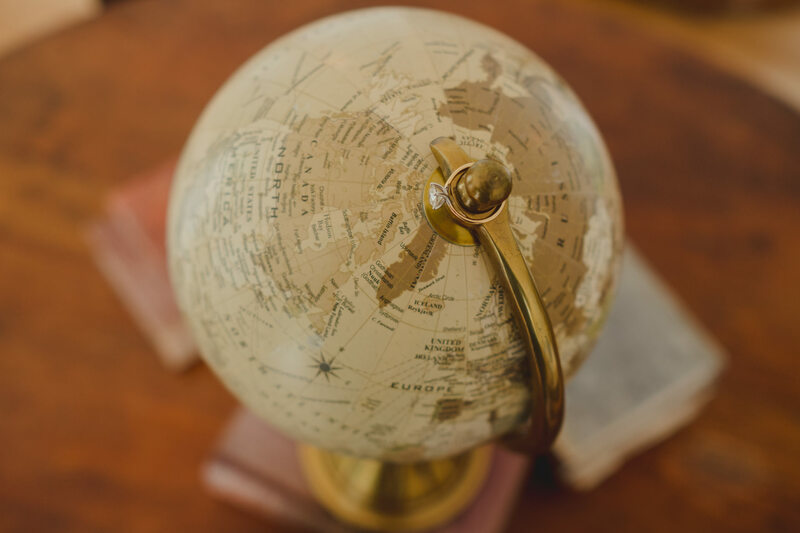 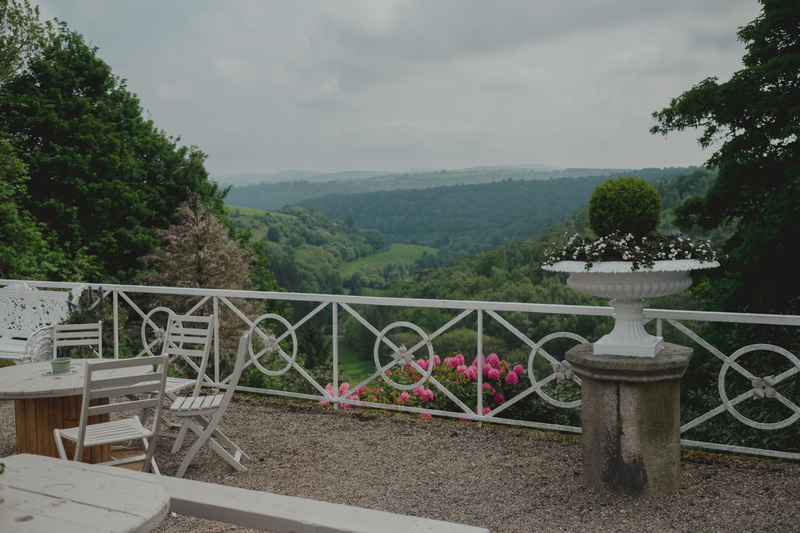 In the beautiful words of poet Thomas Moore, “There is not in this wide world a valley so sweet, As that vale whose bosom the bright waters meet”. 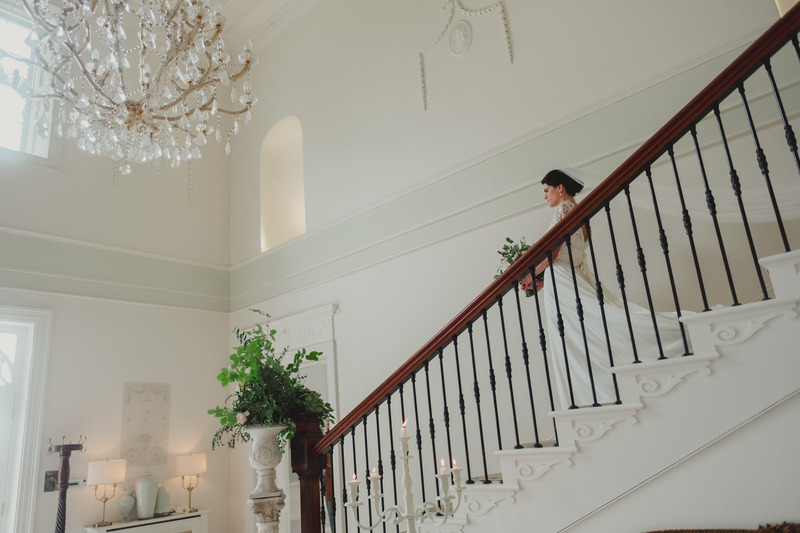 Clonwilliam House offers the perfect backdrop of Georgian 19th century features, elements which classically collide with contempoary 21st century comforts. 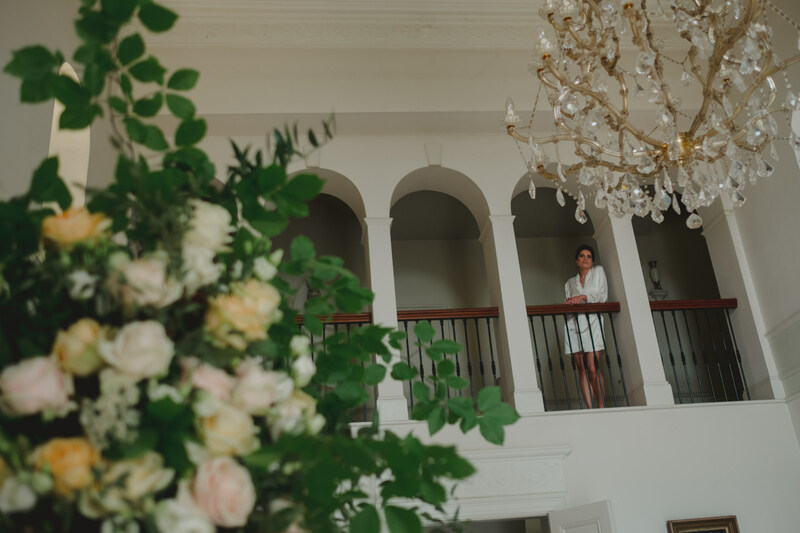 From it’s private location, to it’s indoor pool, the numerous cascading flower vases, their beautiful views or exquisite interiors and rooms. 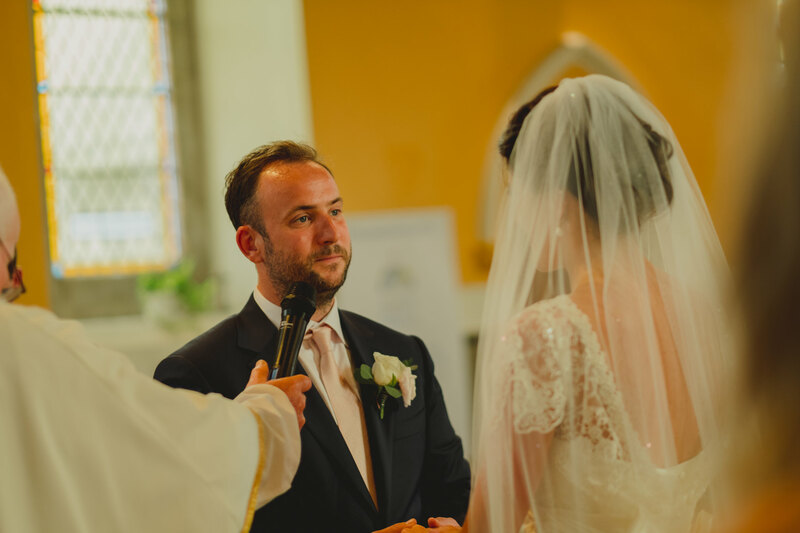 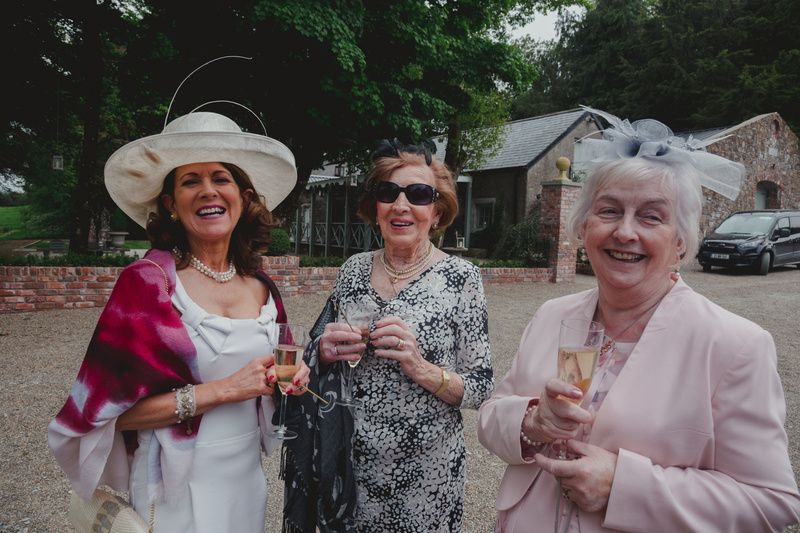 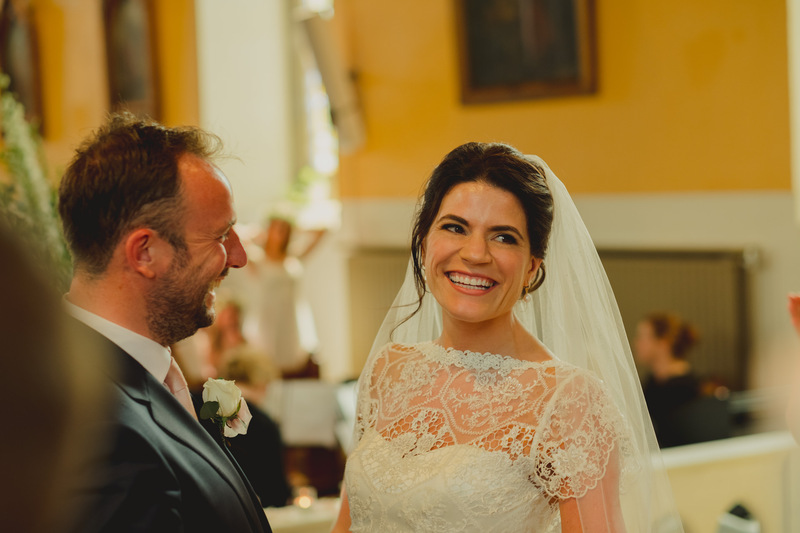 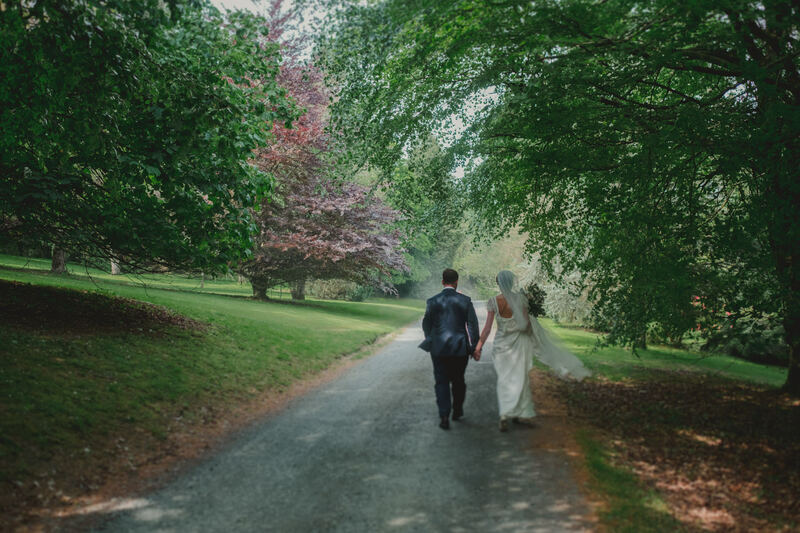 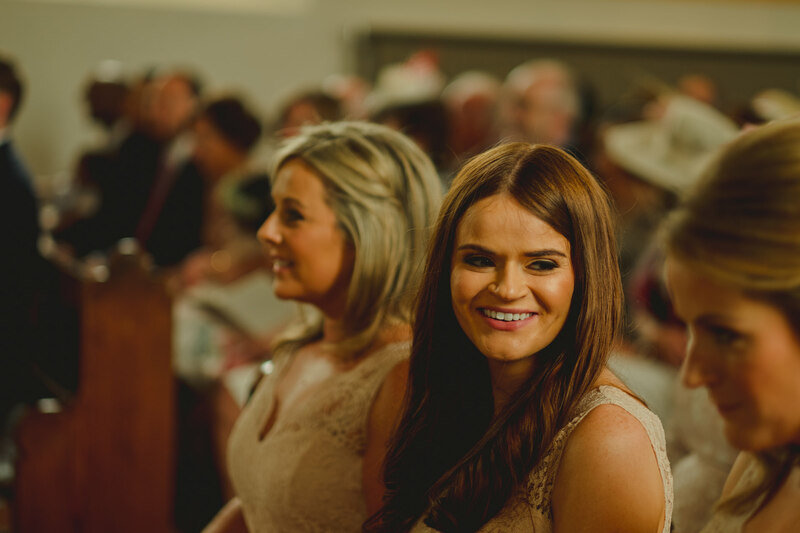 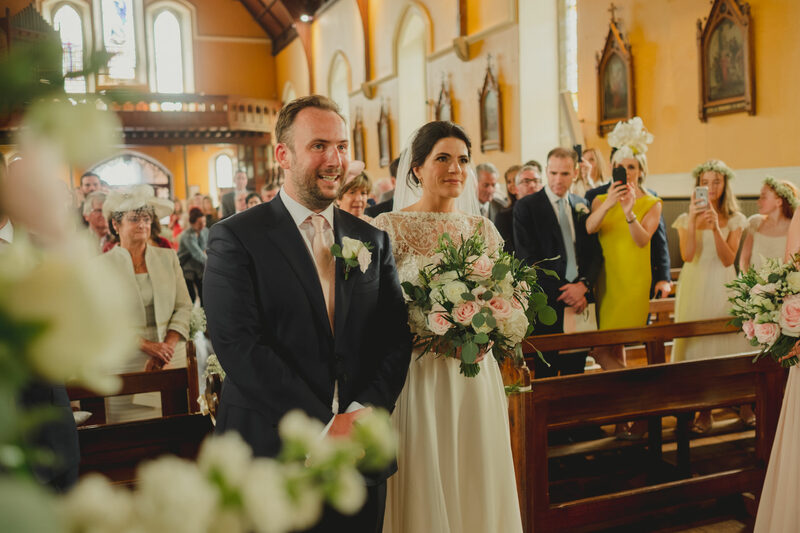 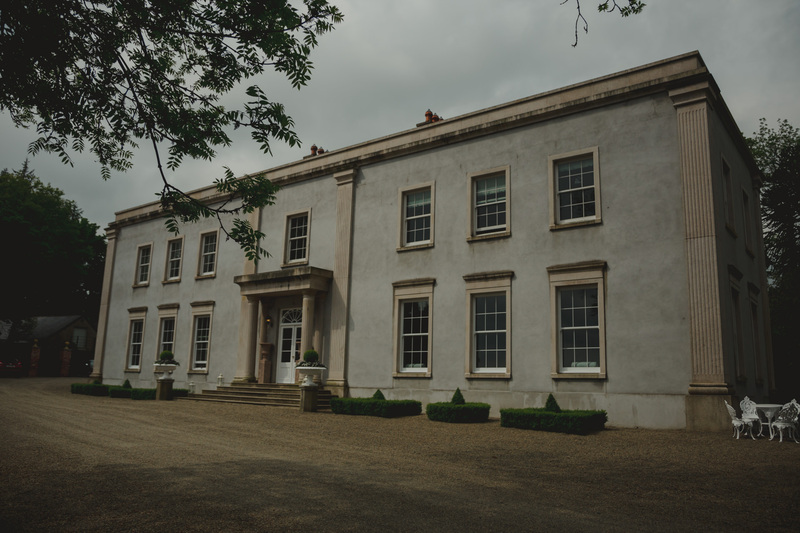 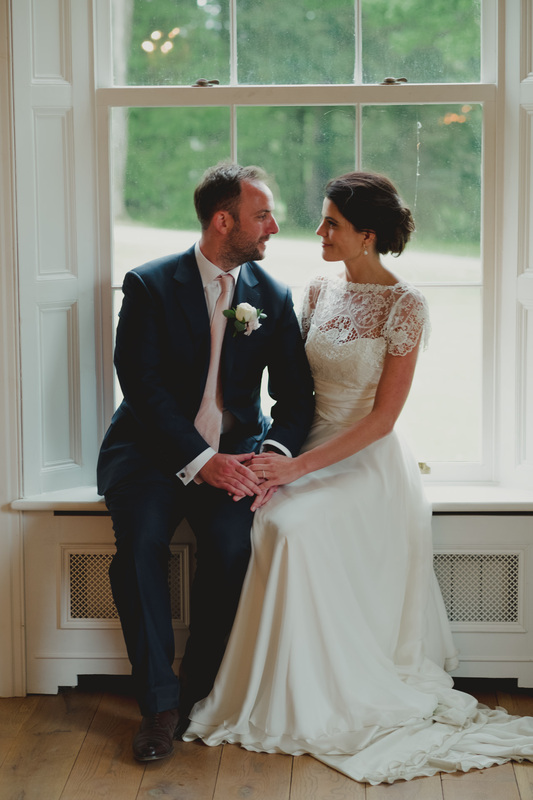 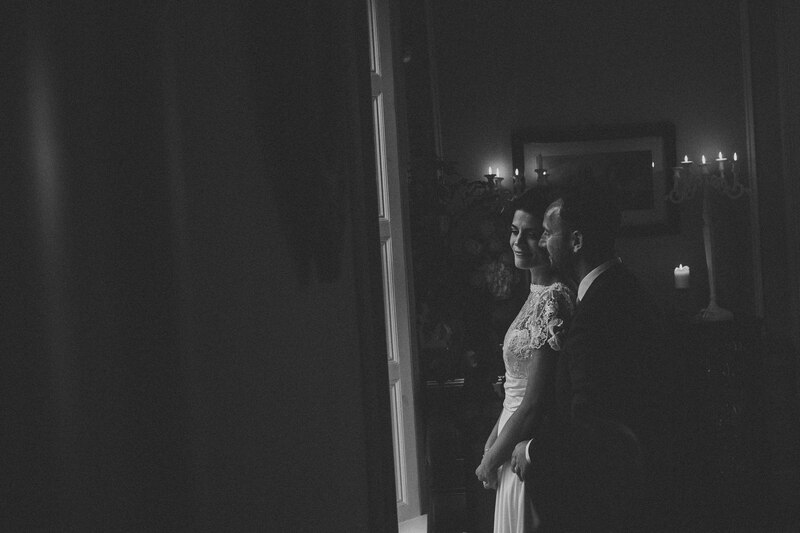 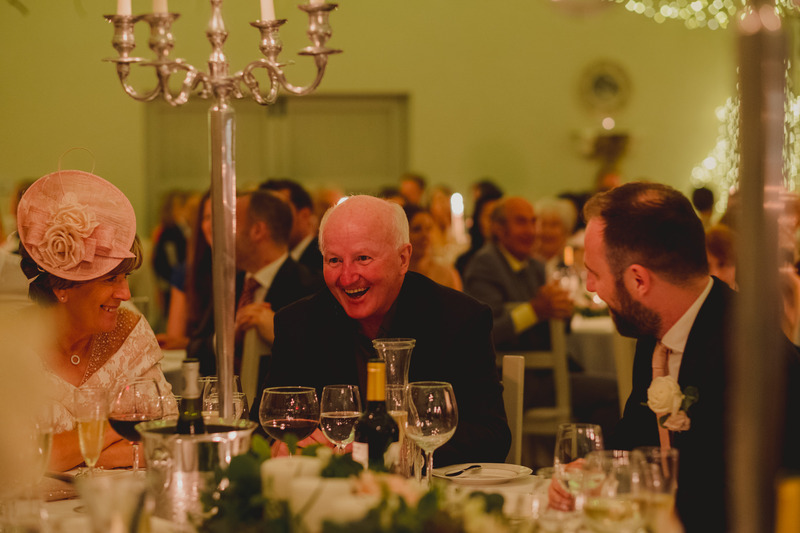 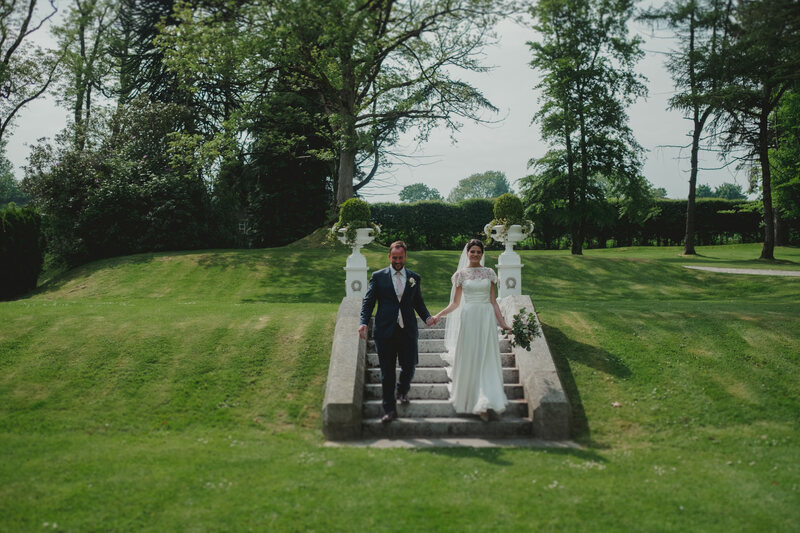 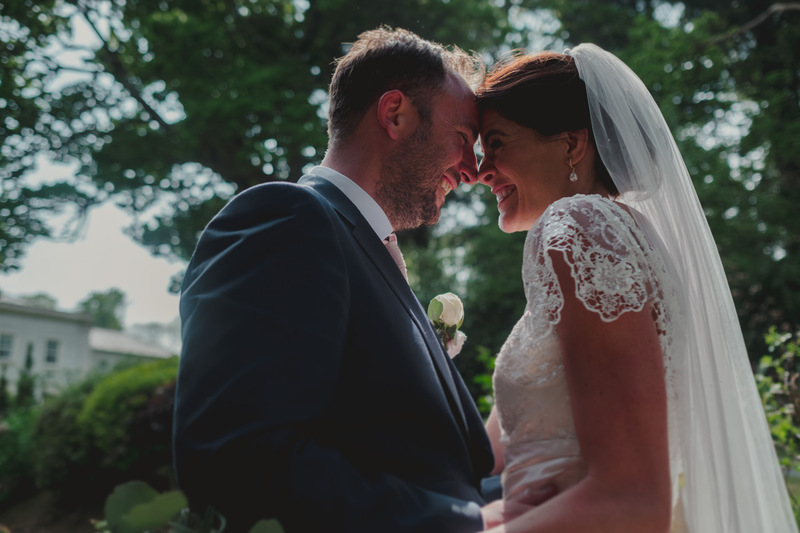 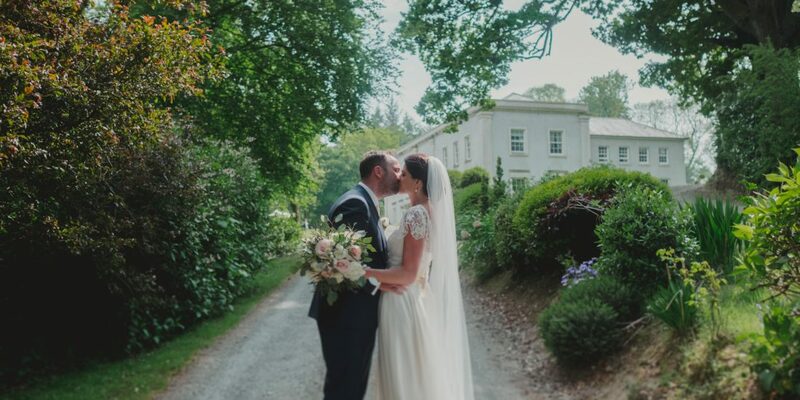 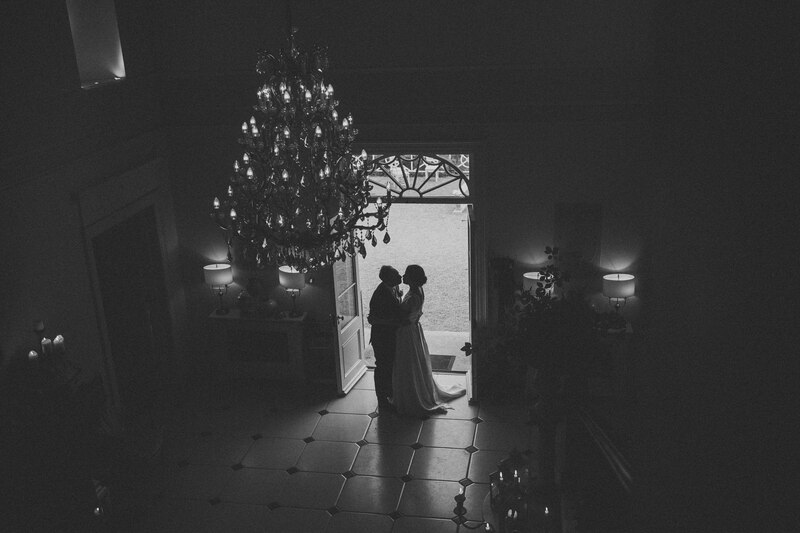 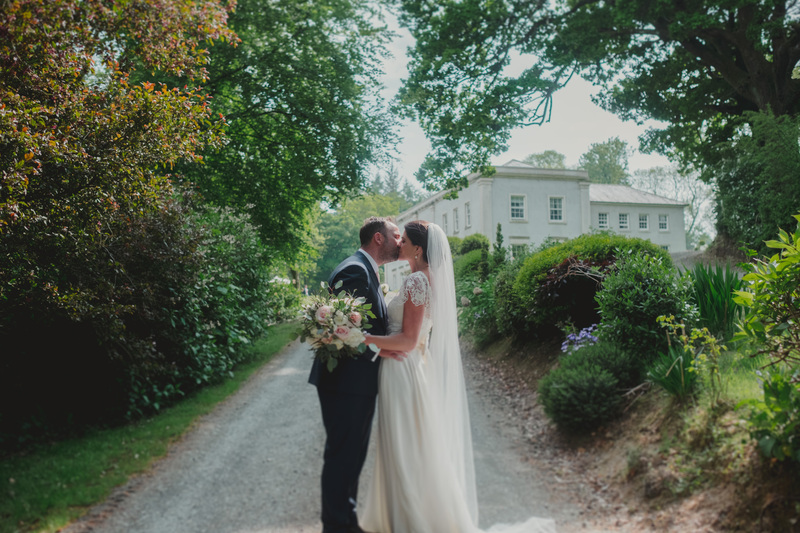 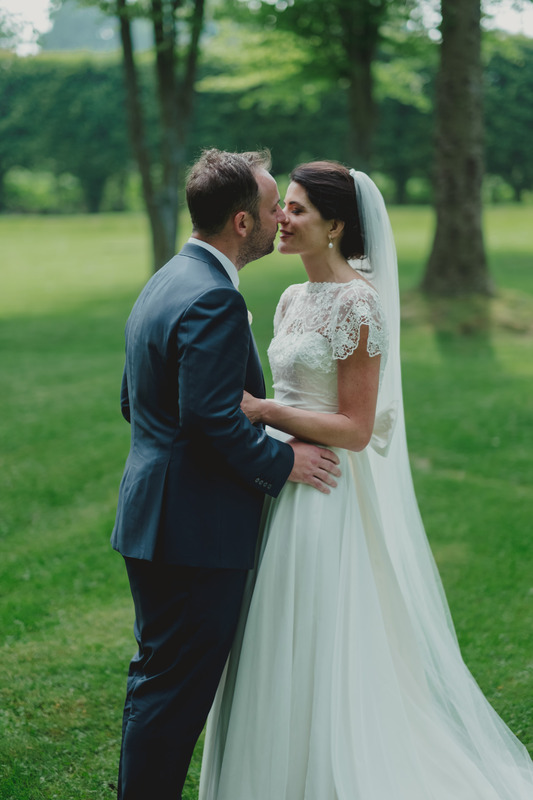 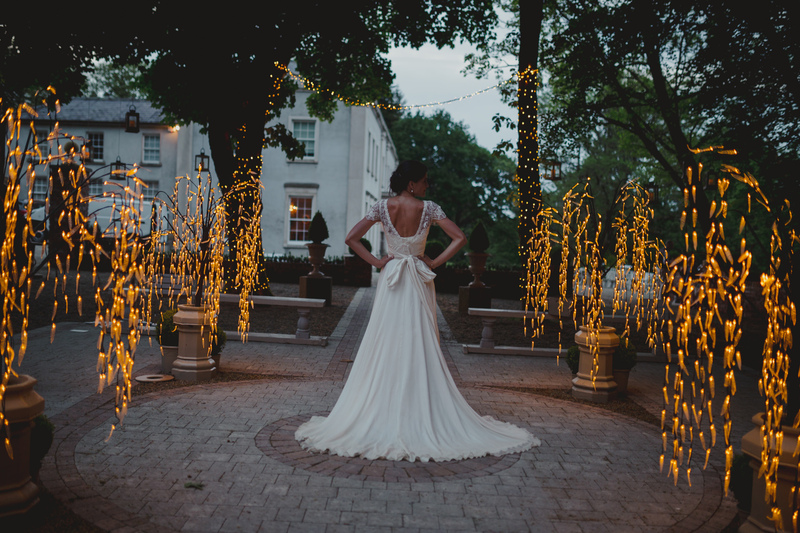 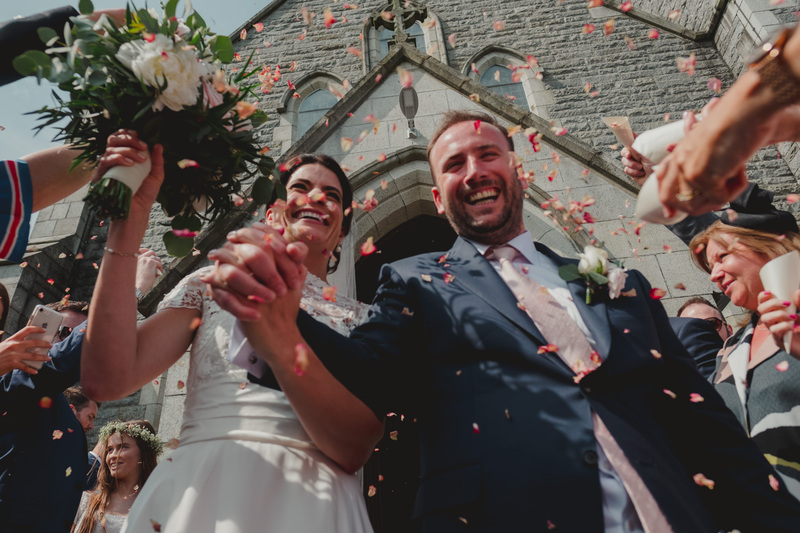 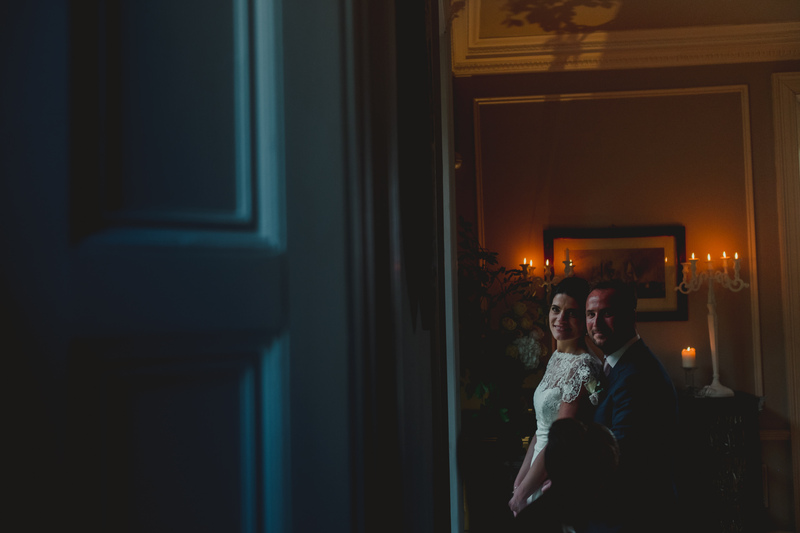 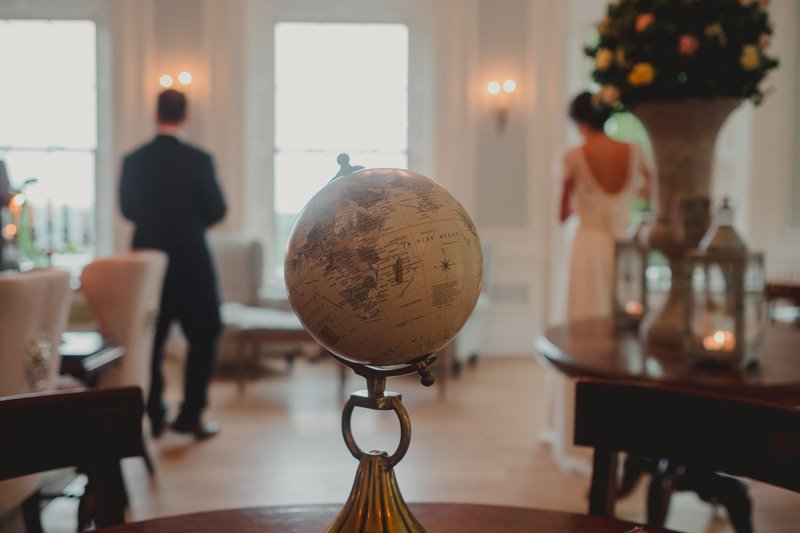 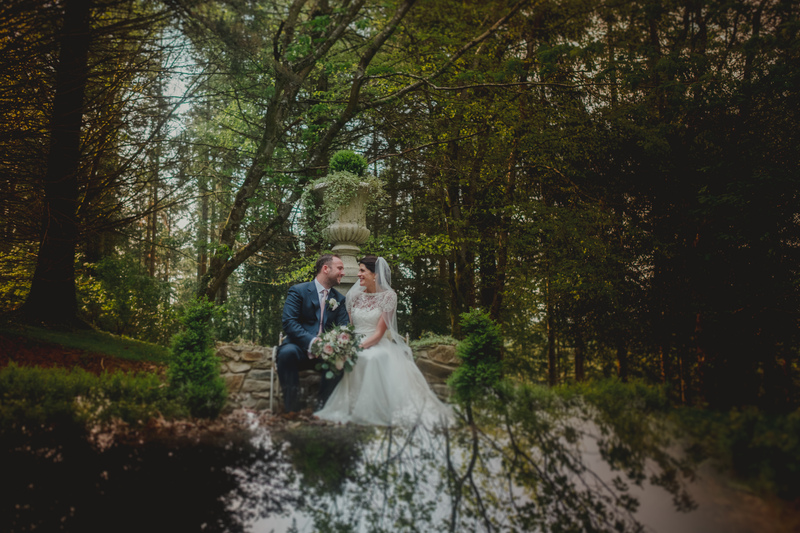 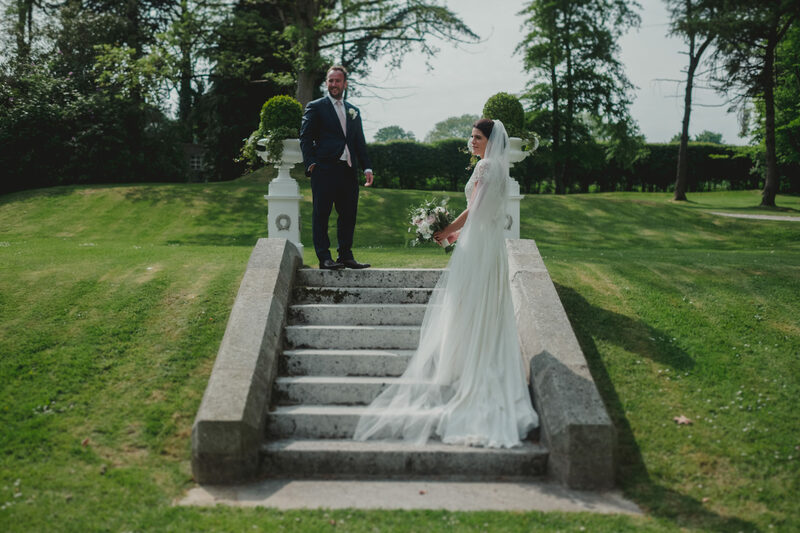 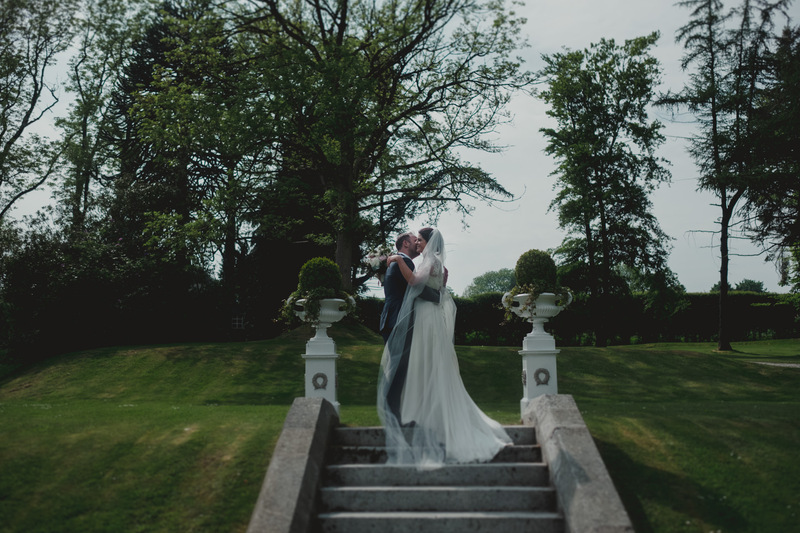 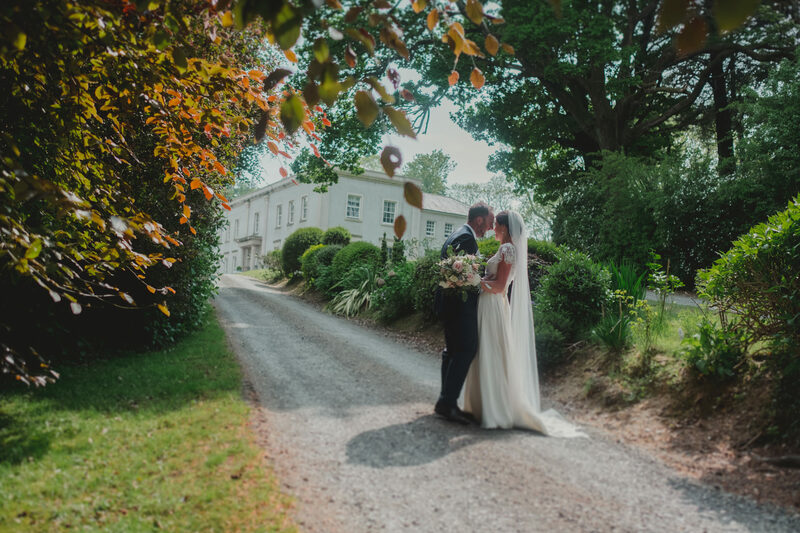 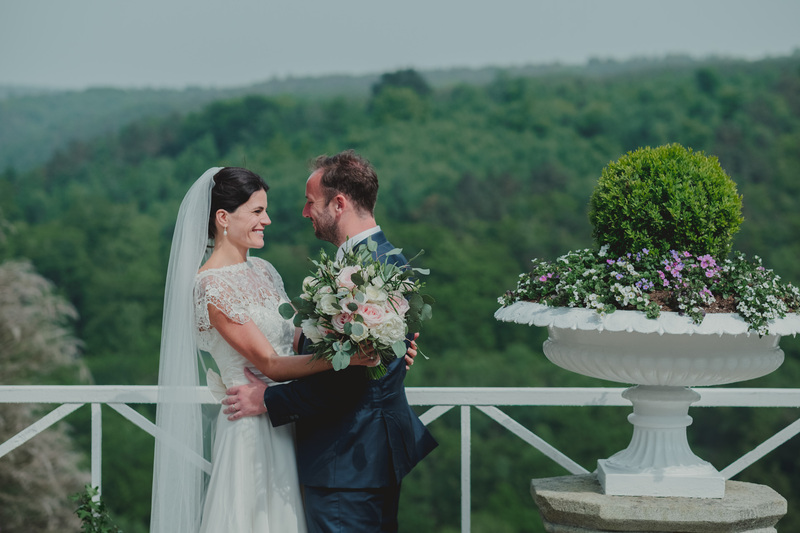 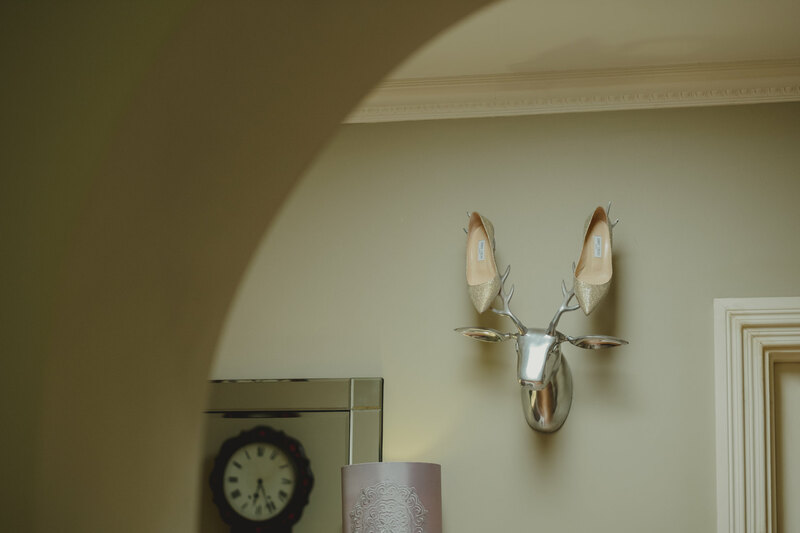 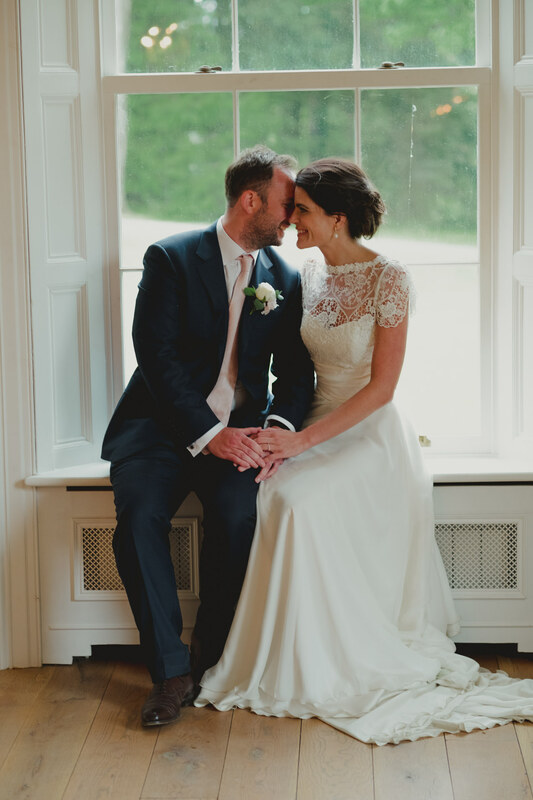 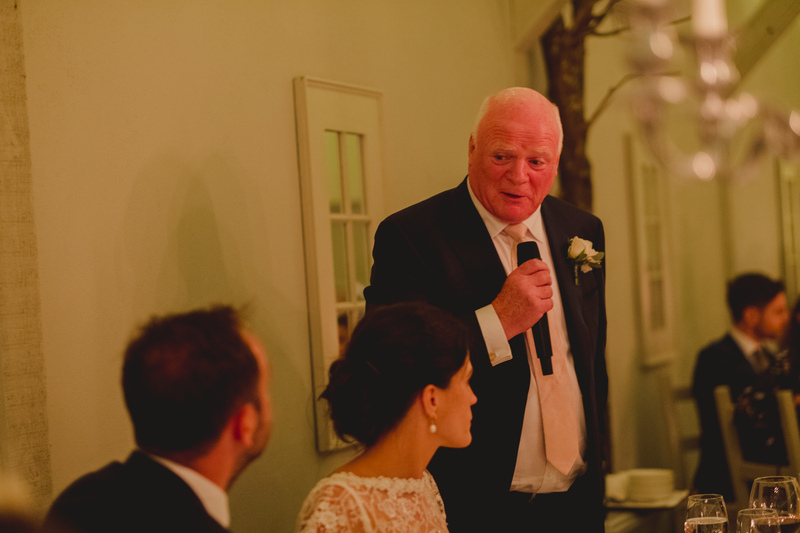 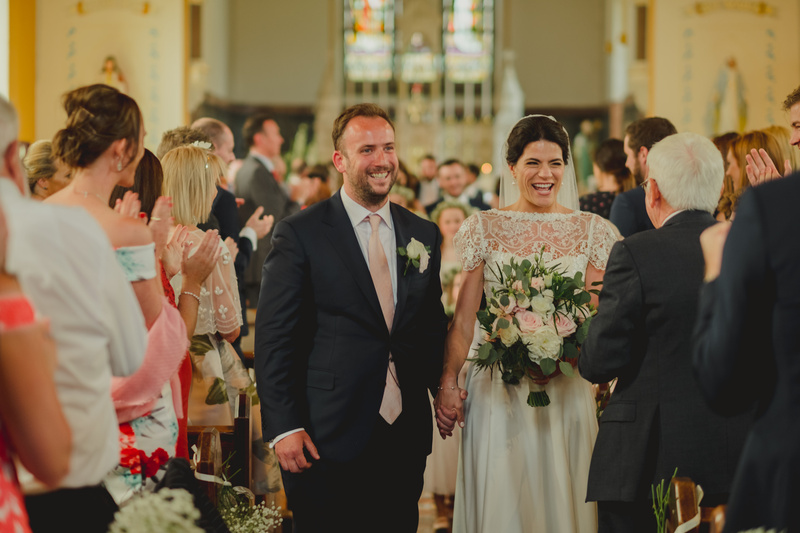 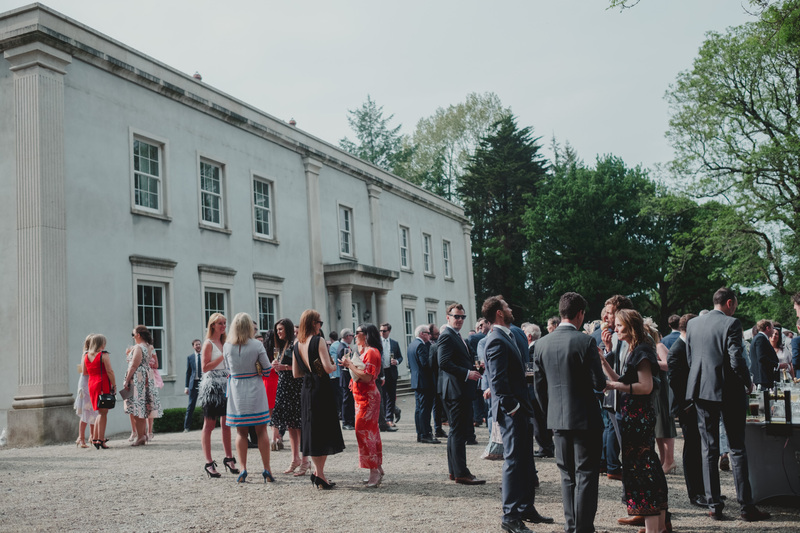 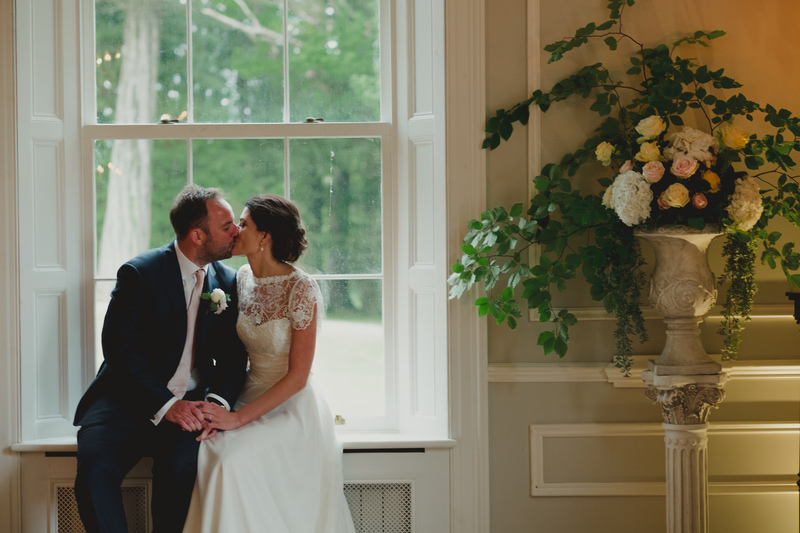 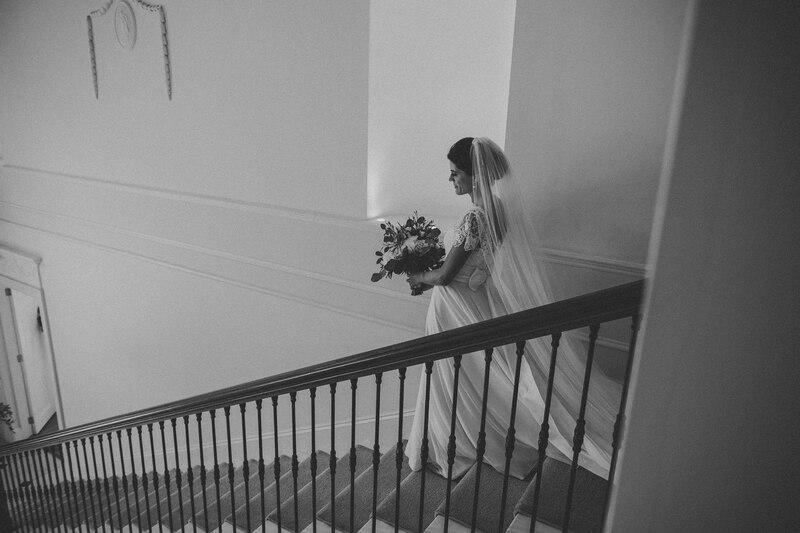 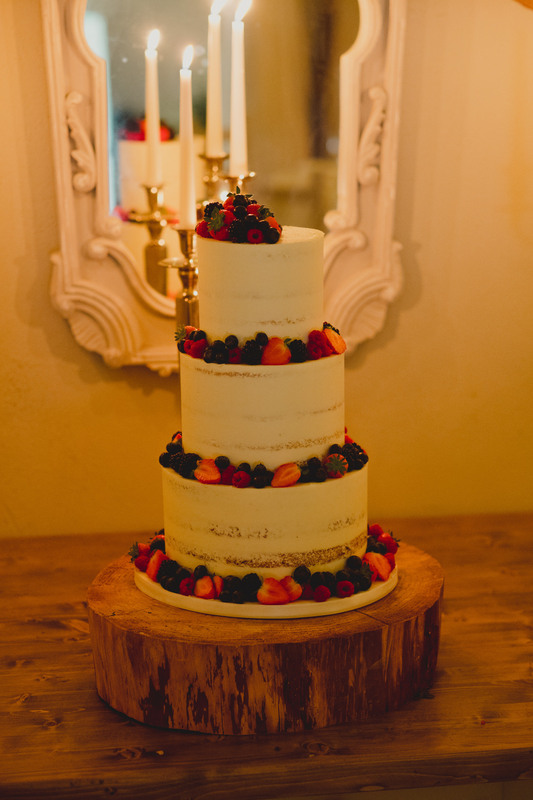 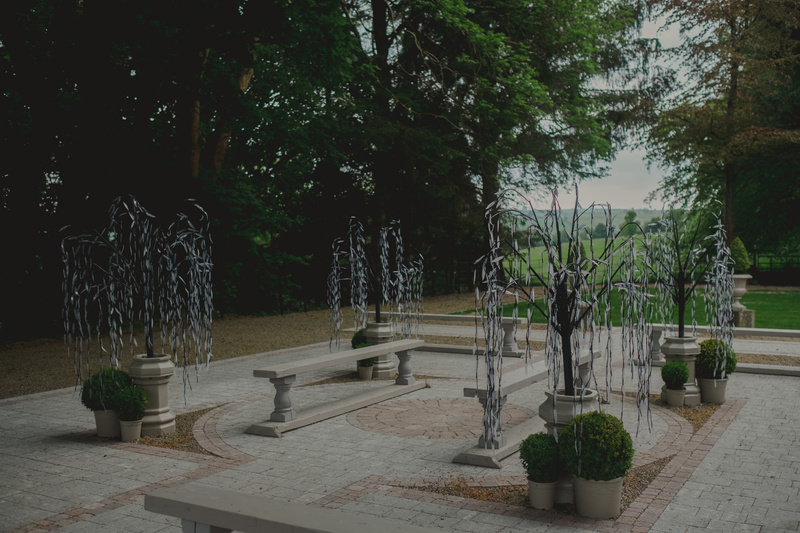 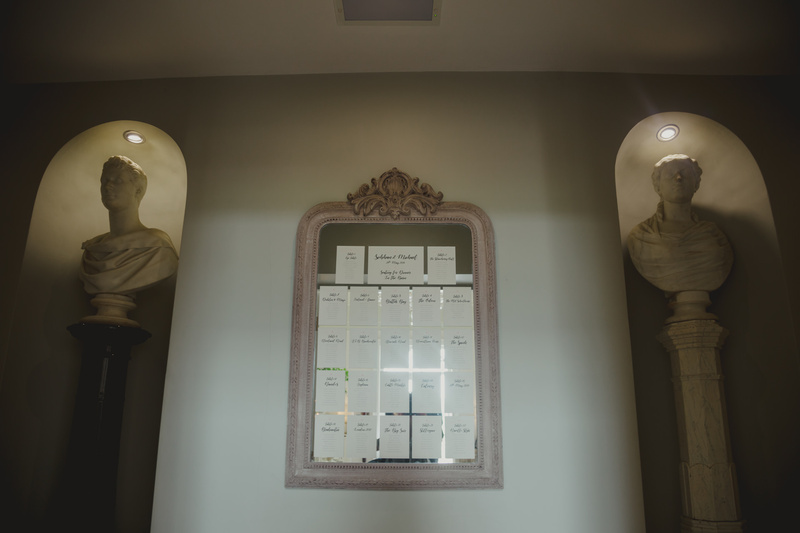 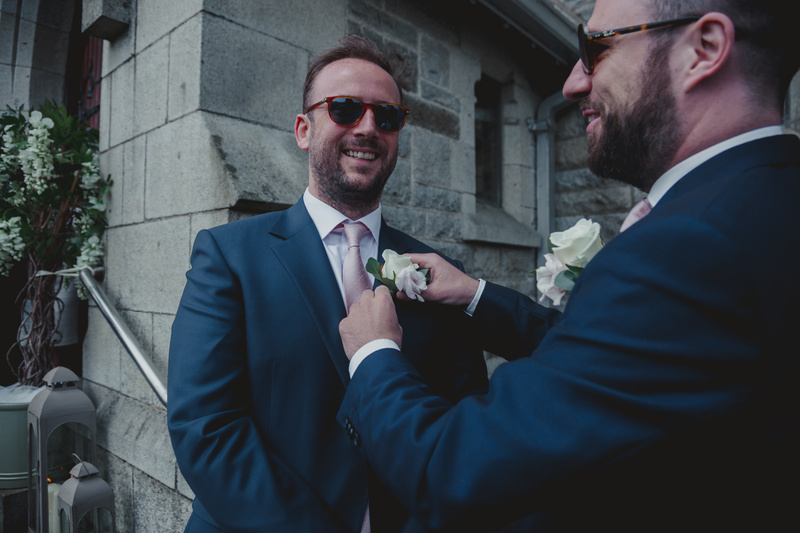 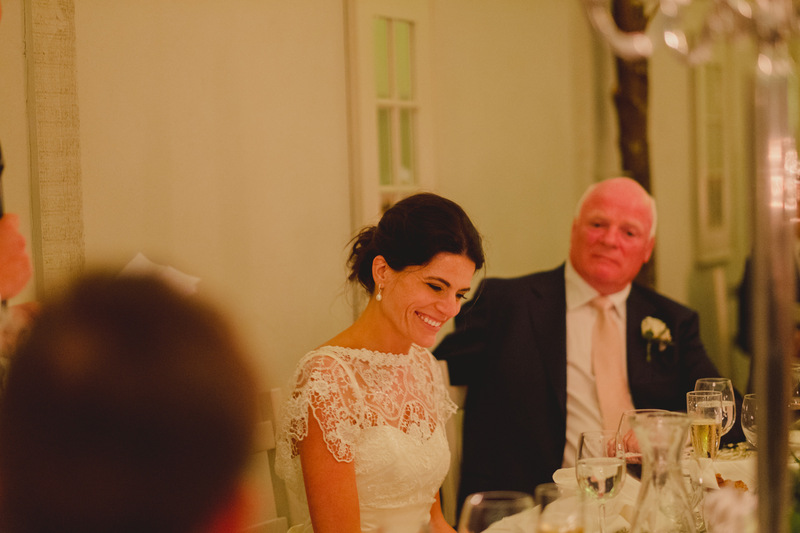 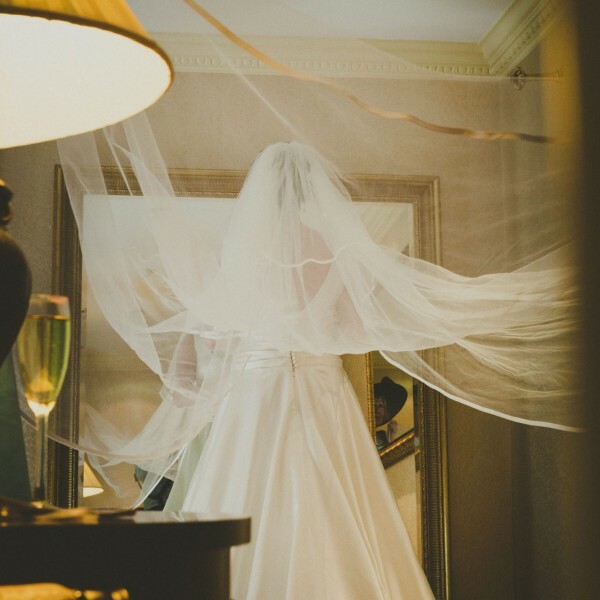 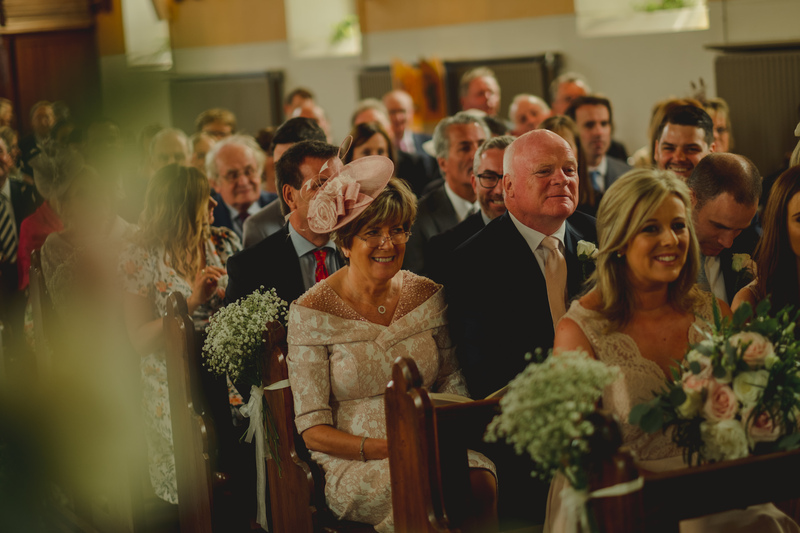 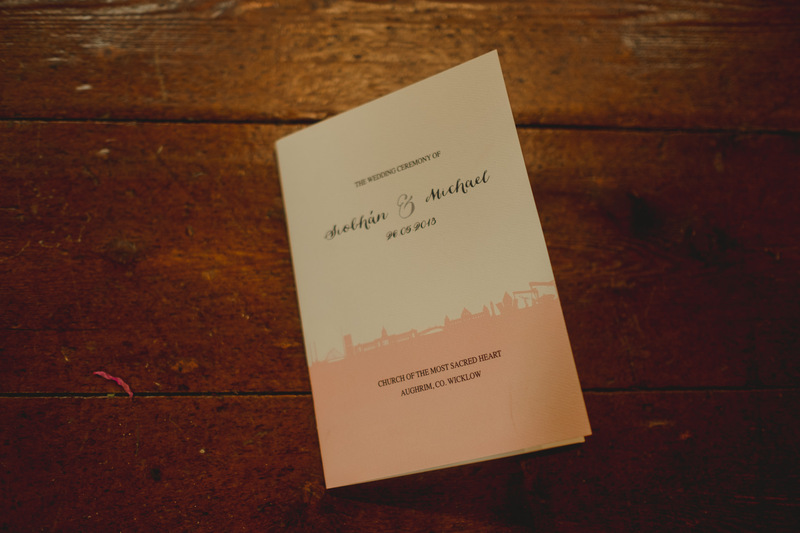 Clonwilliam House was the perfect wedding venue choice for Siobhan and Michael’s wedding. 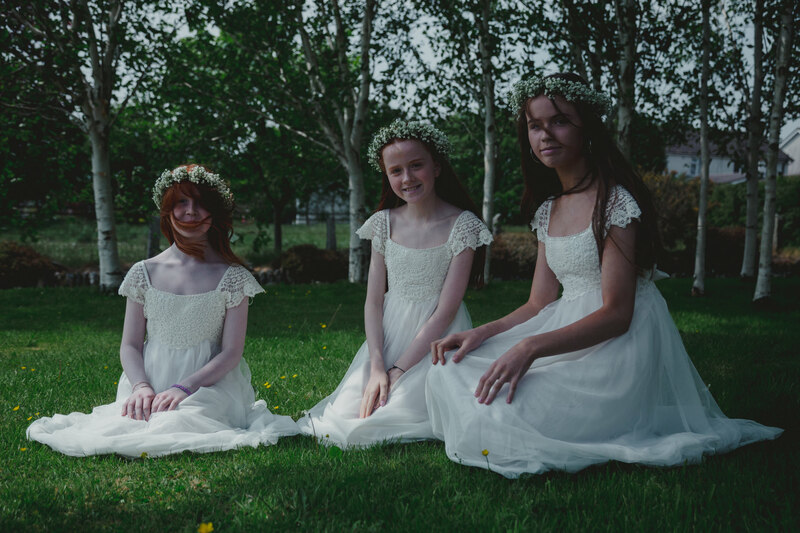 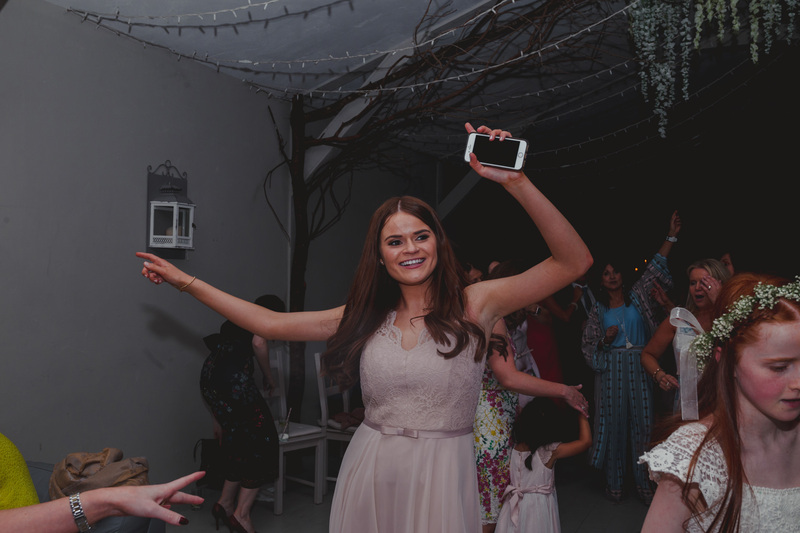 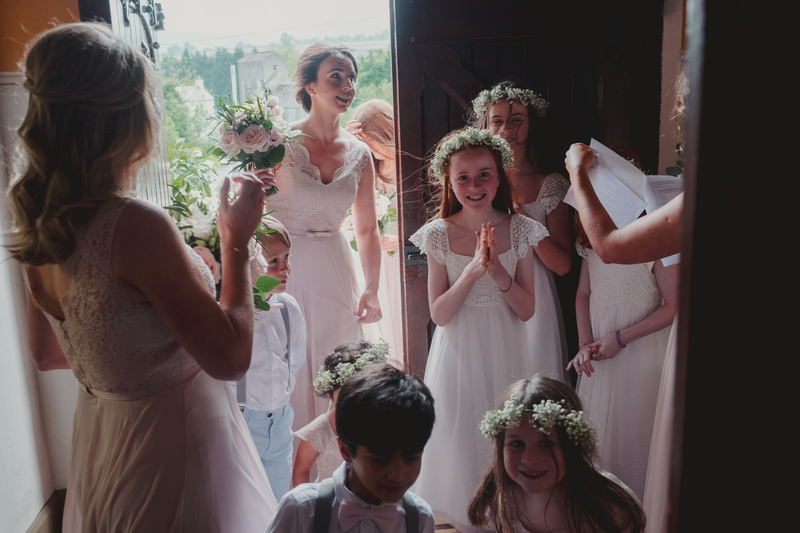 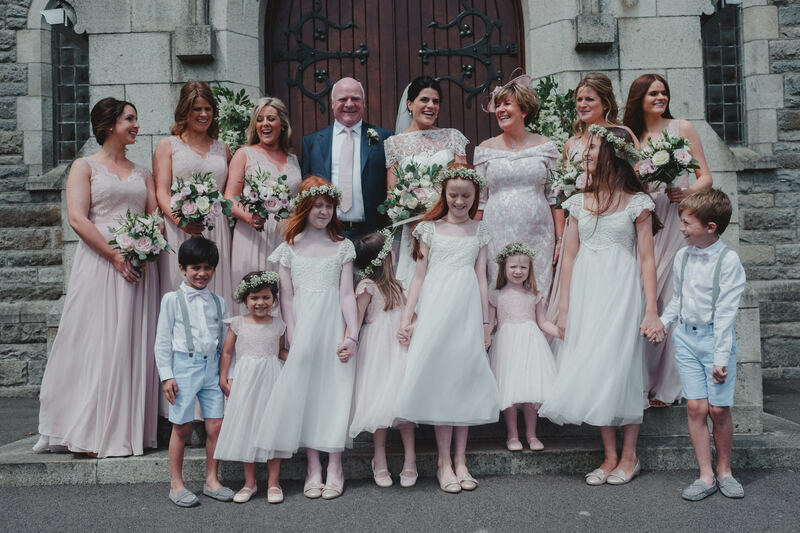 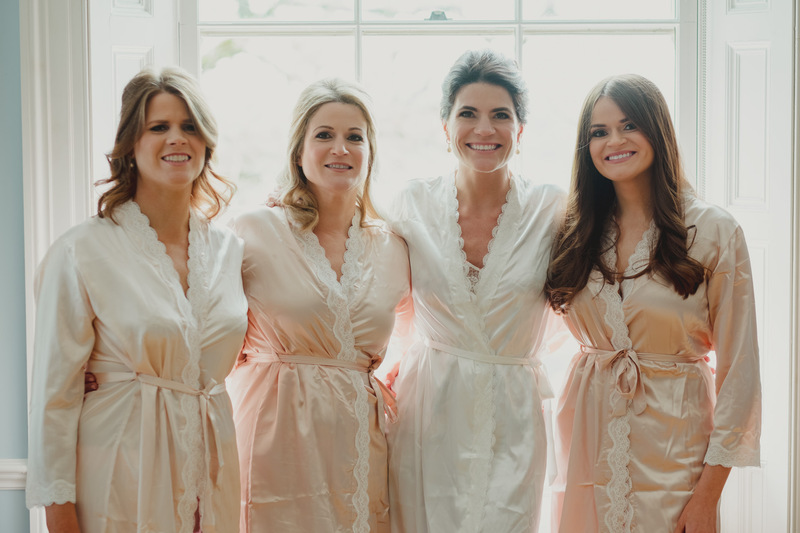 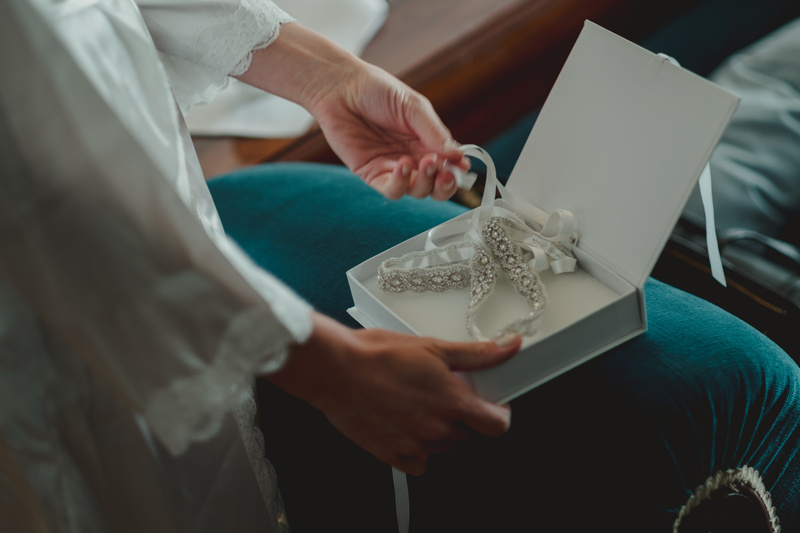 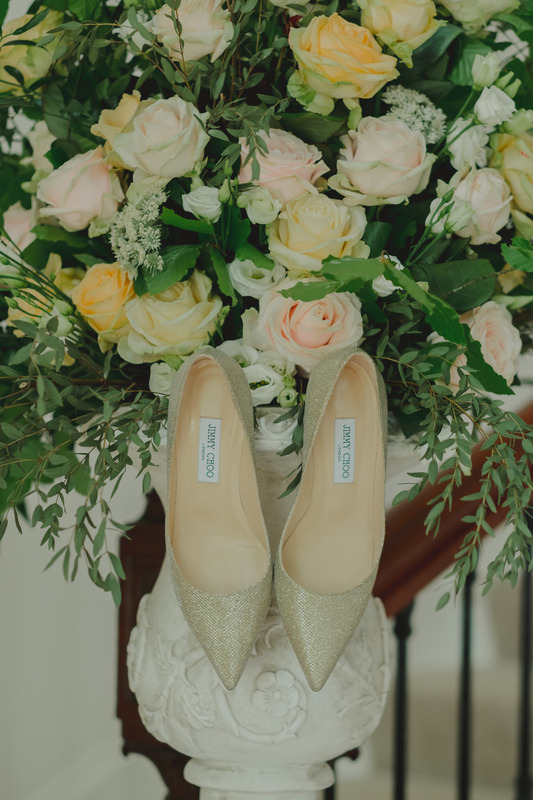 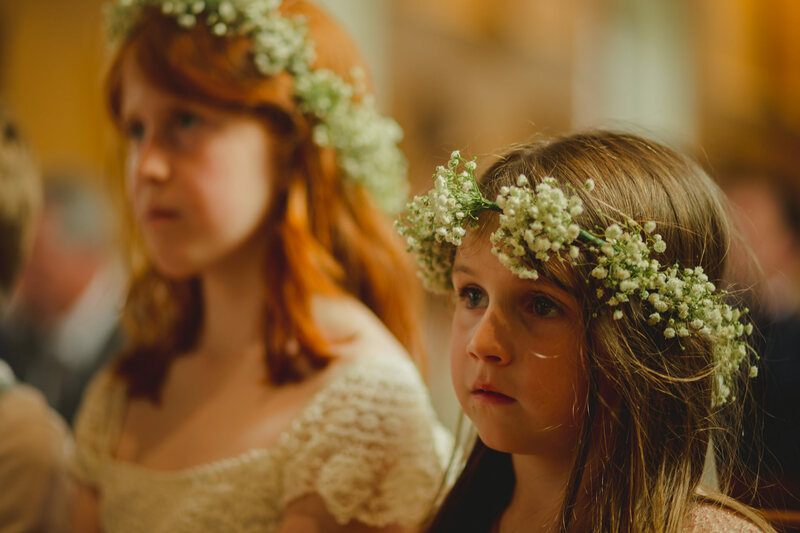 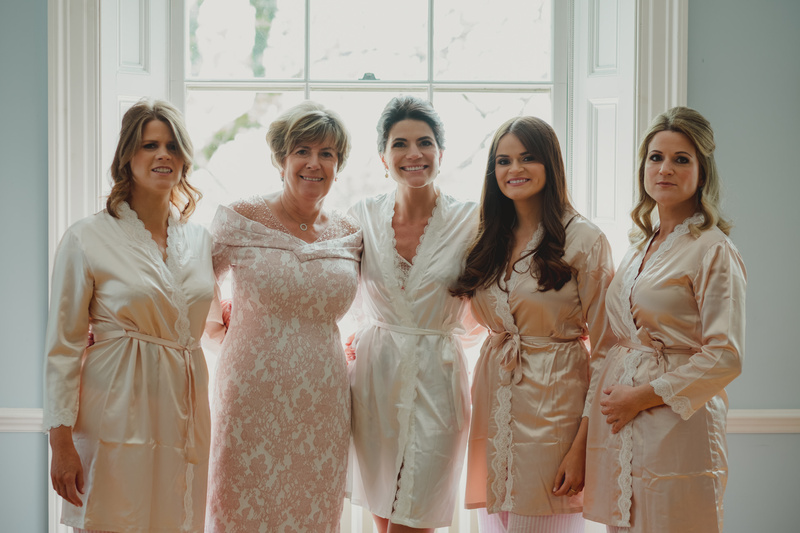 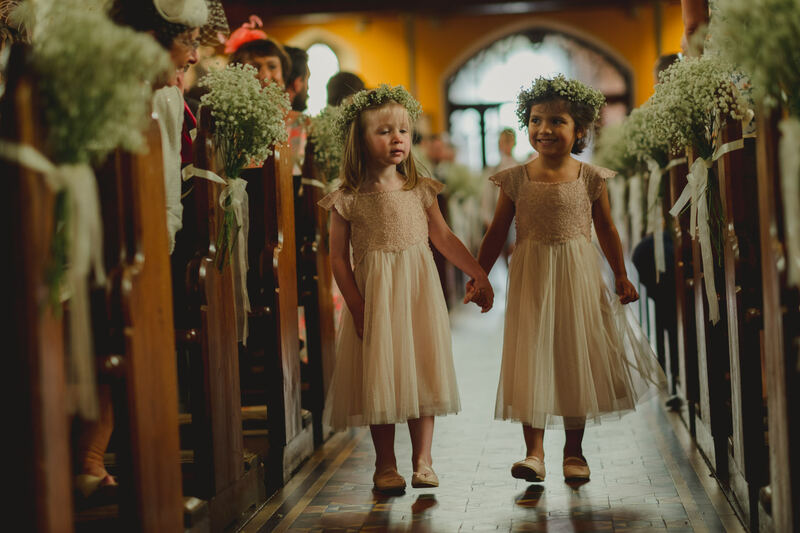 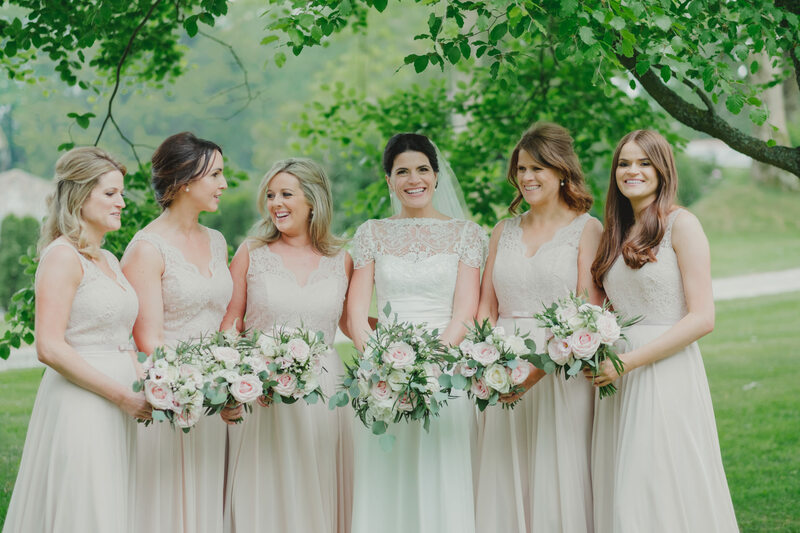 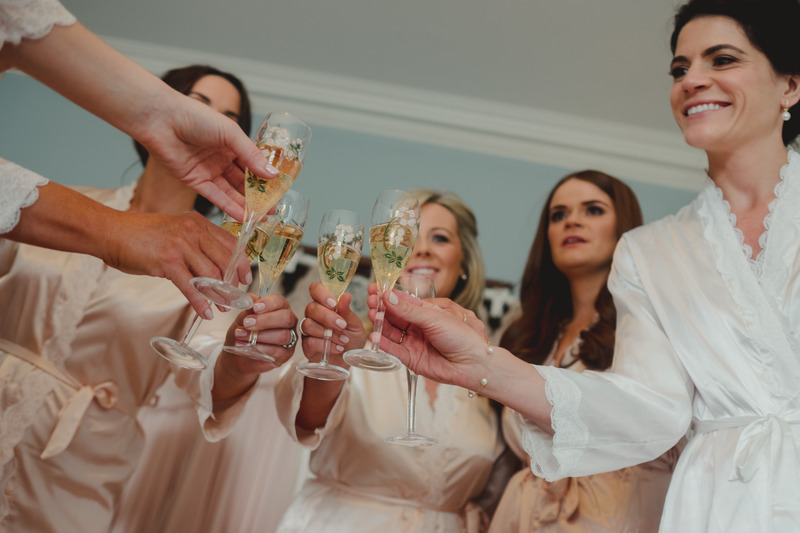 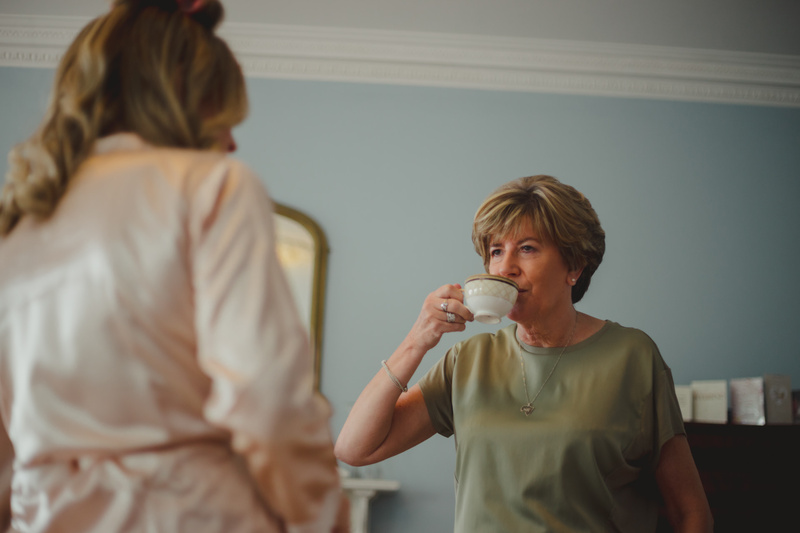 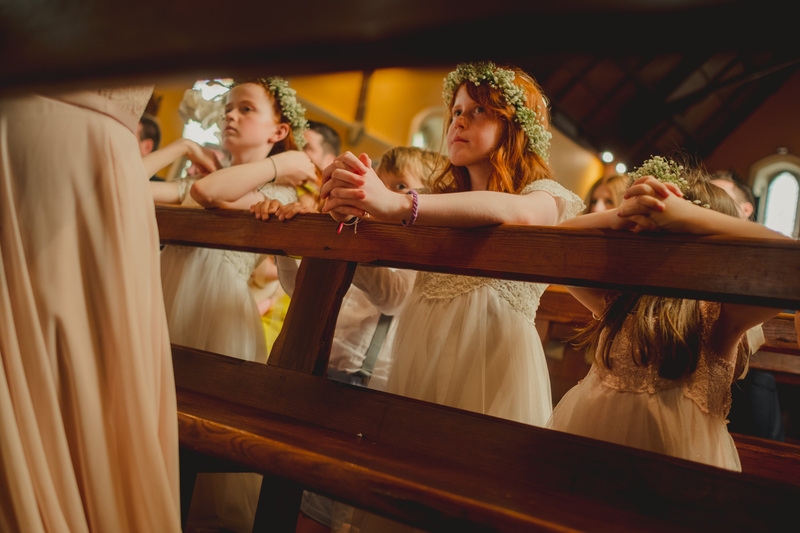 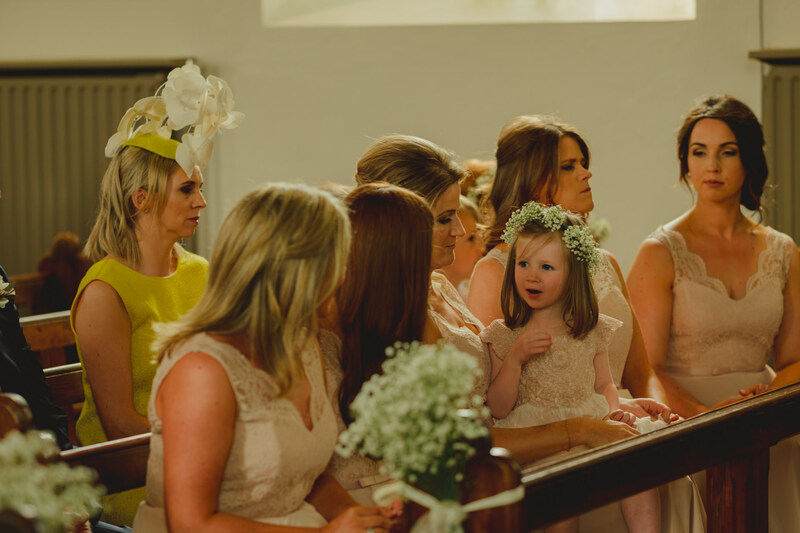 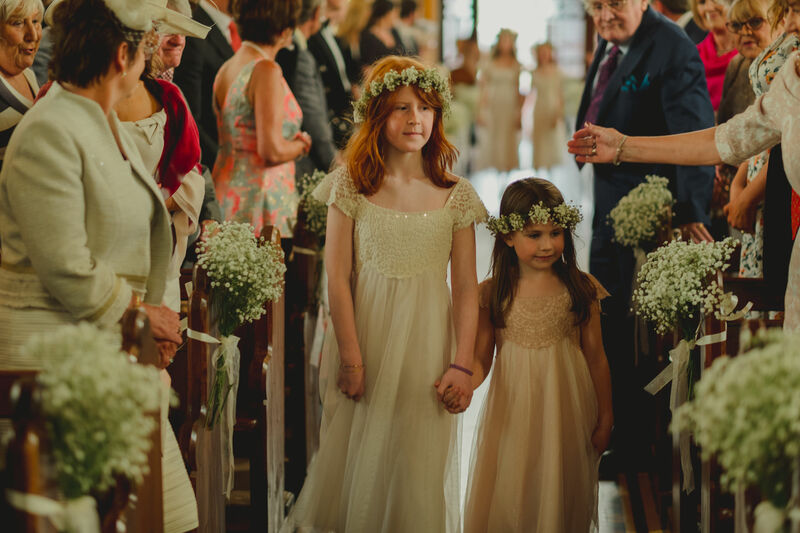 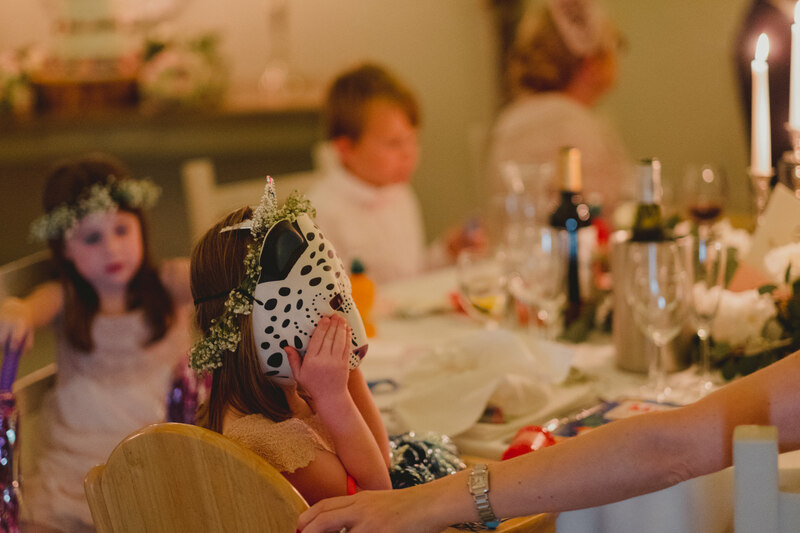 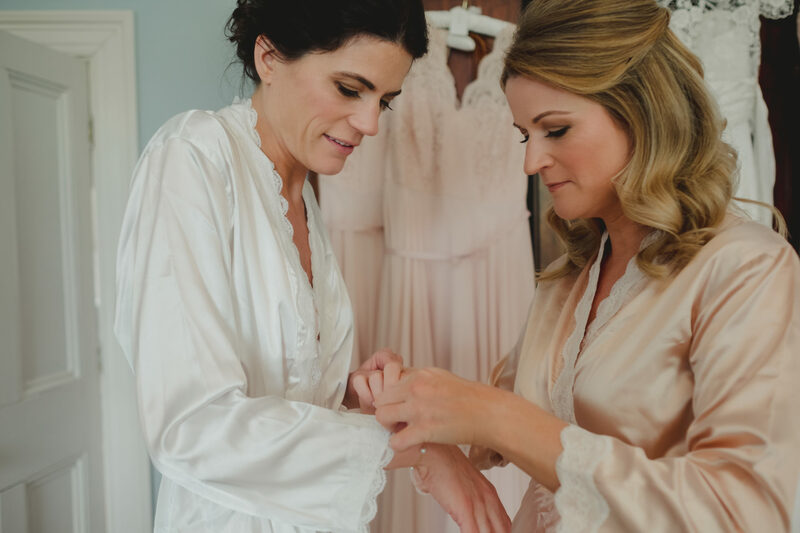 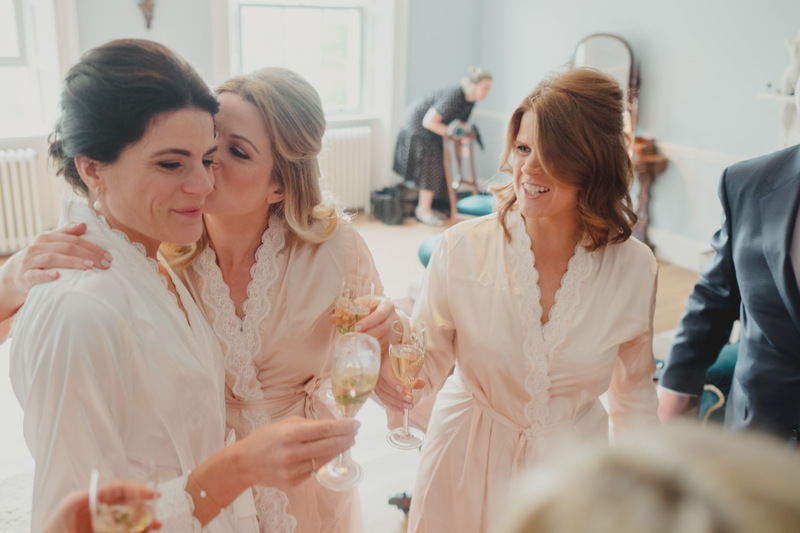 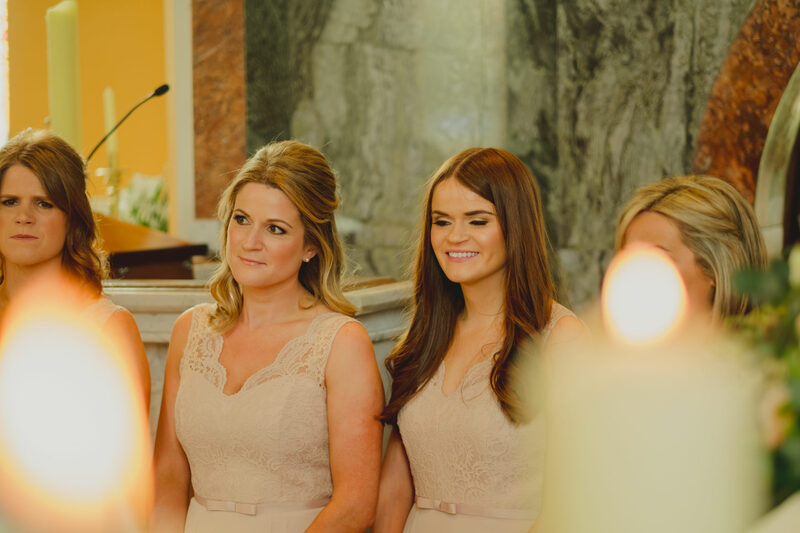 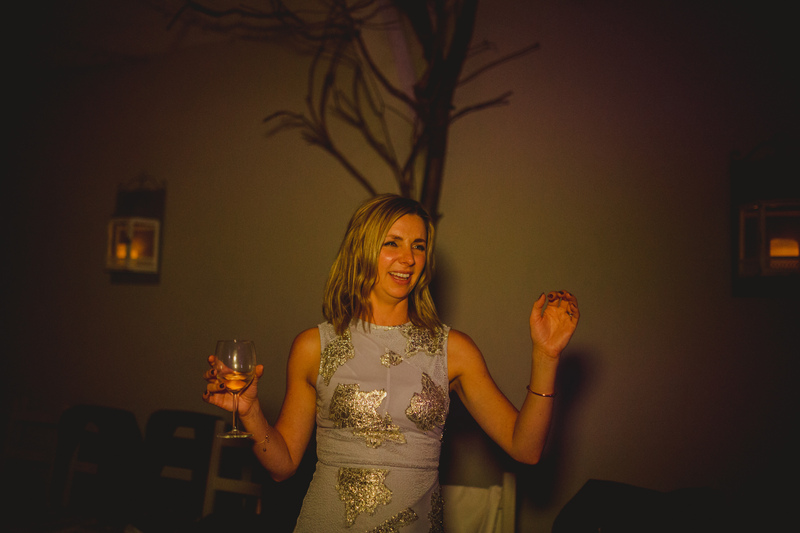 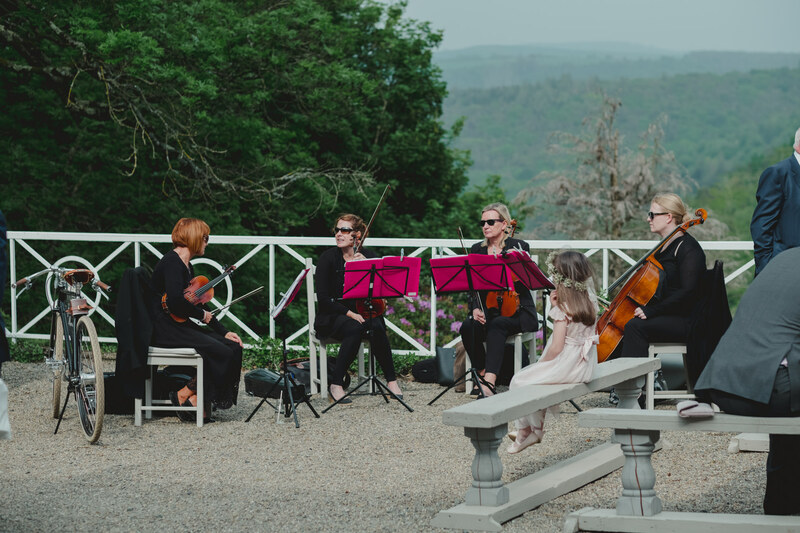 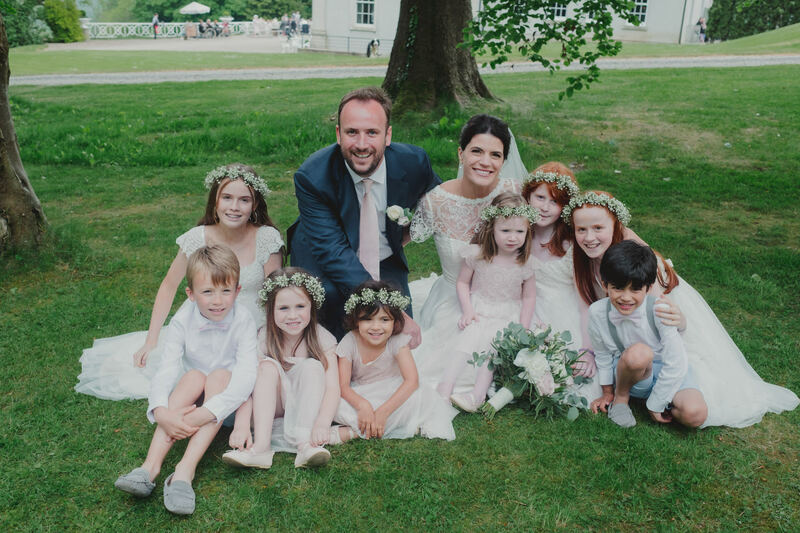 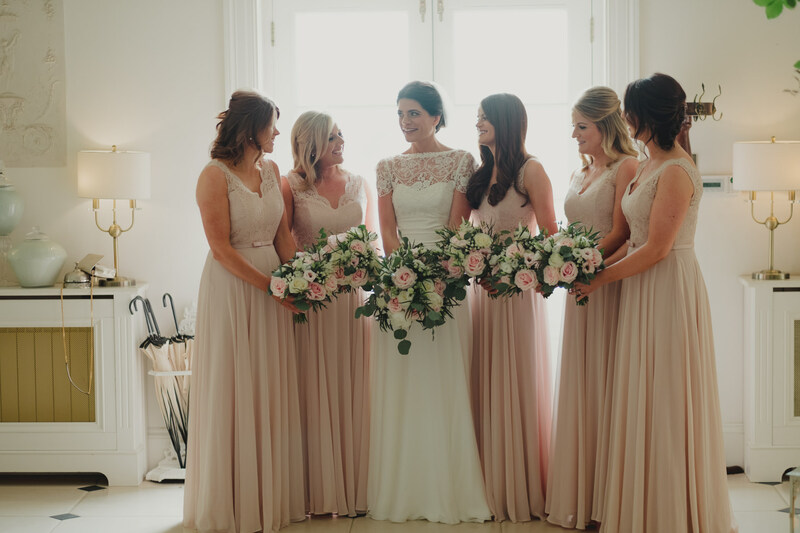 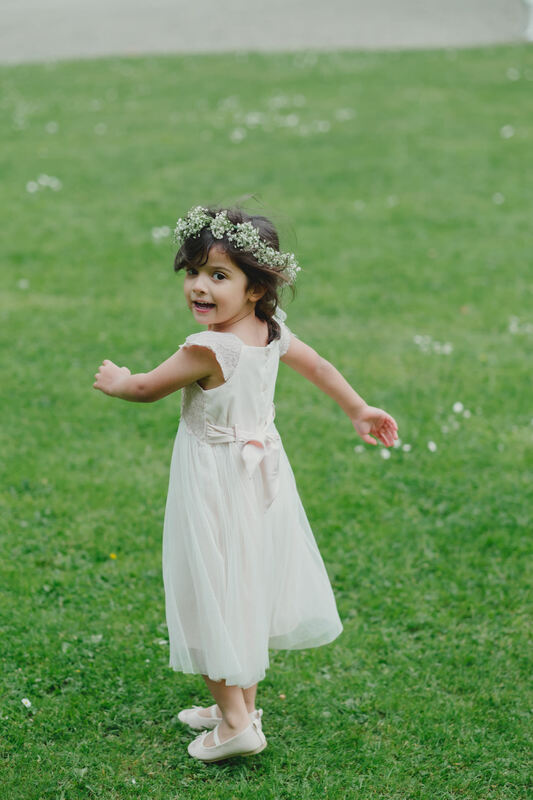 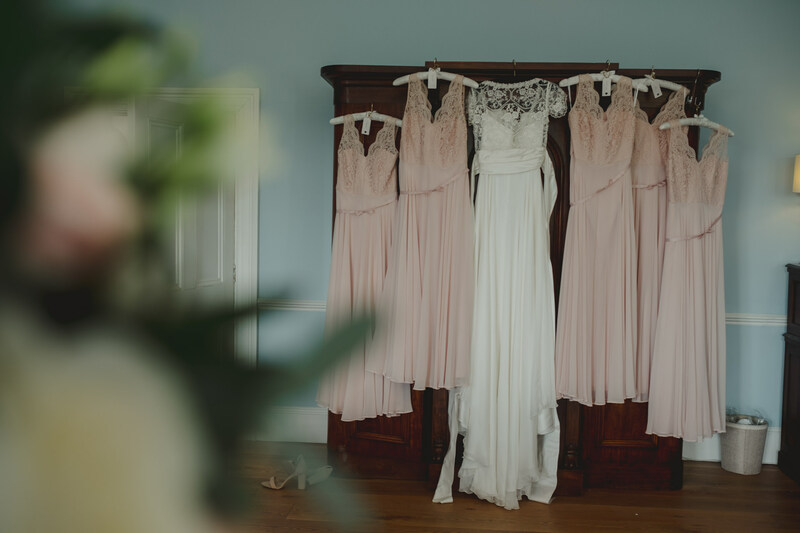 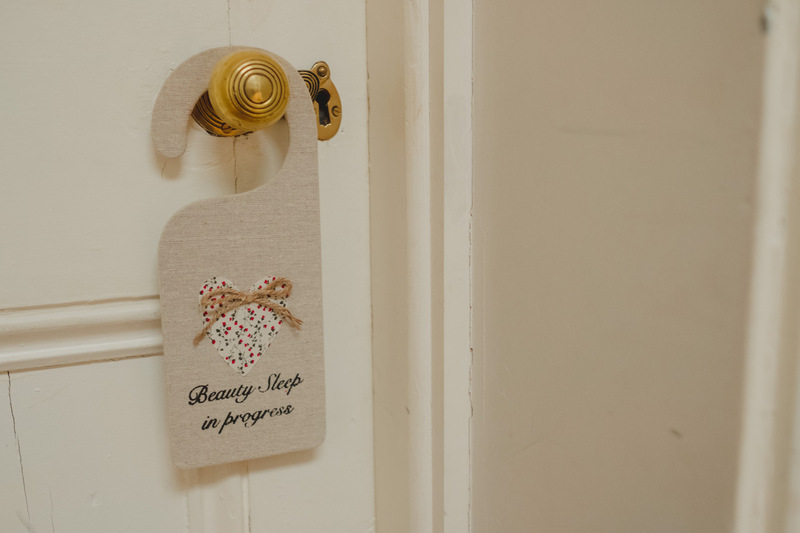 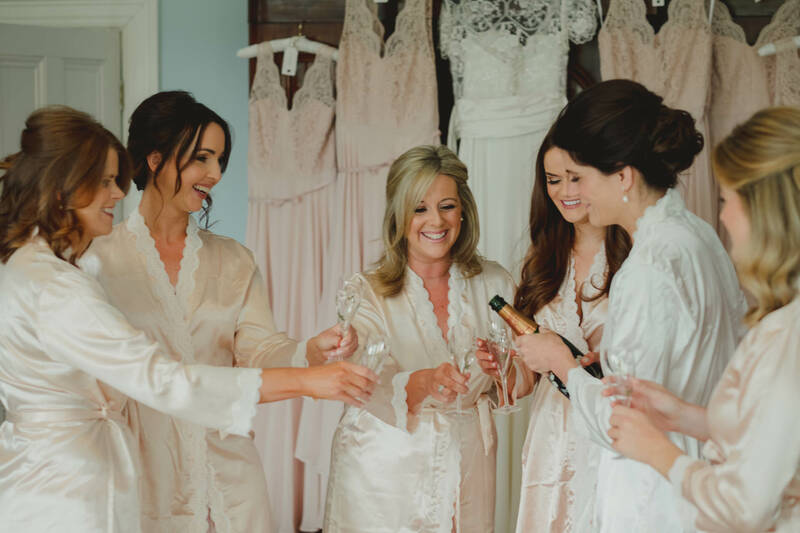 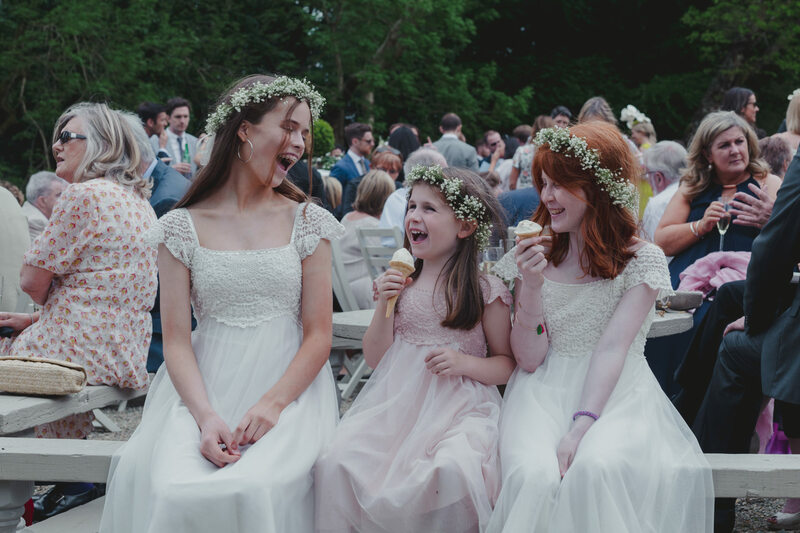 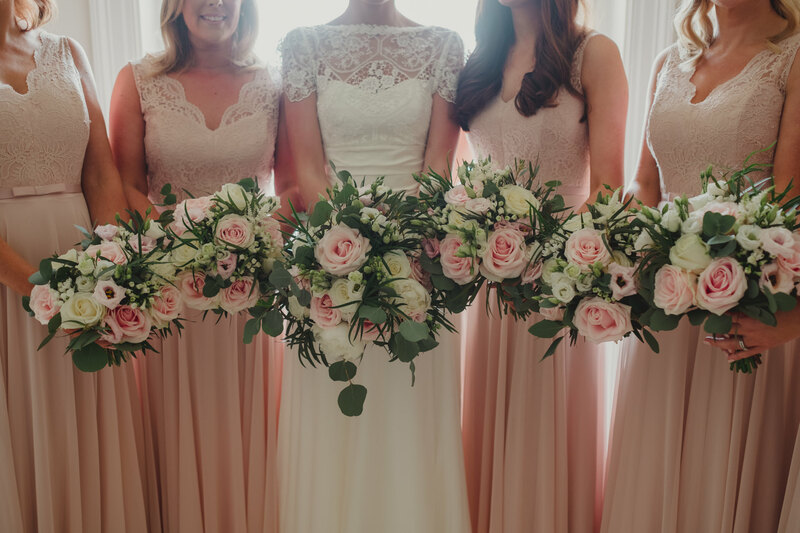 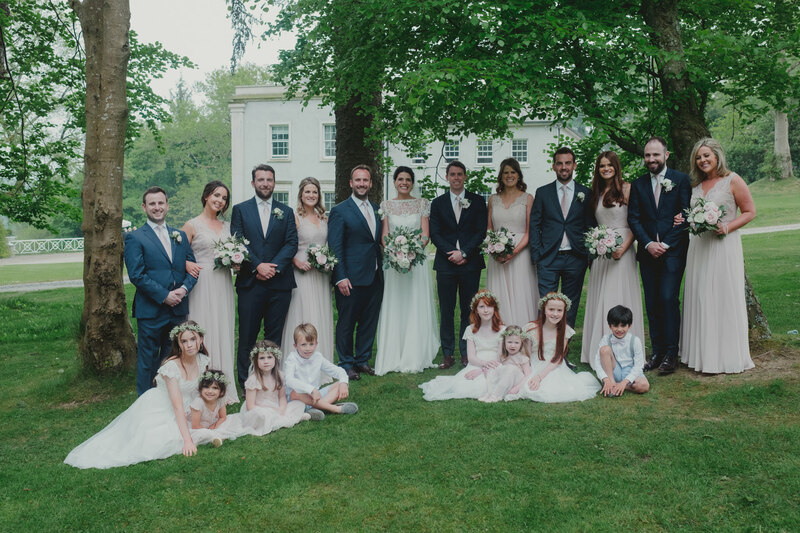 Siobhan and her 5 bridesmaids and 6 flower girls began their morning preparations in the bridal suite, providing fantastic scenes alight with laughter, morning dancing and celebratory Prosecco. 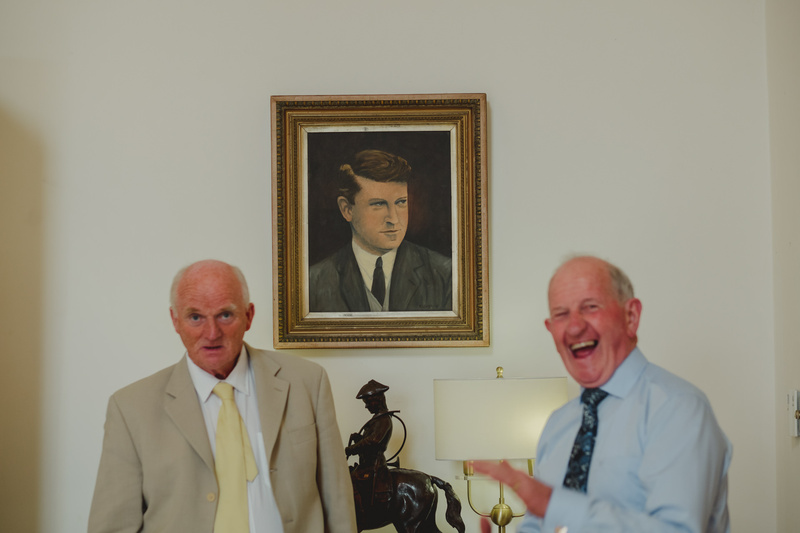 Michael and his 3 best men and 3 page boys organised themselves in the Clonwilliam House Library, with cigars and the finest Whiskey on hand. 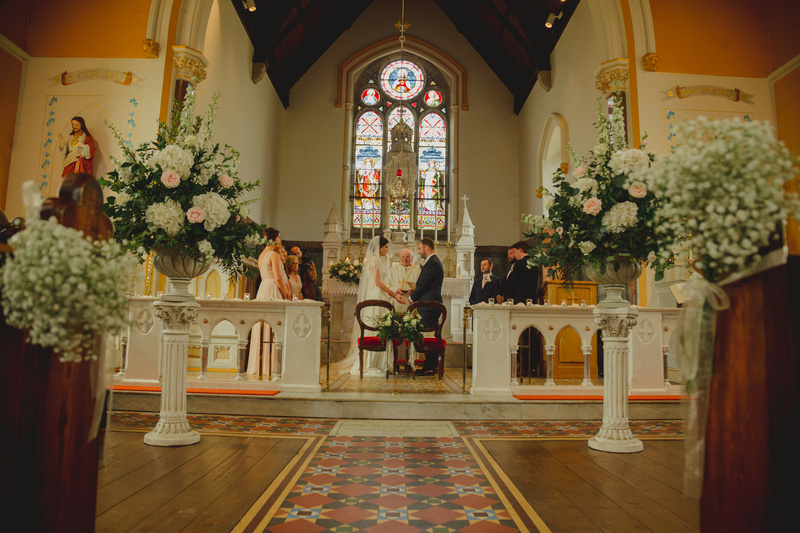 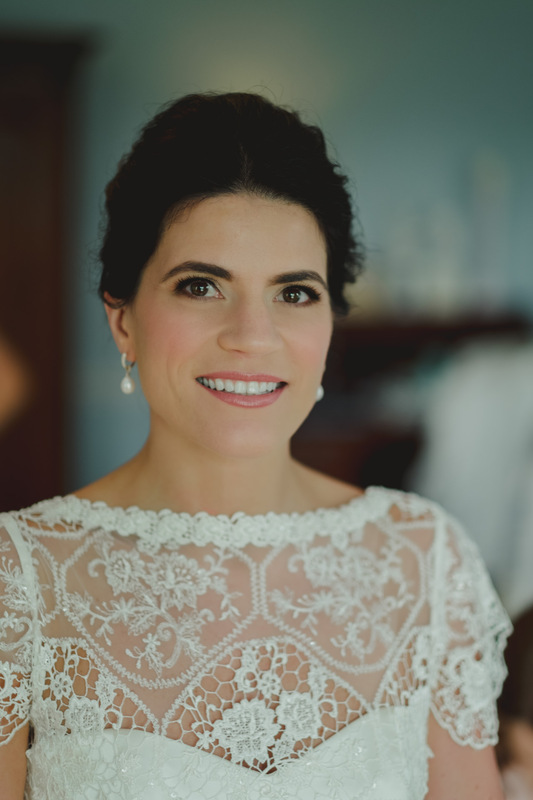 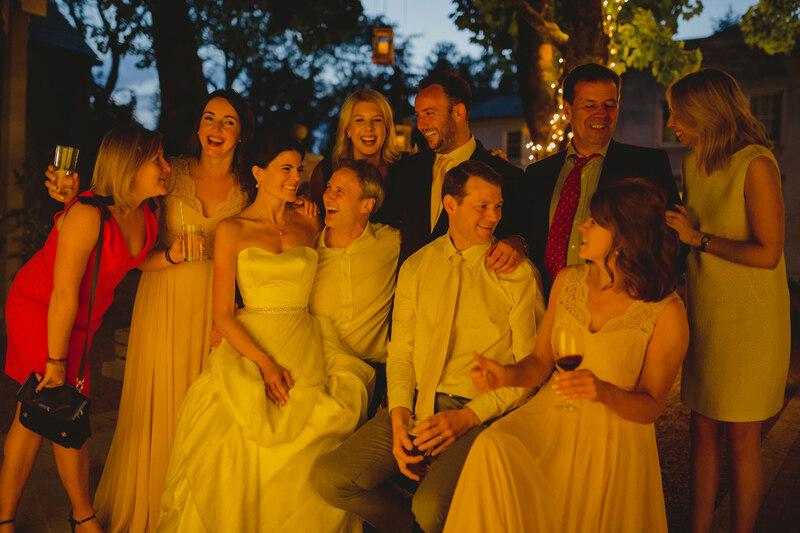 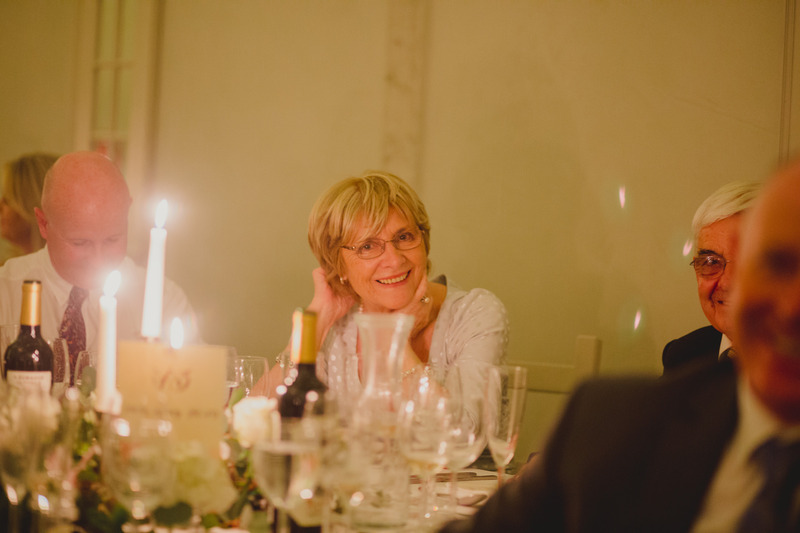 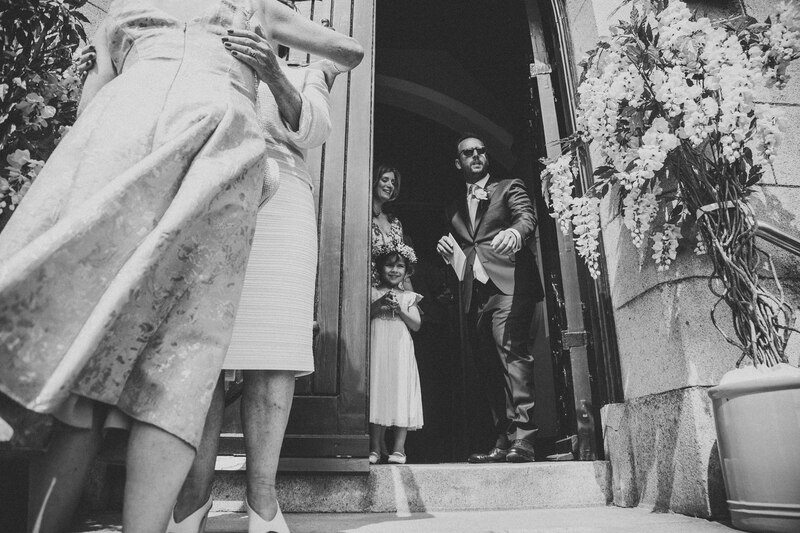 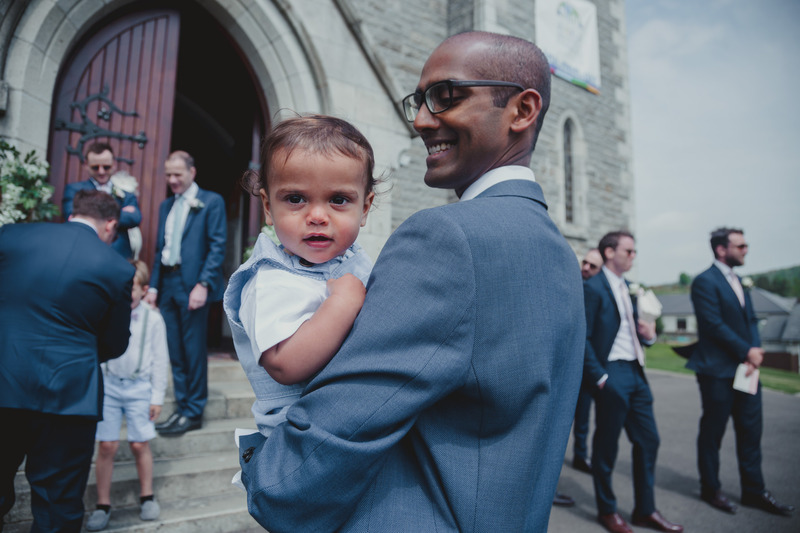 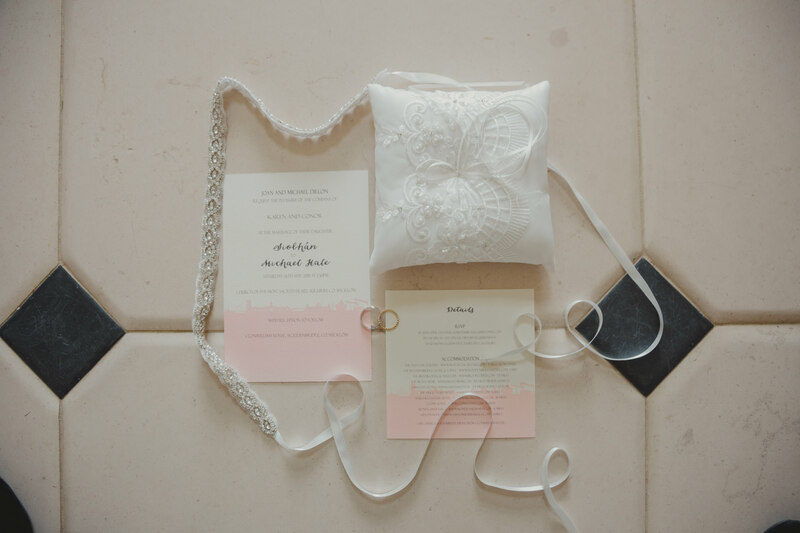 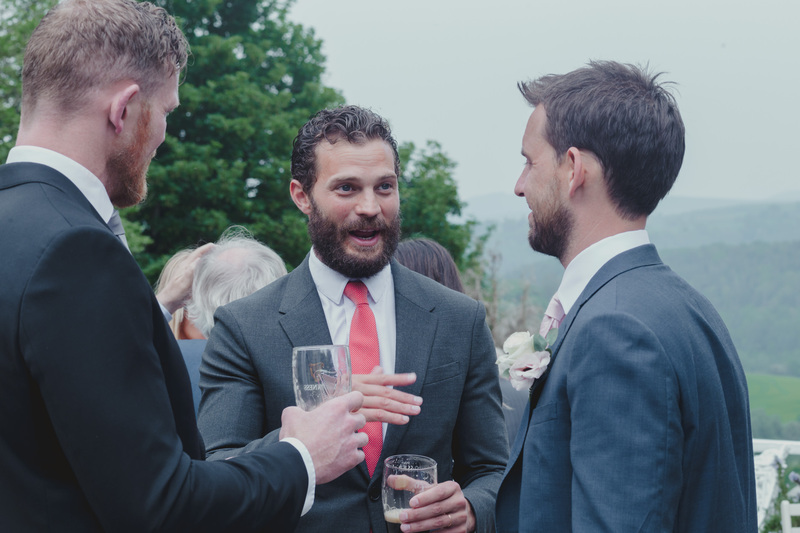 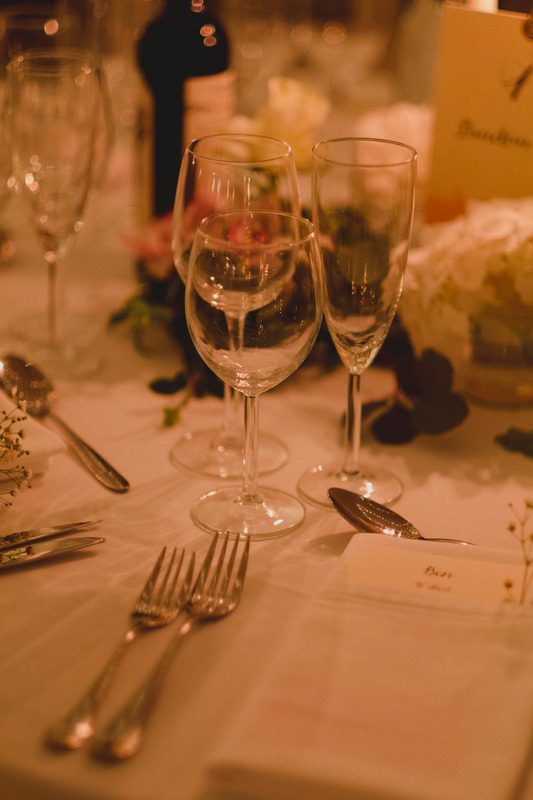 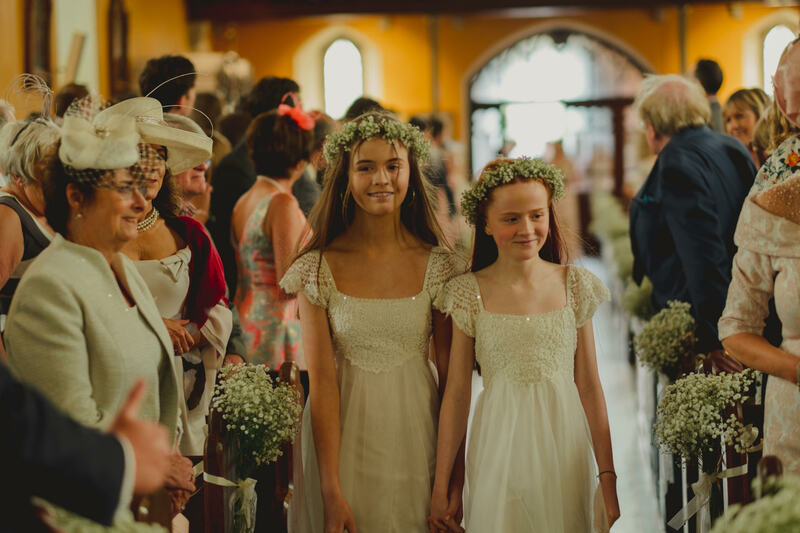 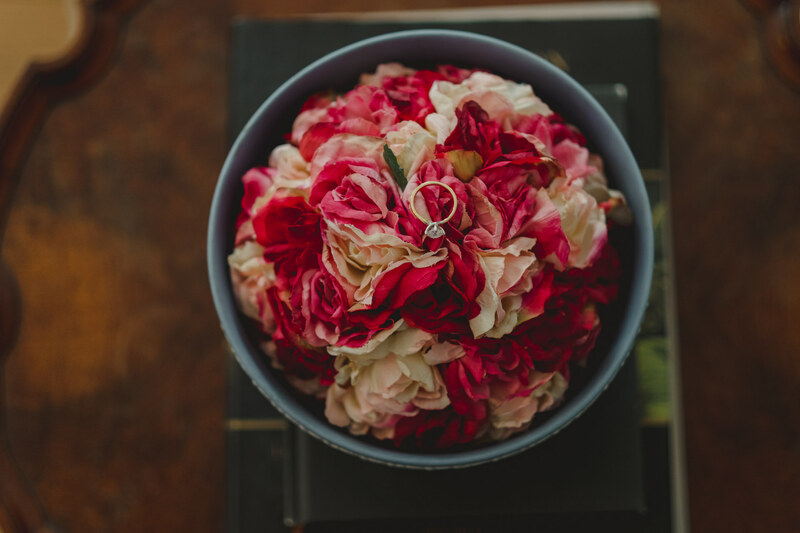 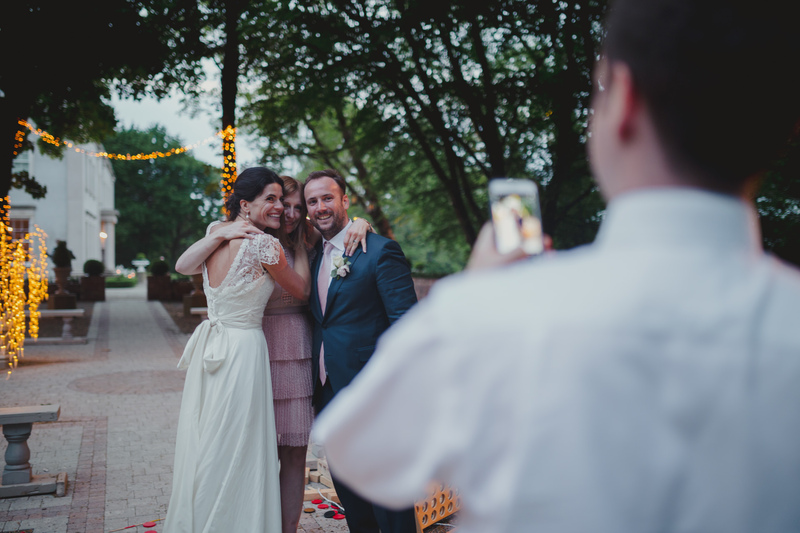 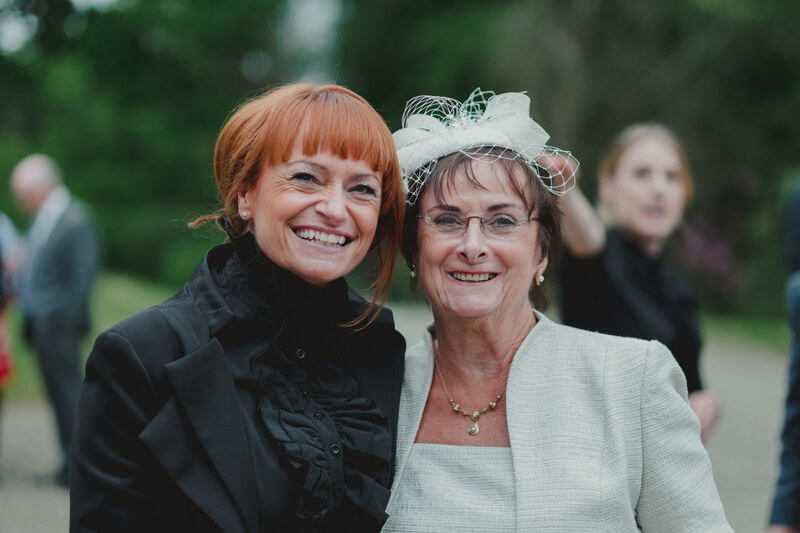 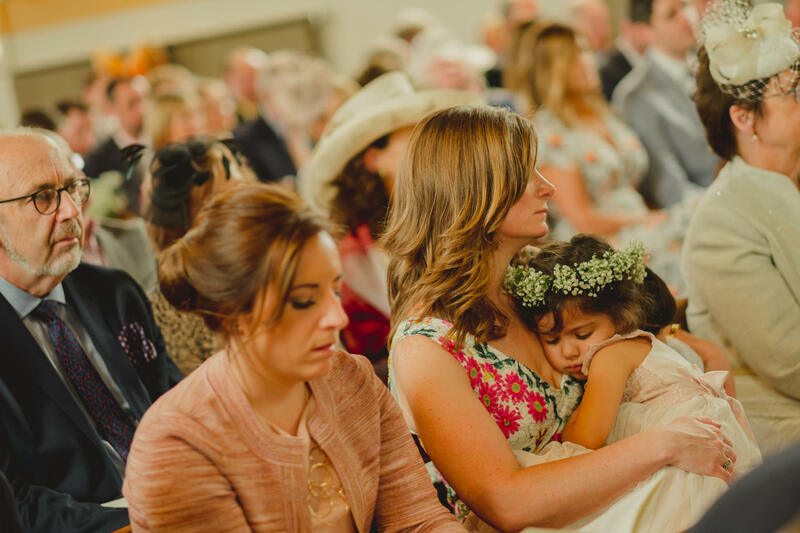 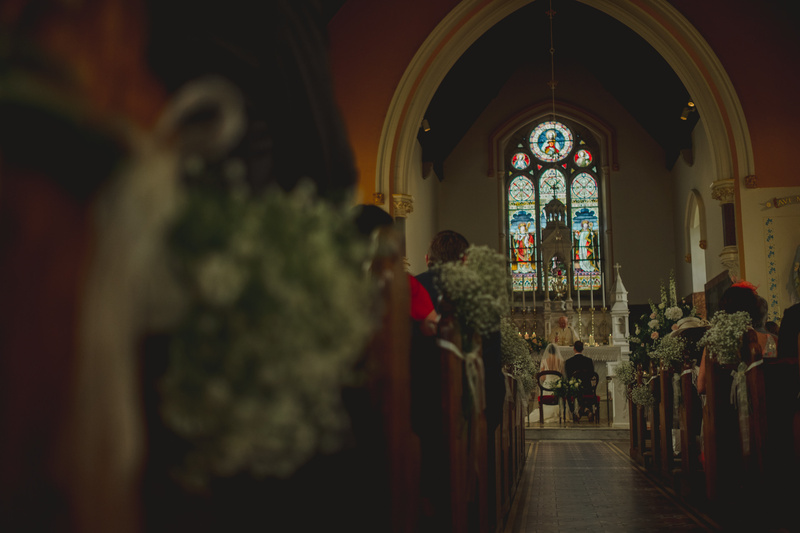 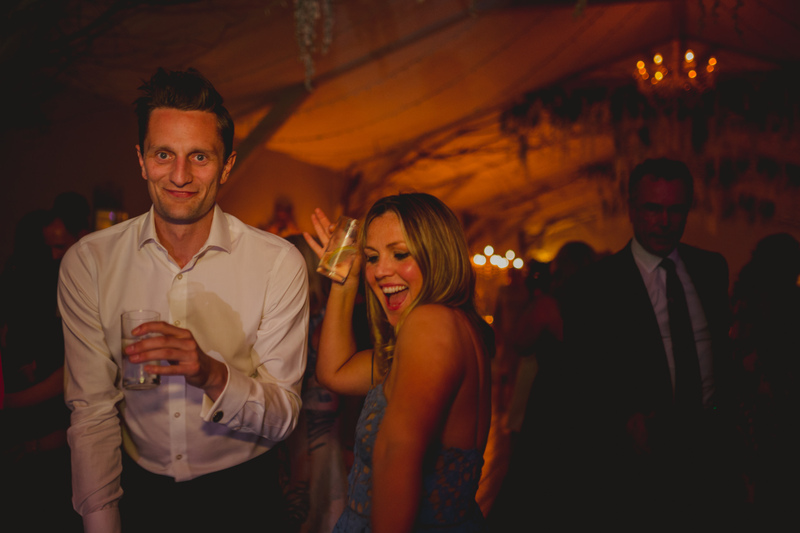 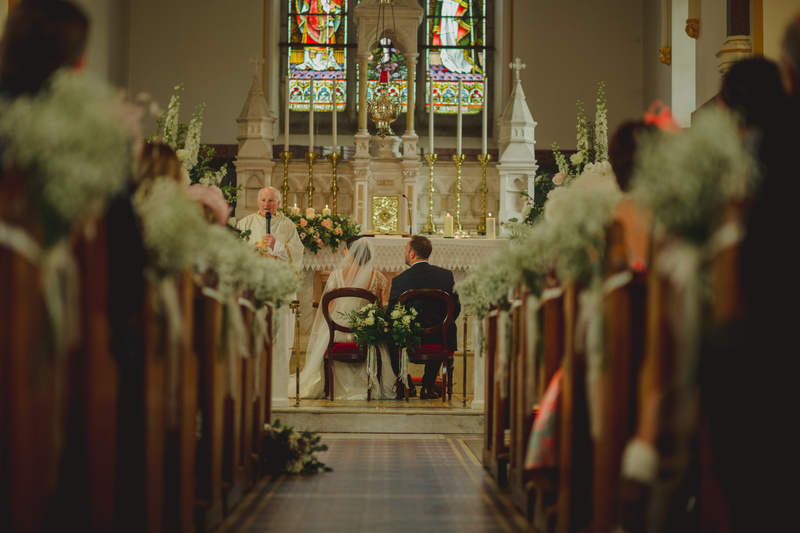 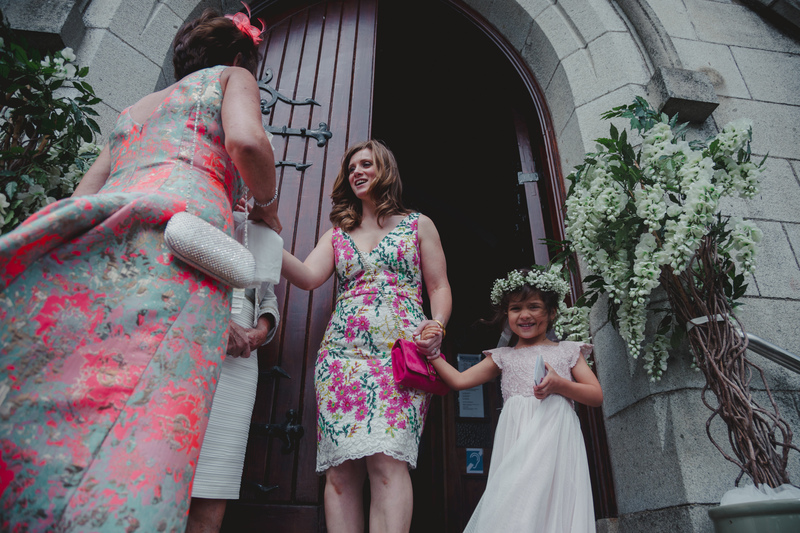 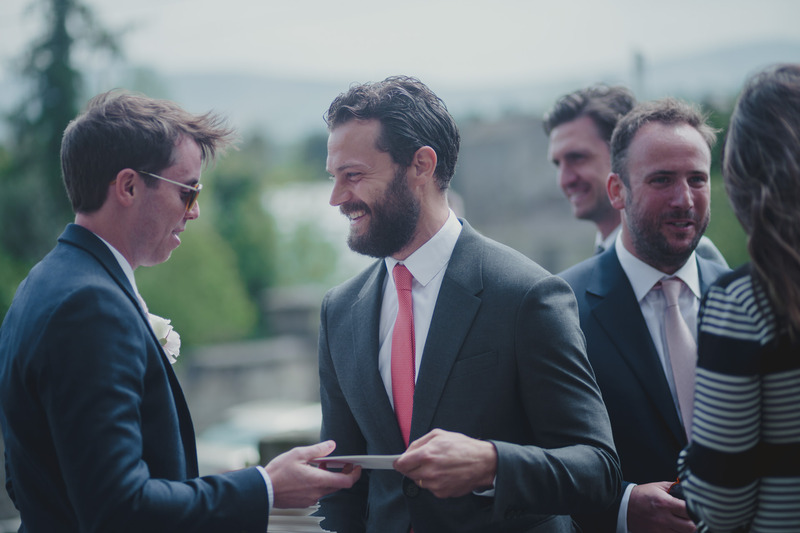 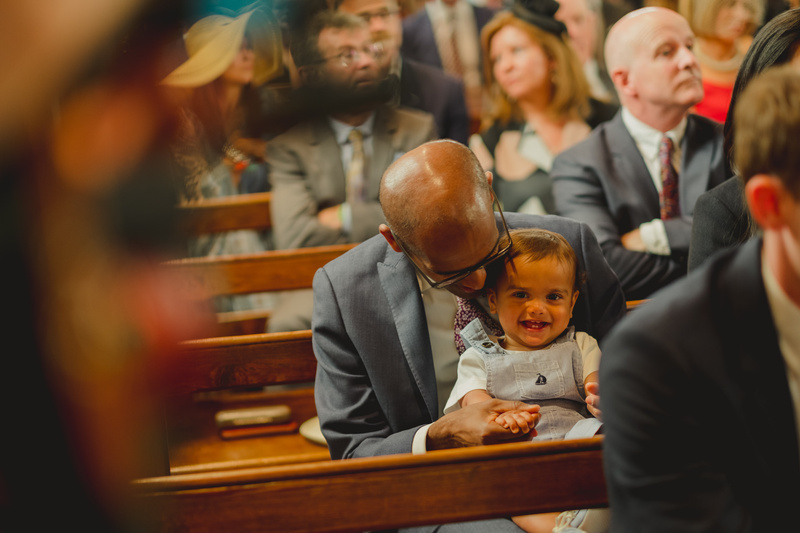 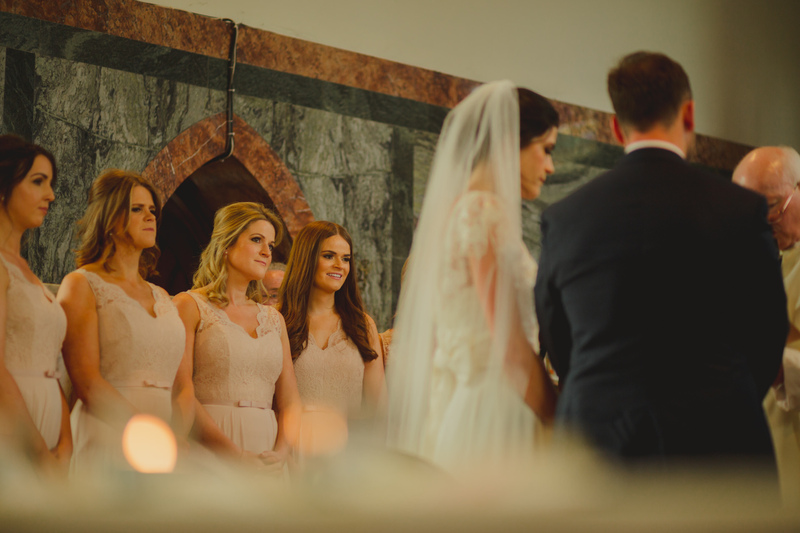 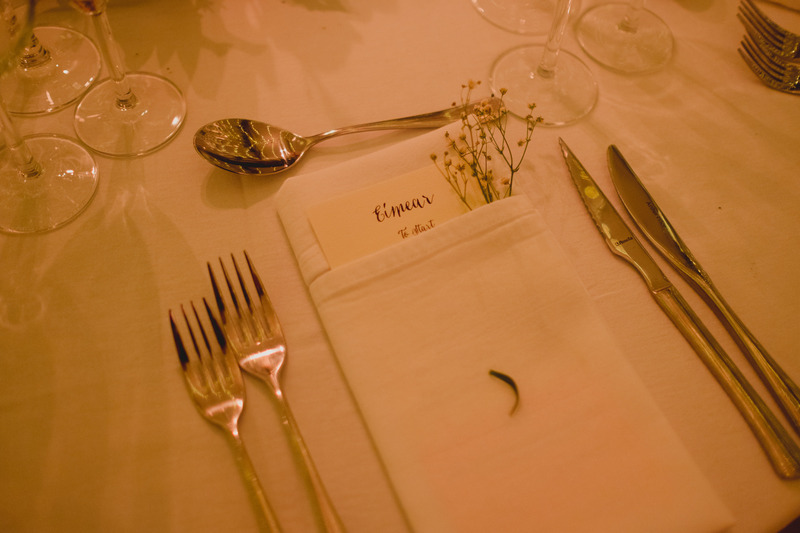 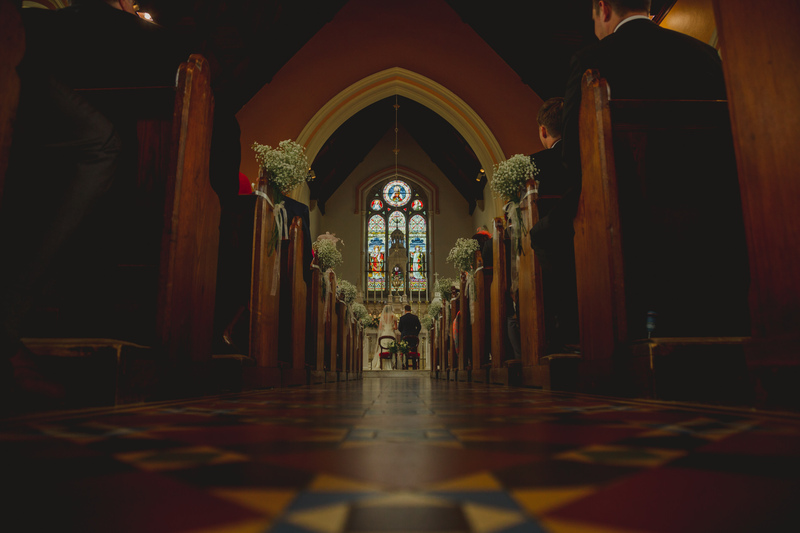 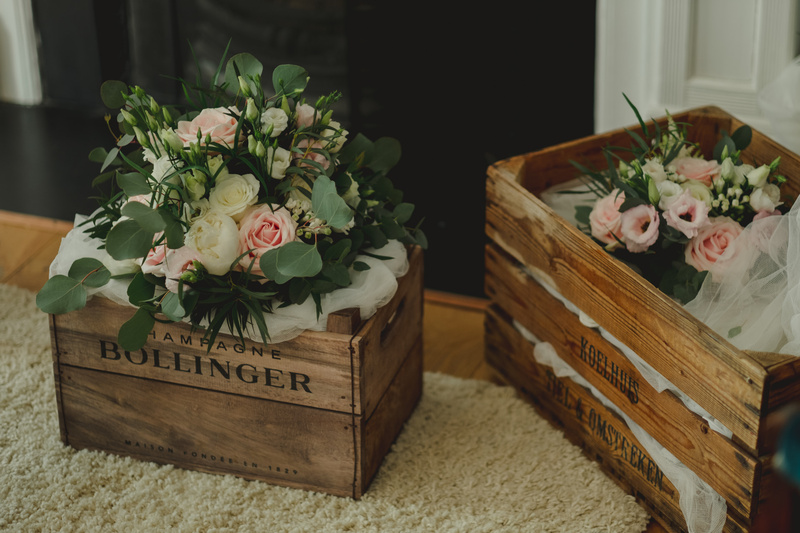 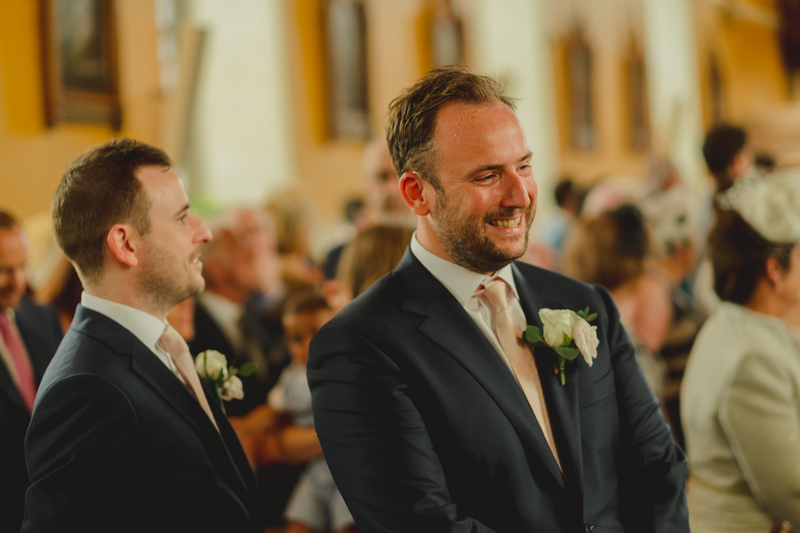 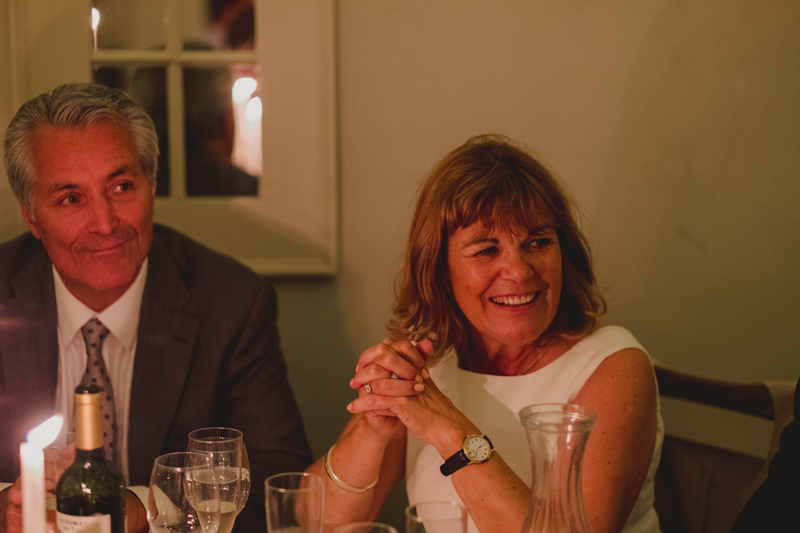 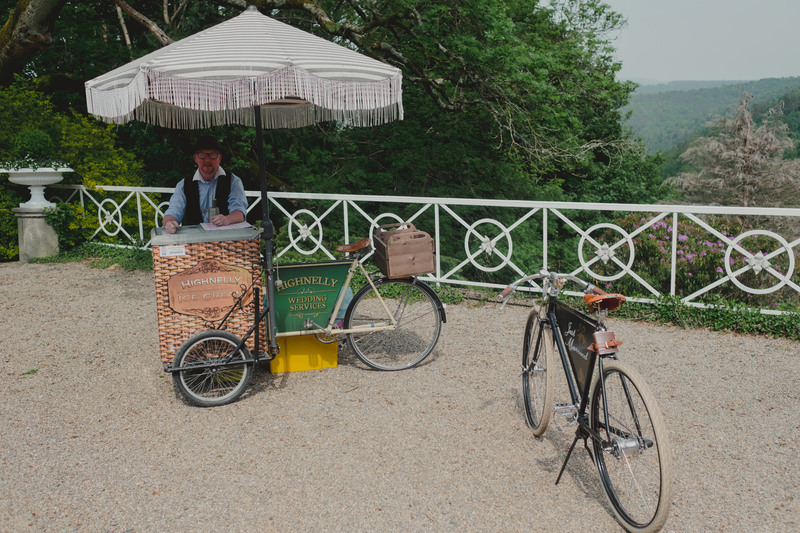 Their wedding service was held in a quaint country church with elaborate interiors. 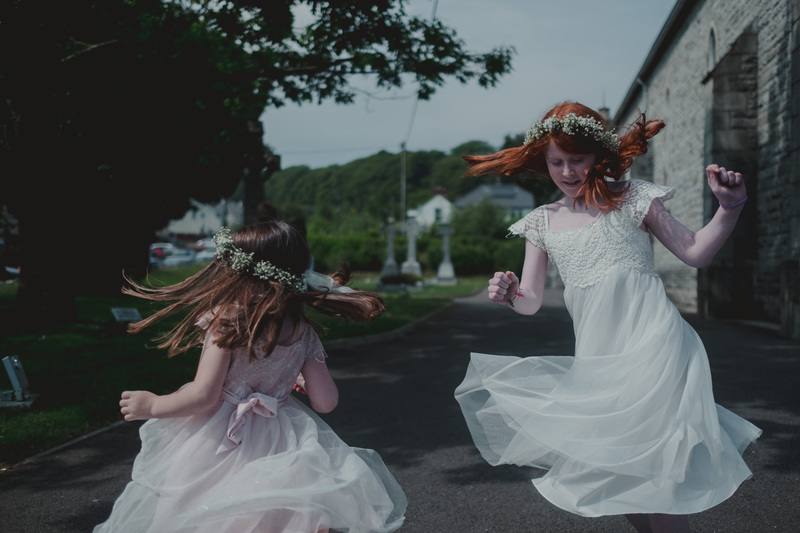 Pre–ceremony their numerous flower girls arrived with baby’s breath crowns in their hair, and Siobhan and Michael excited their ceremony as Mr. and Mrs, with copious amounts of confetti in theirs. 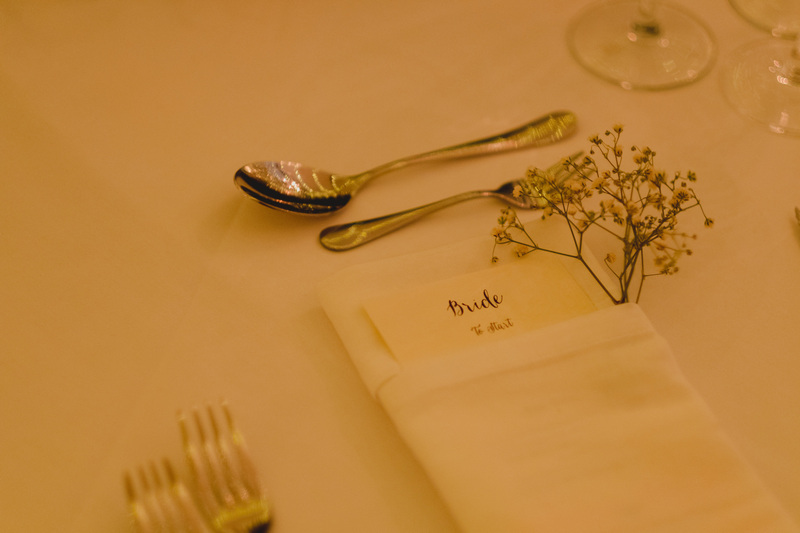 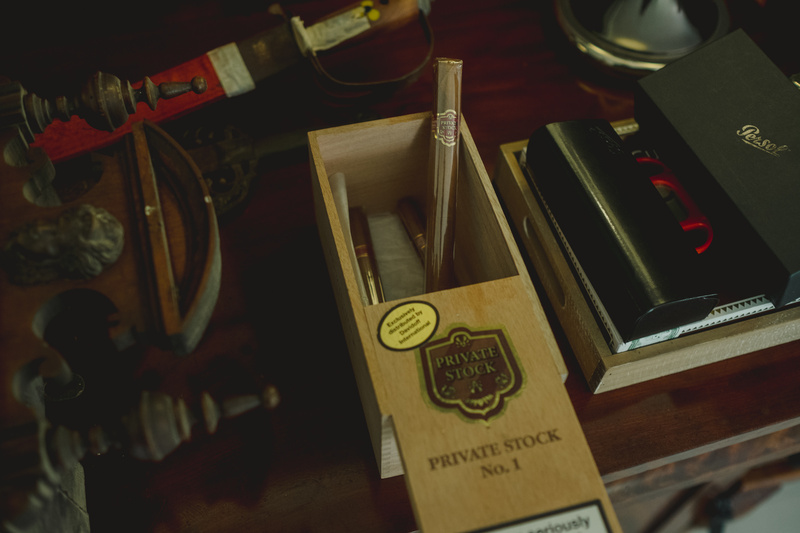 There was great attention to detail throughout the day. 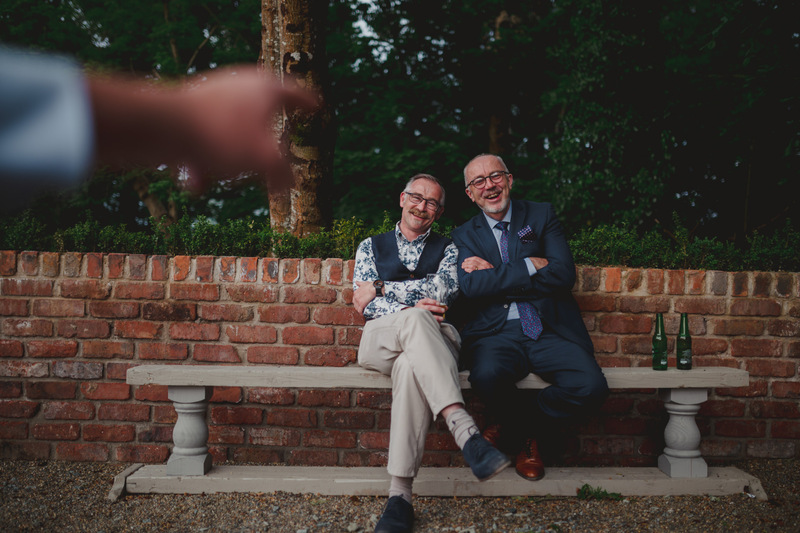 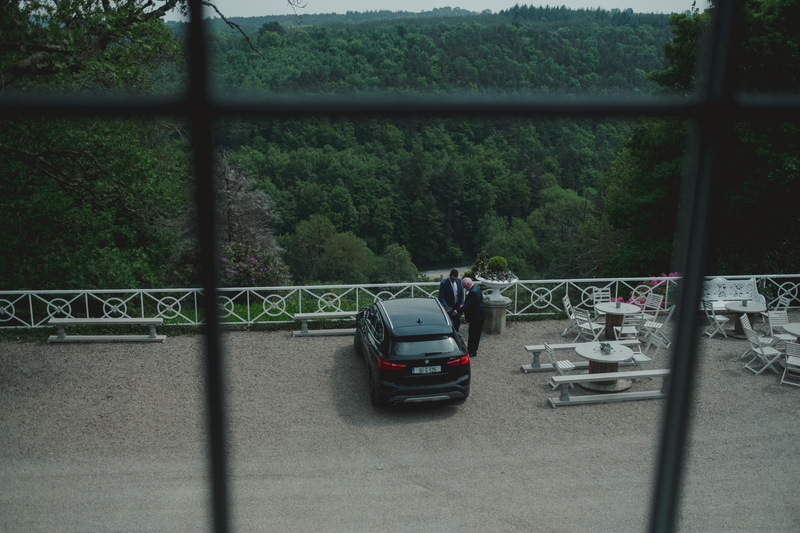 The wedding car pulling empty cans of Guinness and Coke enroute to their Guinness on tap meets Champagne reception, to their Tayto Sambo snacks, Ice-Cream Van, Cigar Bar, stringed musicians and Self Polaroid Stand. 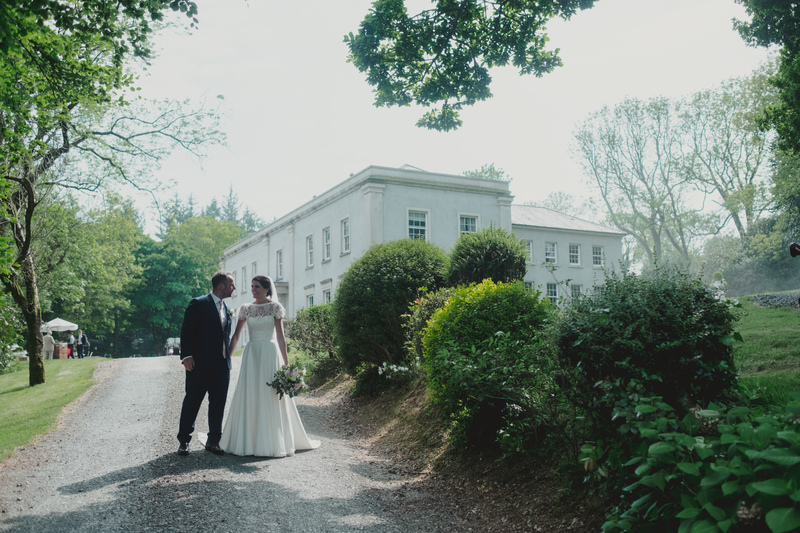 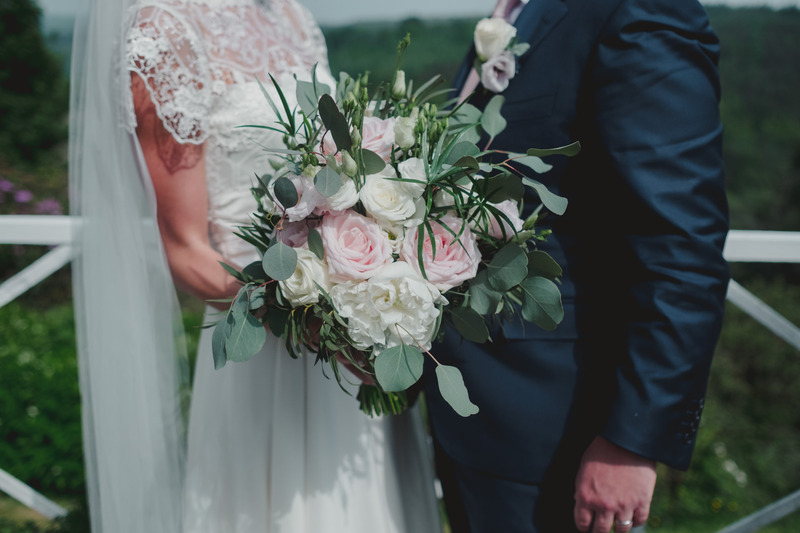 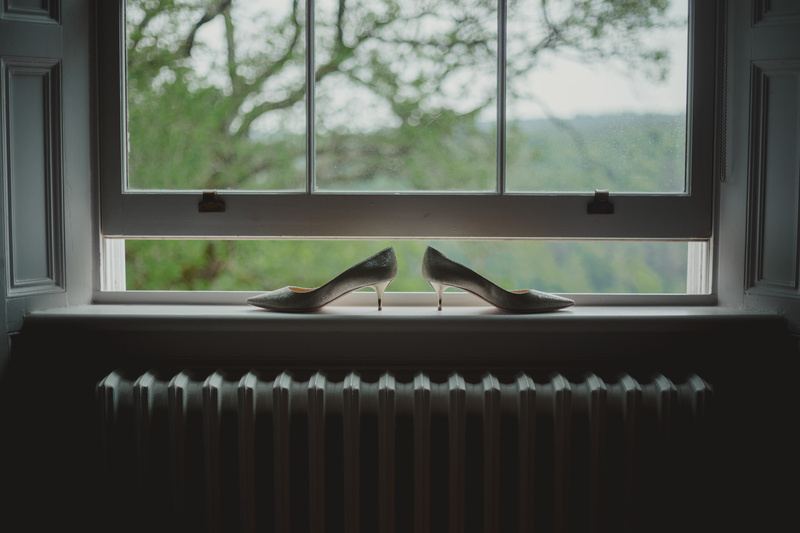 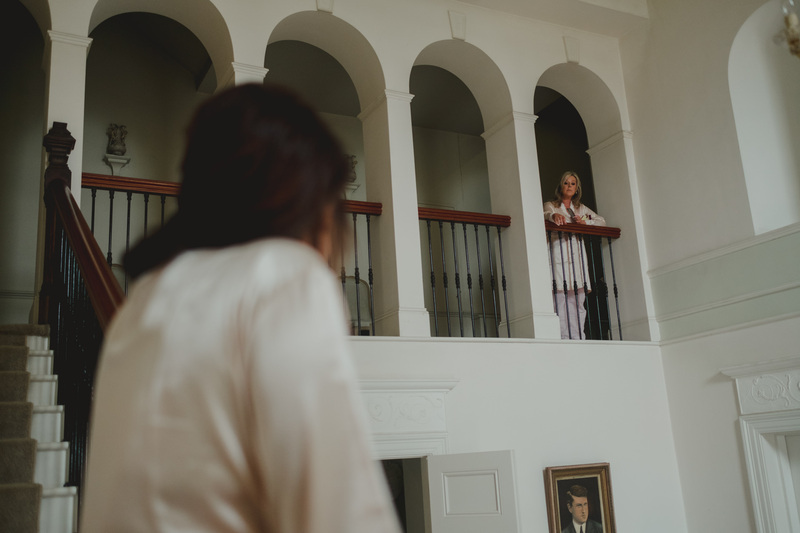 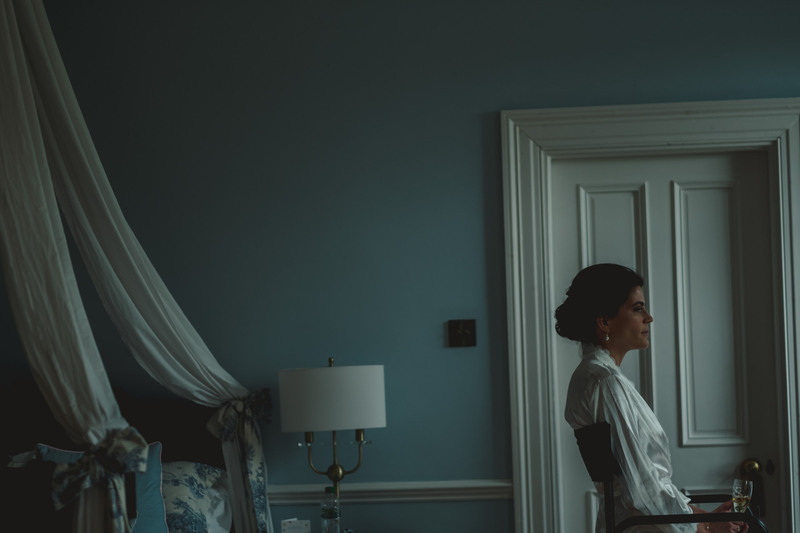 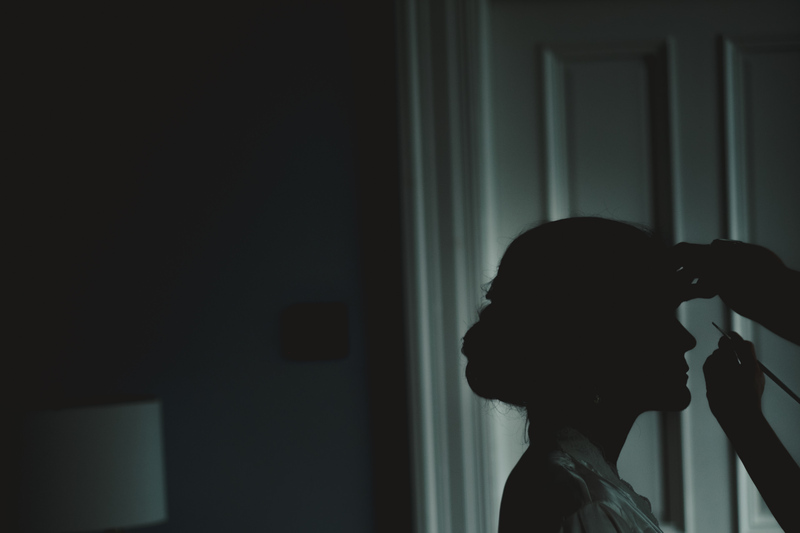 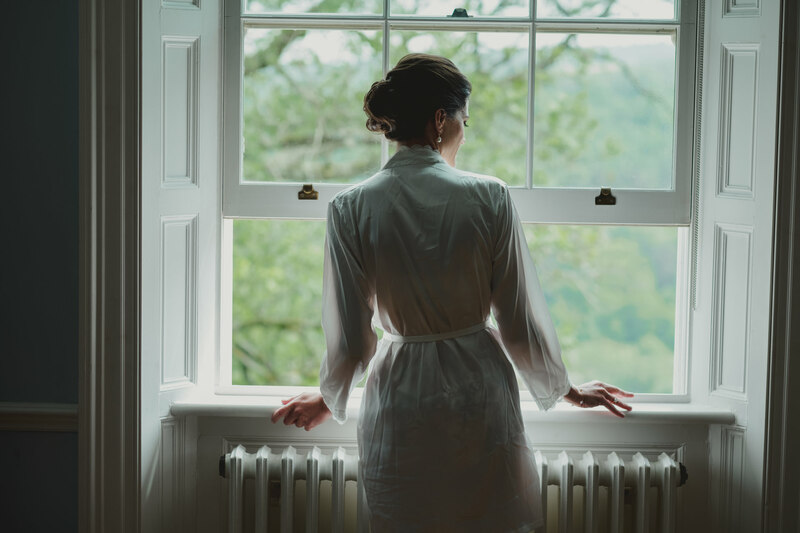 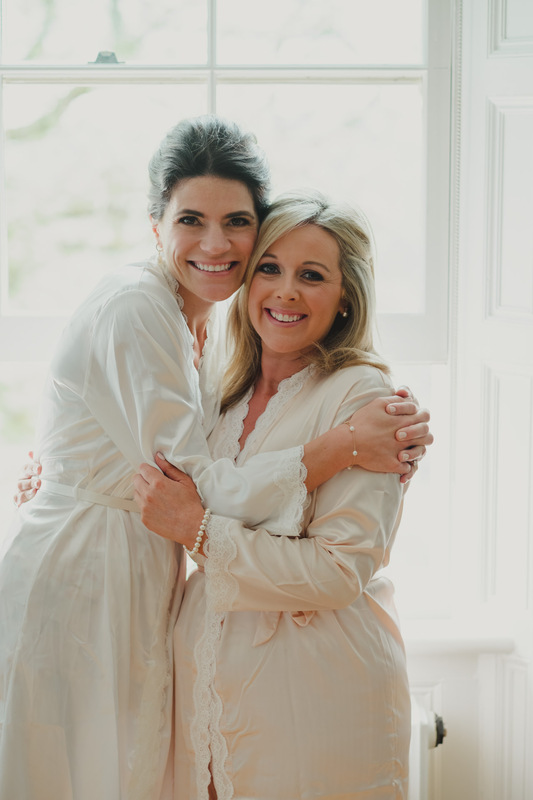 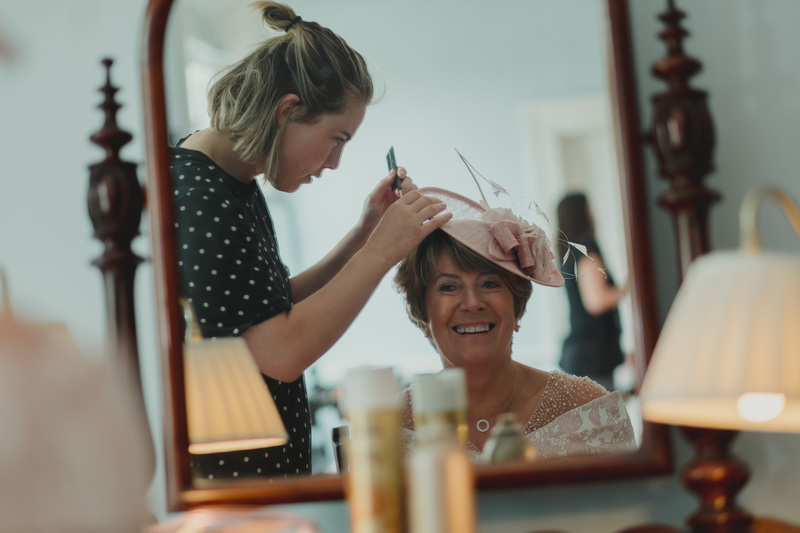 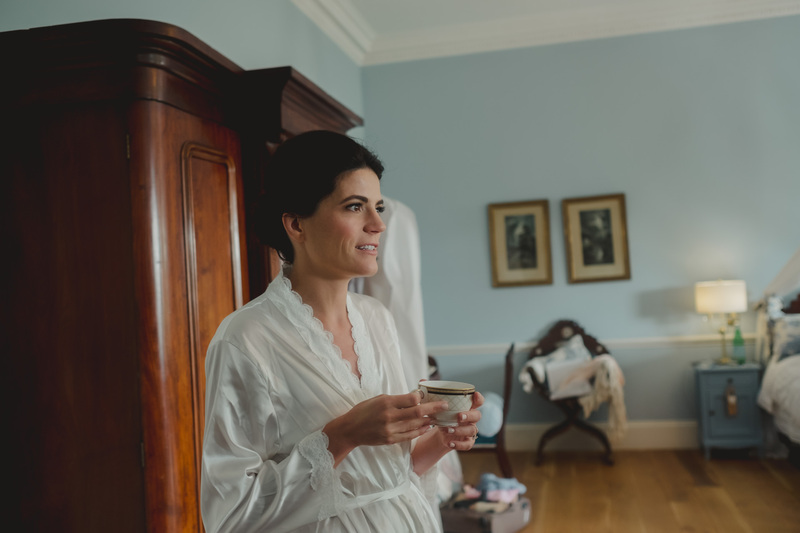 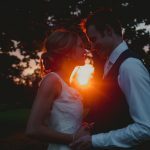 The couple took some time out for bridal portraits at Clonwilliam House, making room for some sunlit moments, and dancing in the woods, before being met by their wedding party for some additional wedding party images. 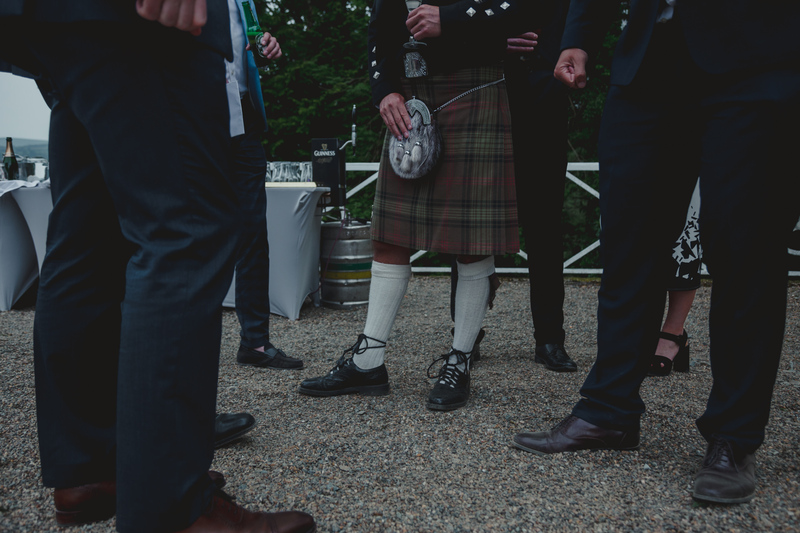 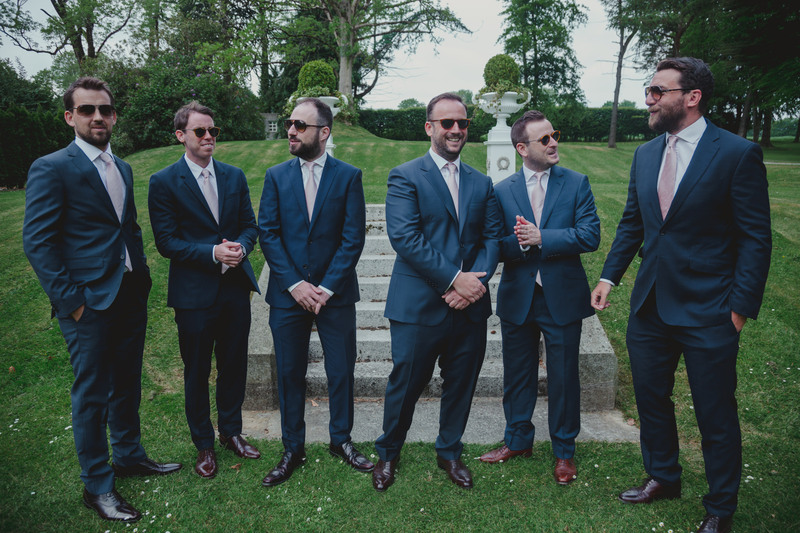 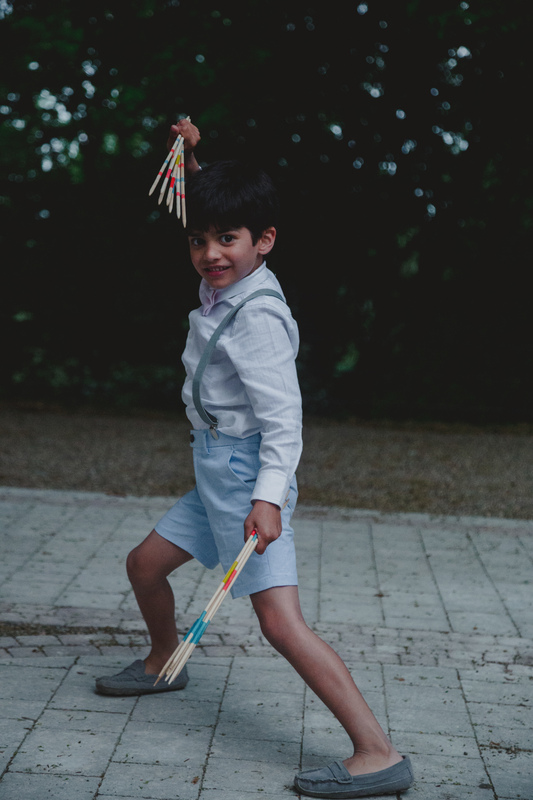 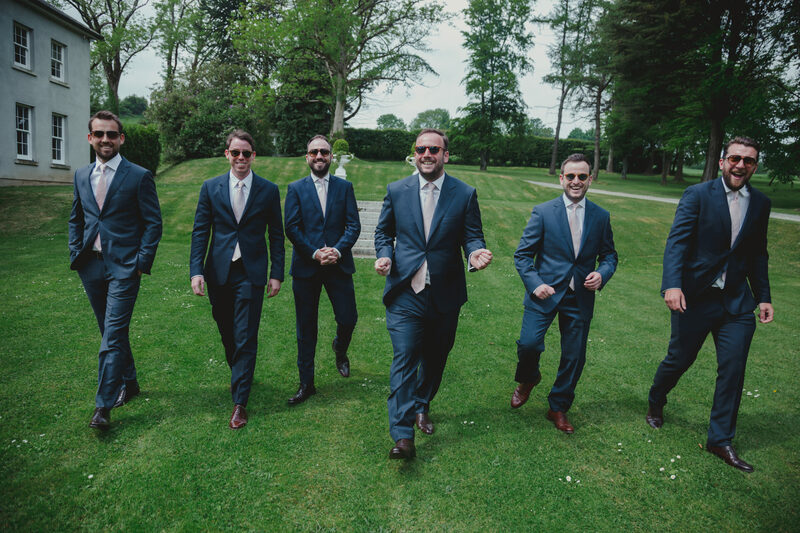 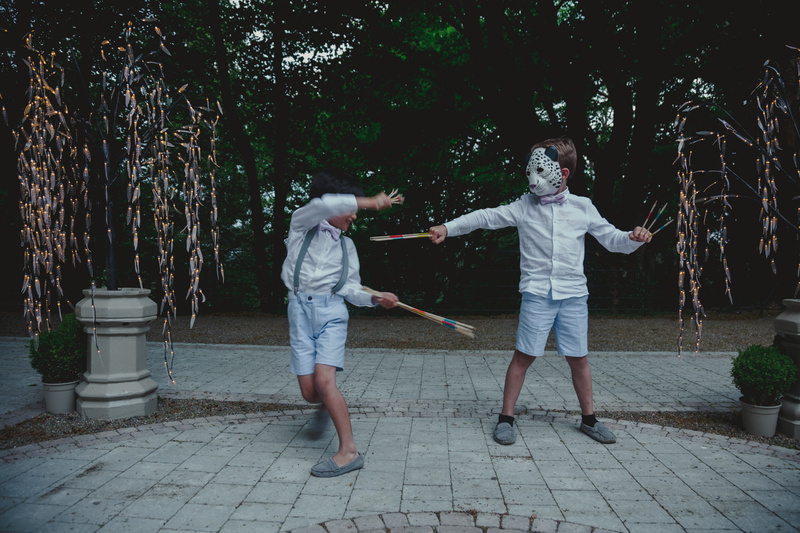 As far as their page boys and flower girls, they were kept busy by being swung around by members of Siobdhans and Michaels wedding party or playing board games like Hoopla or Ninja. 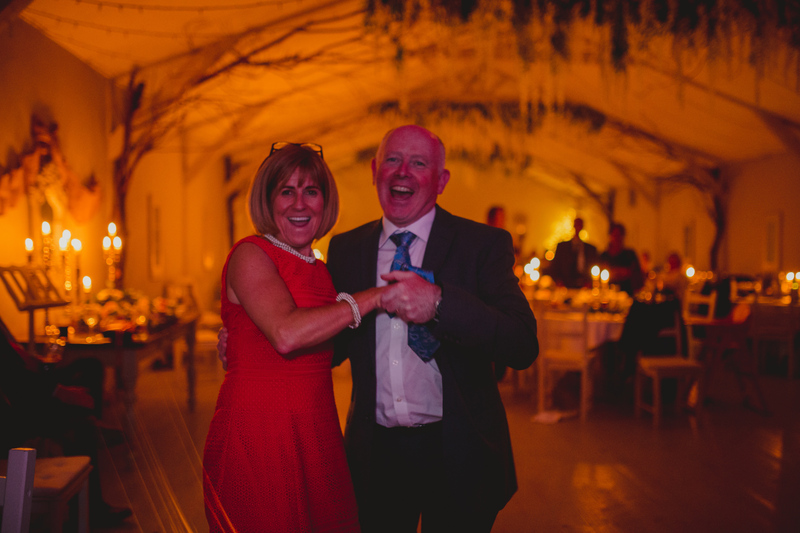 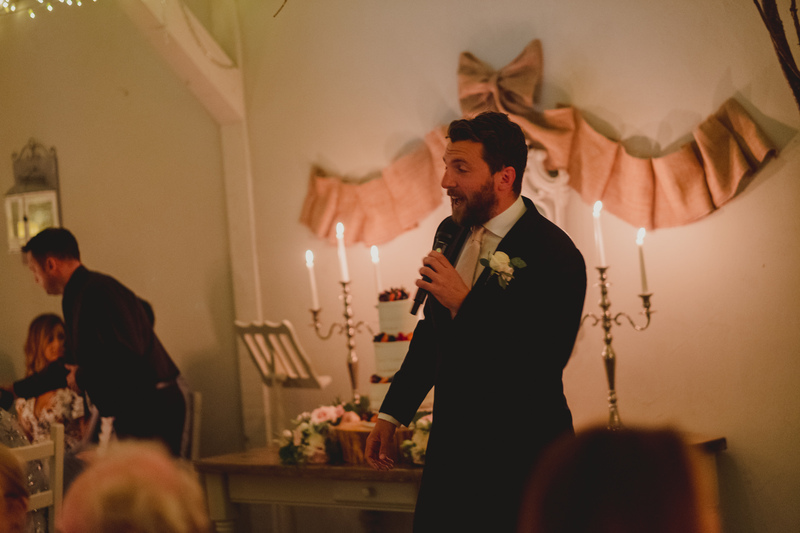 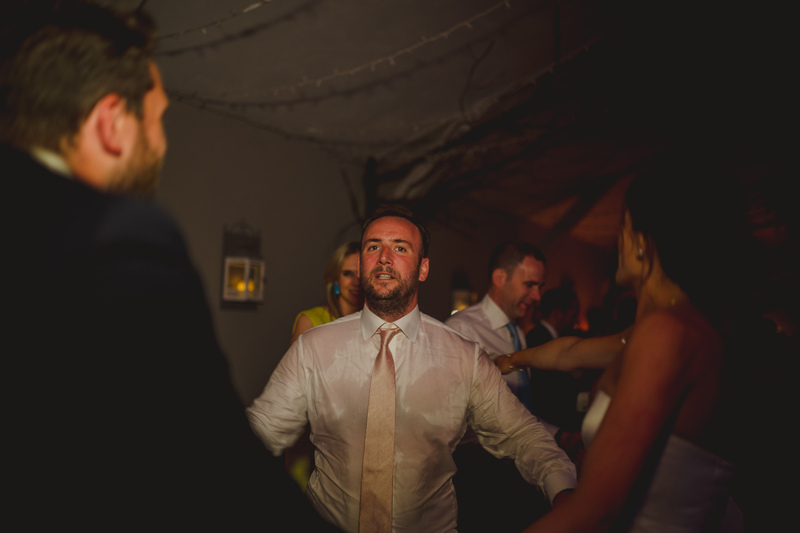 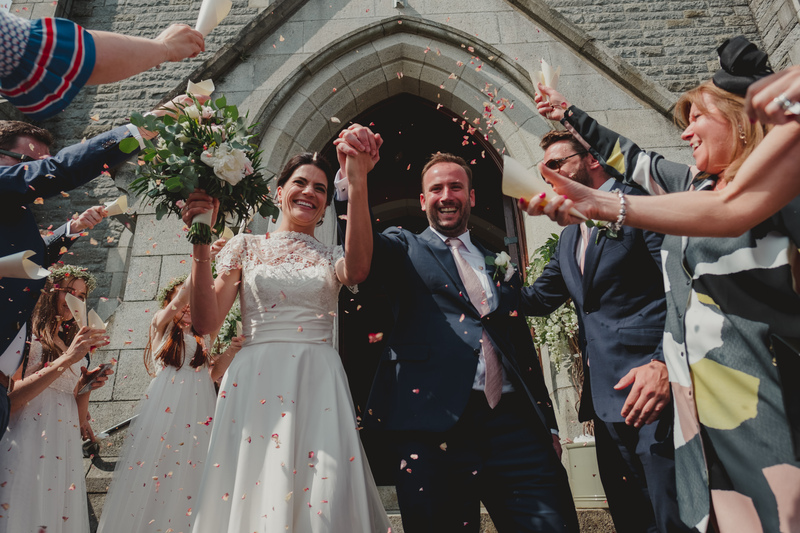 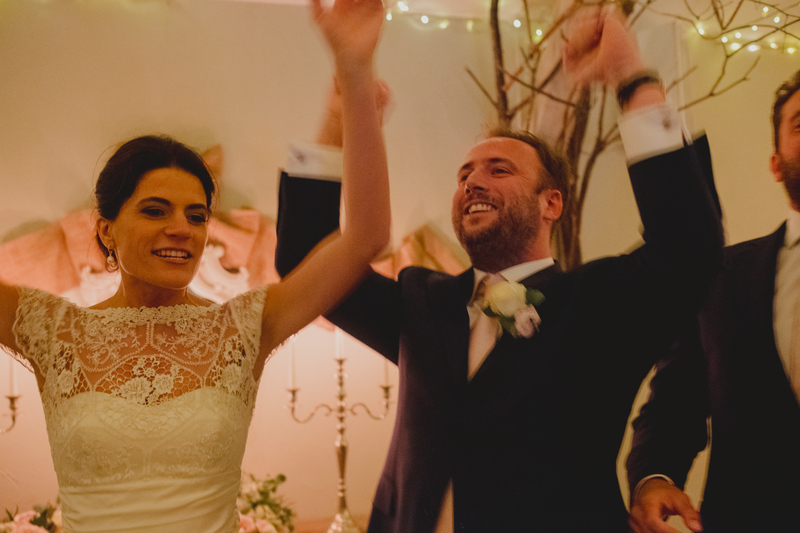 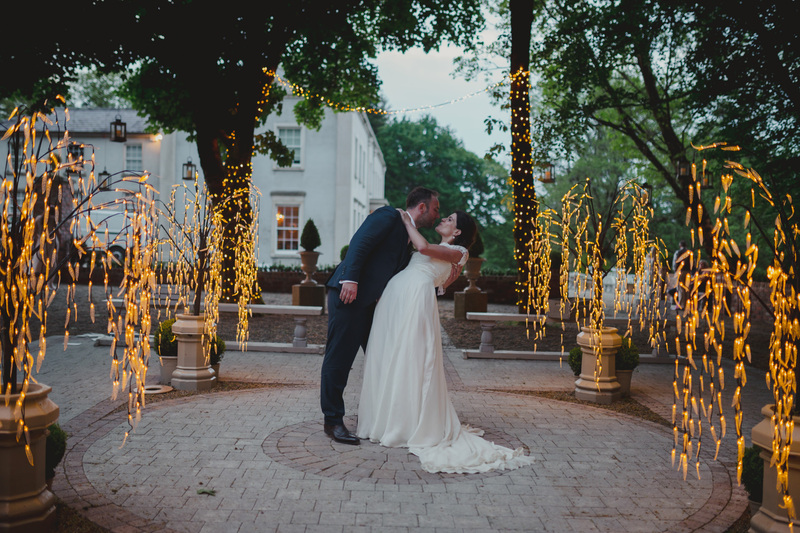 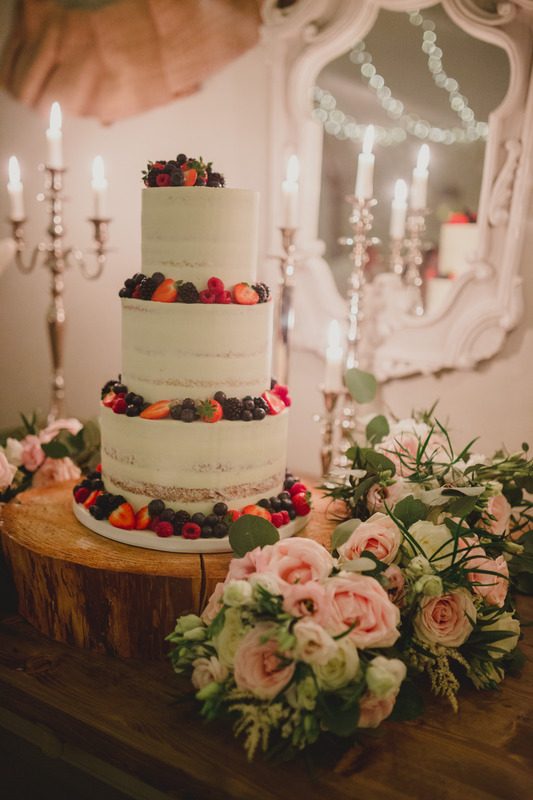 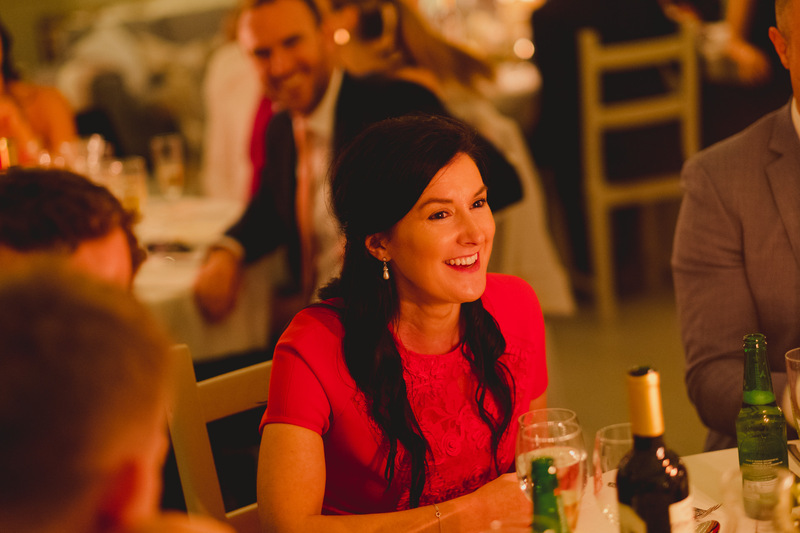 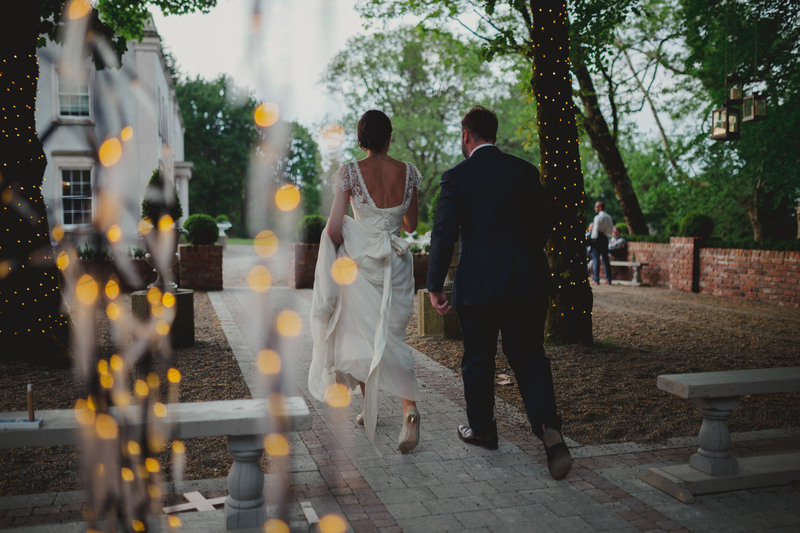 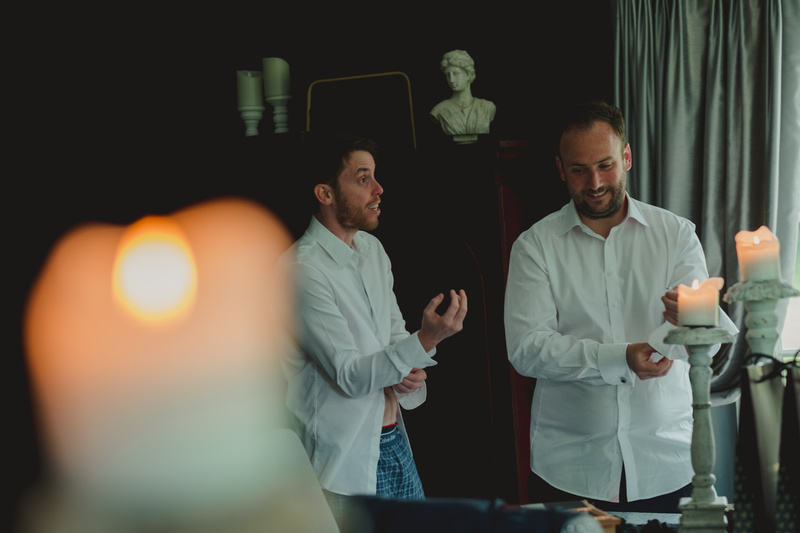 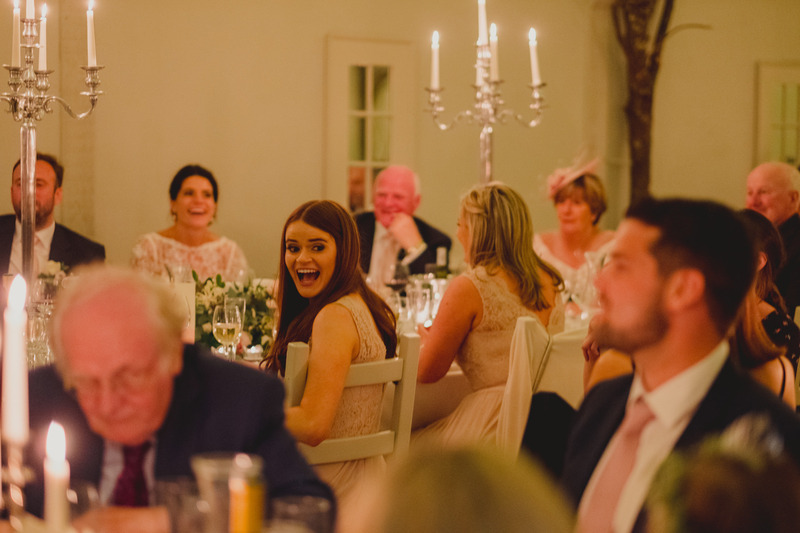 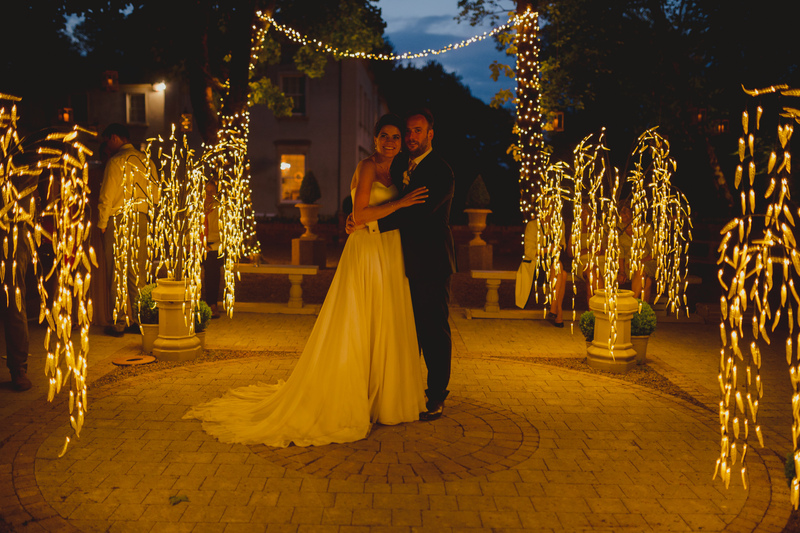 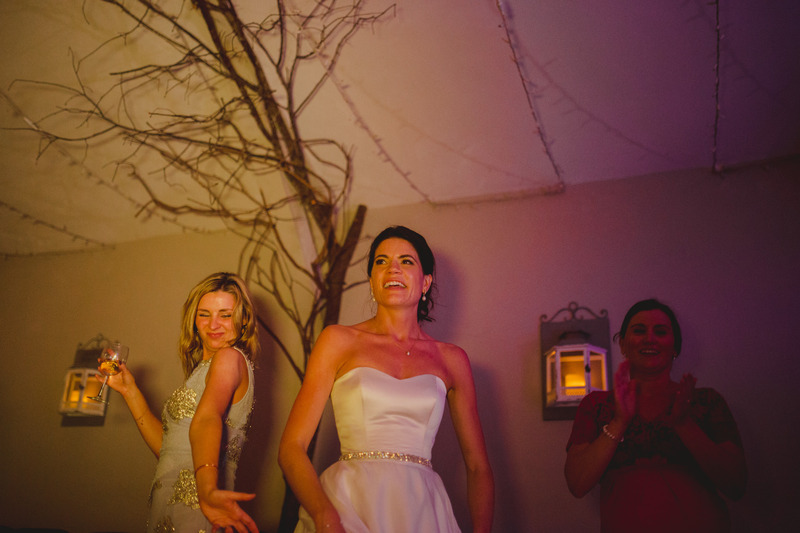 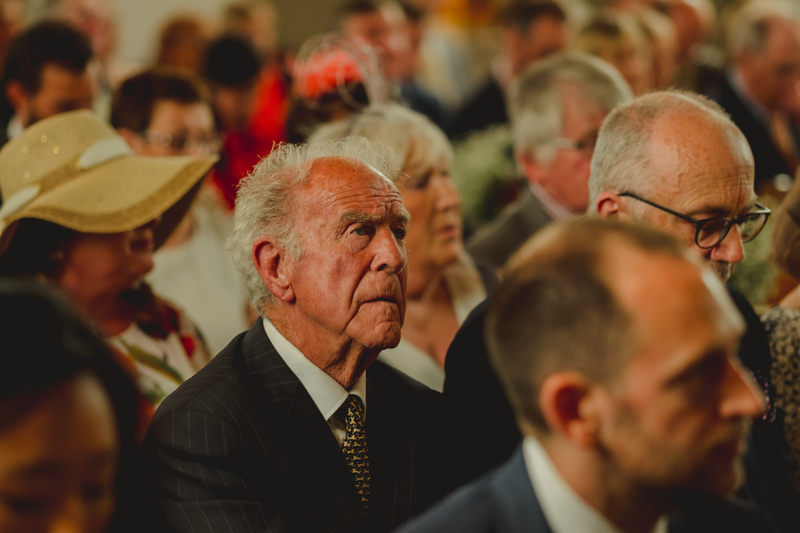 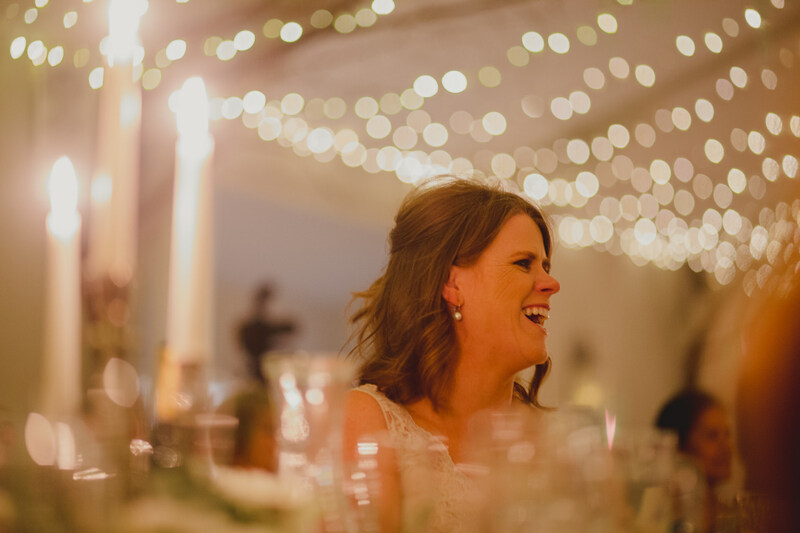 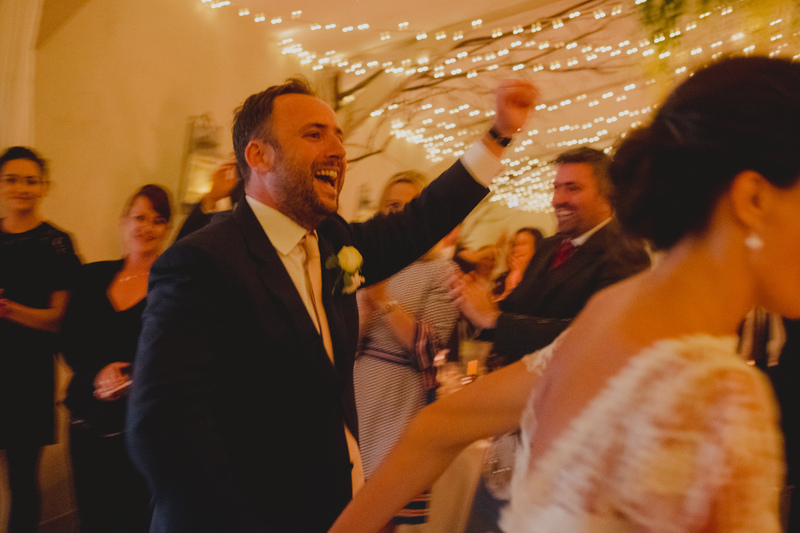 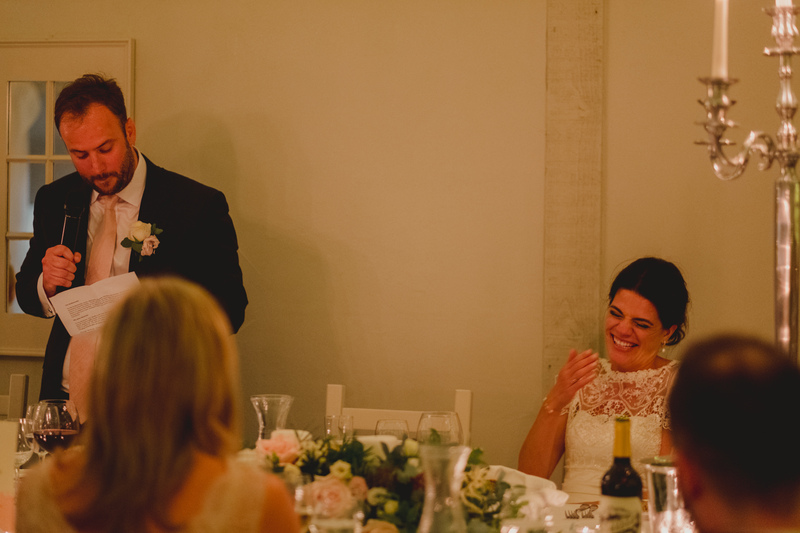 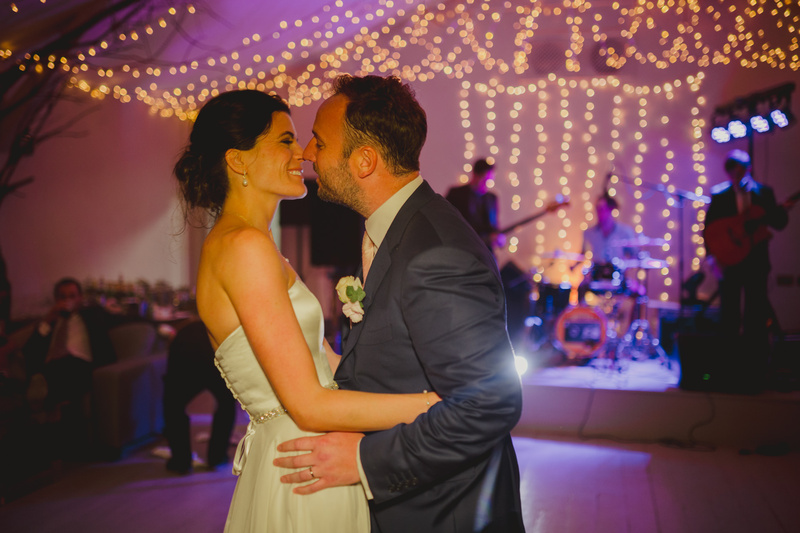 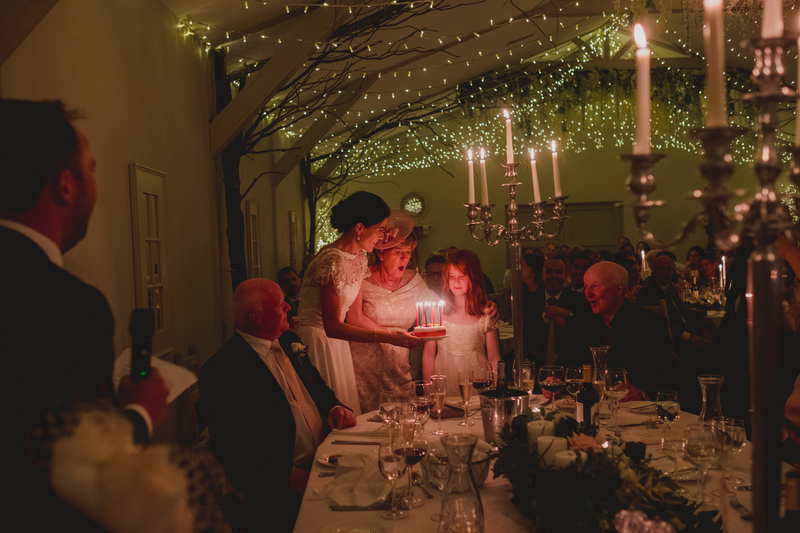 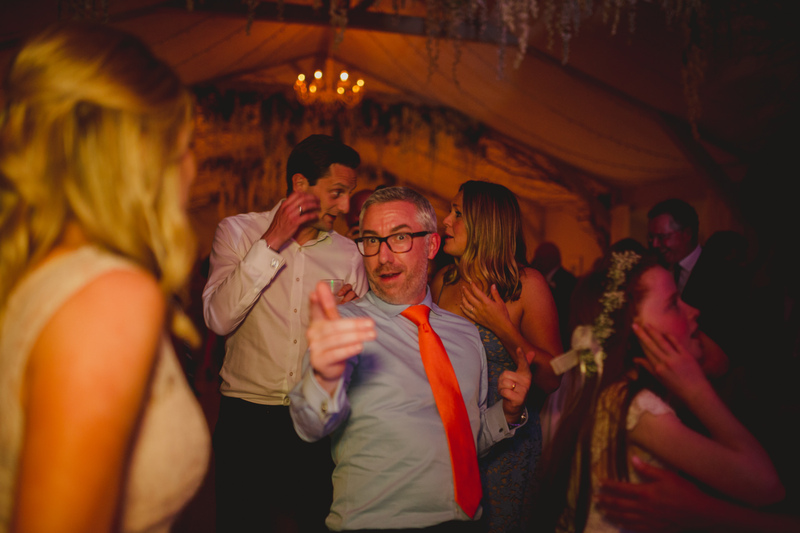 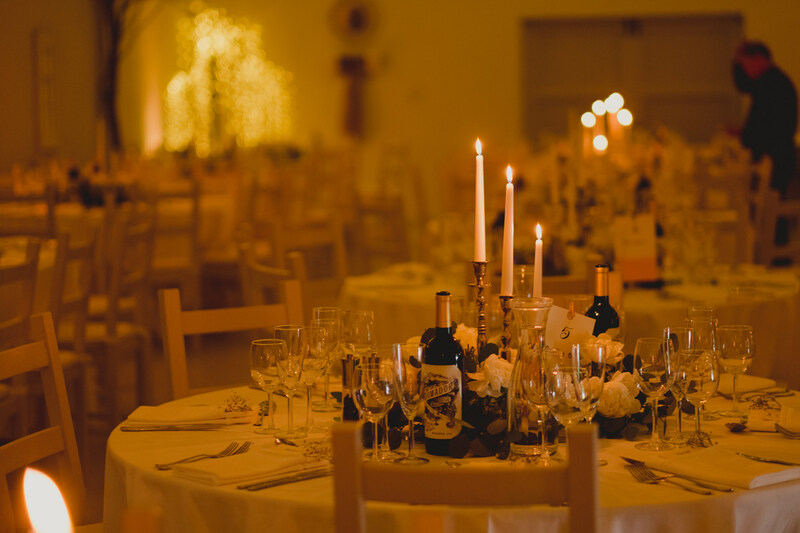 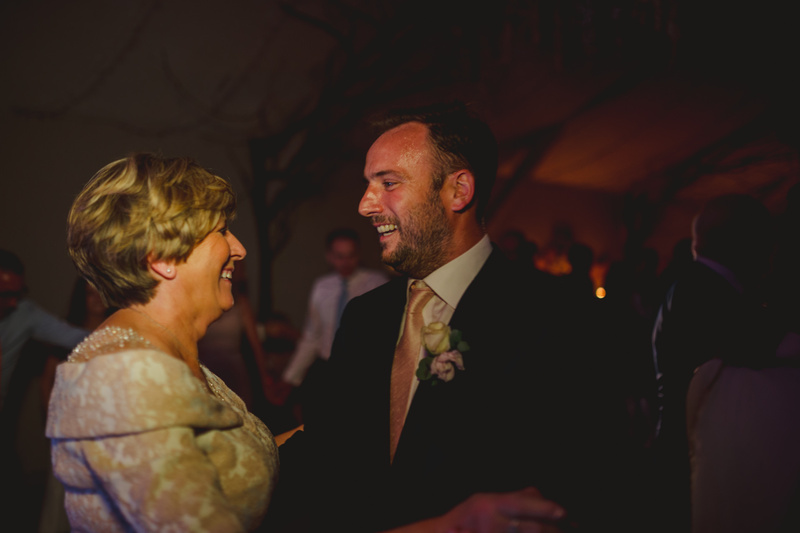 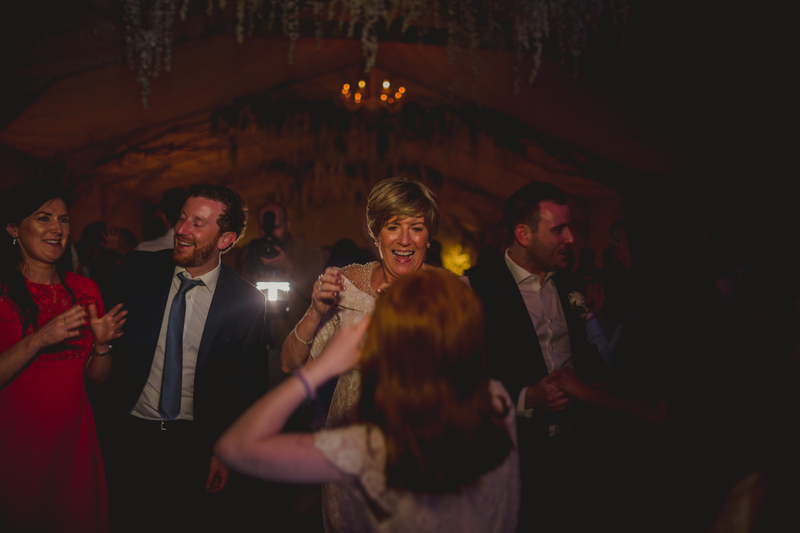 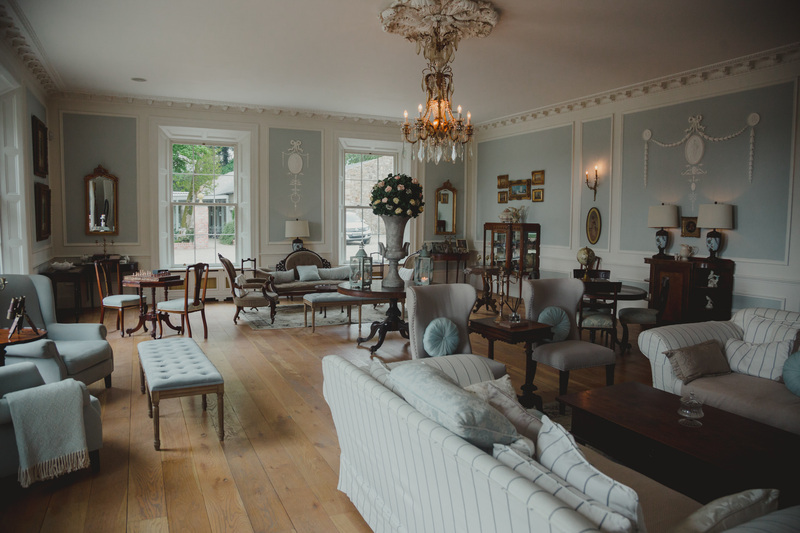 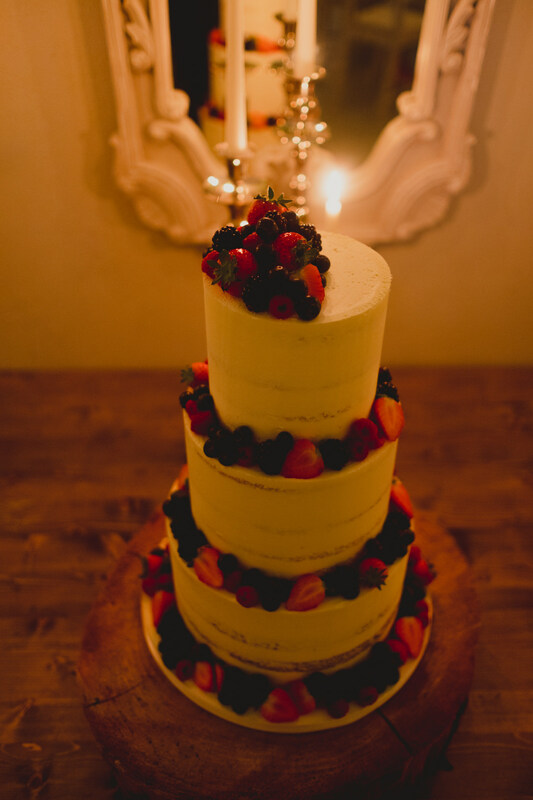 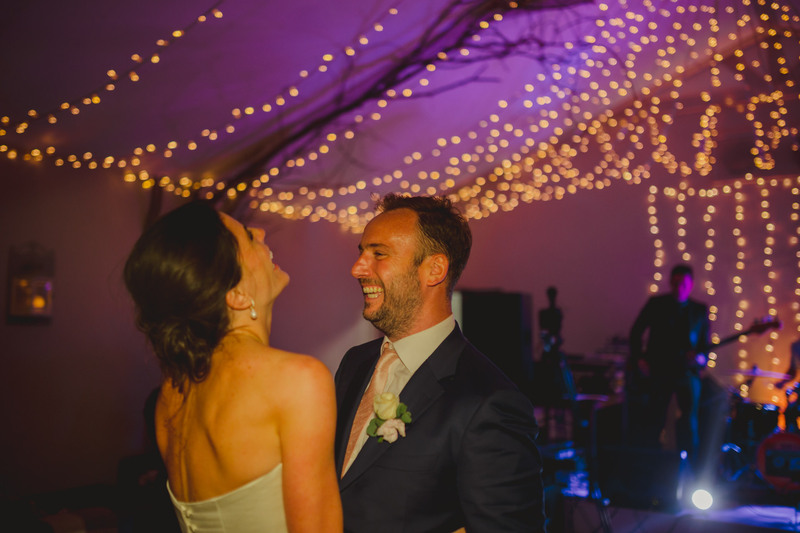 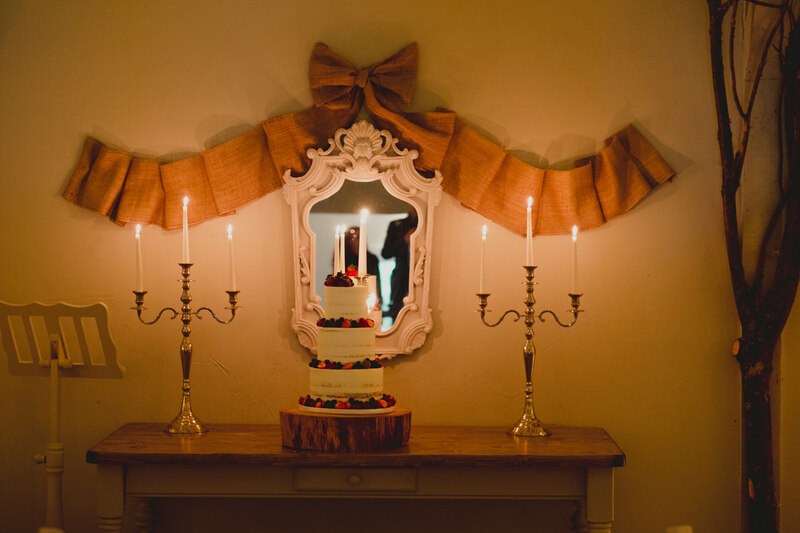 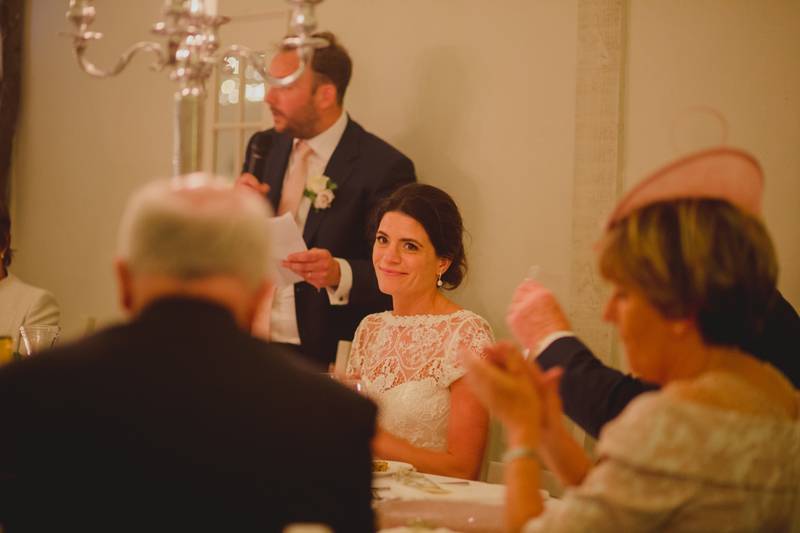 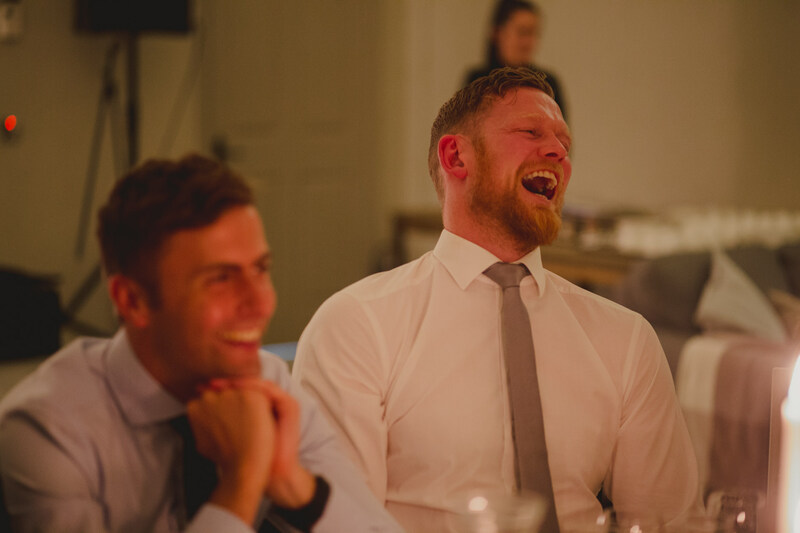 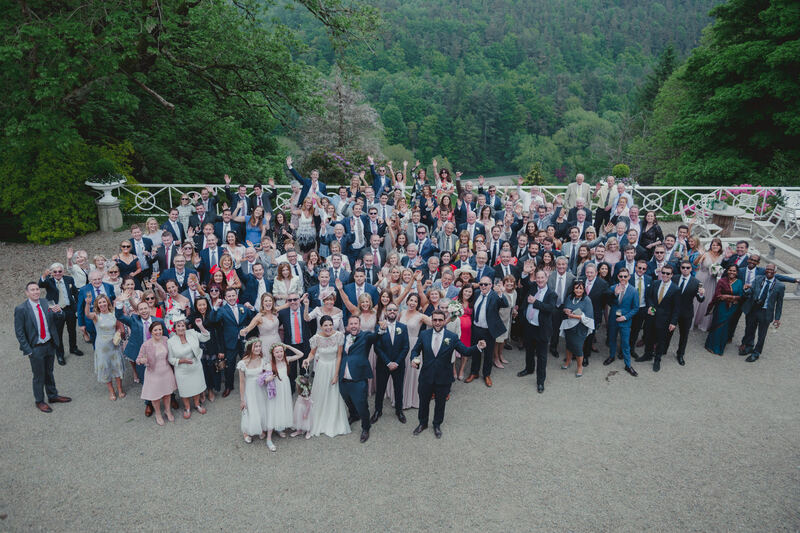 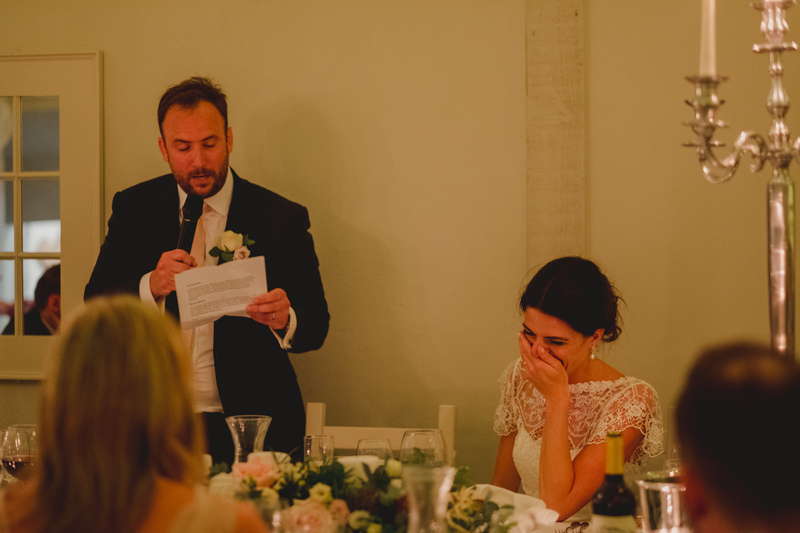 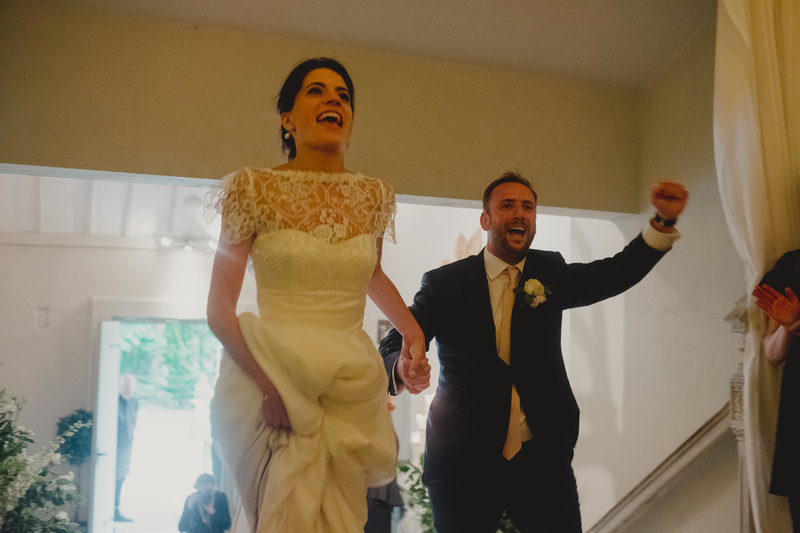 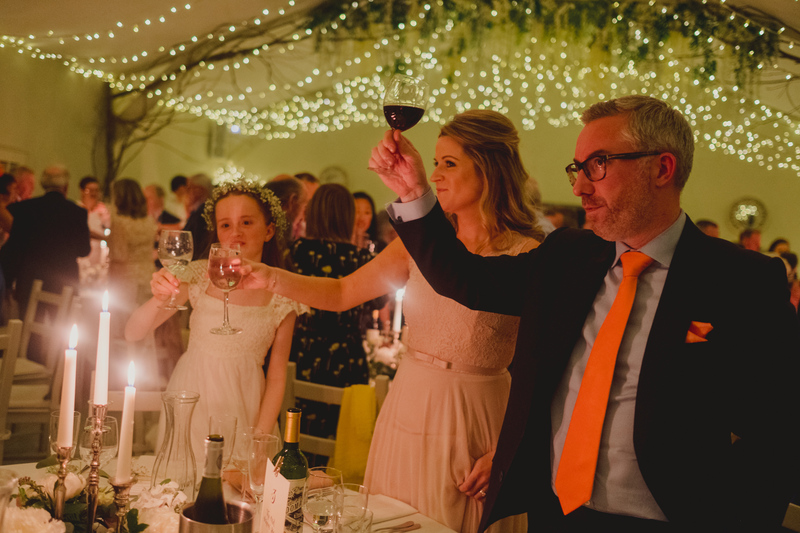 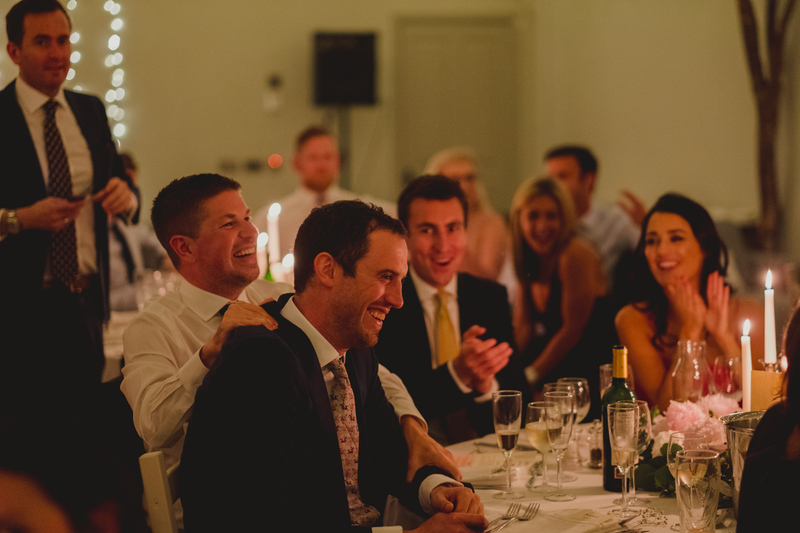 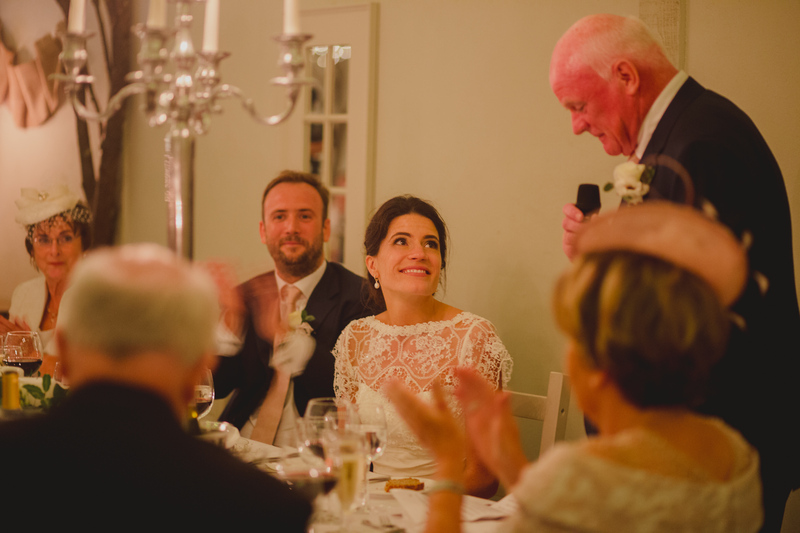 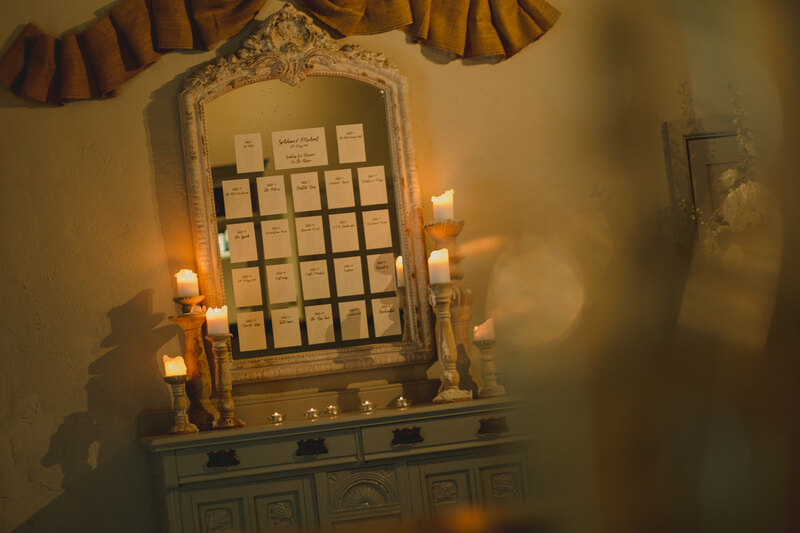 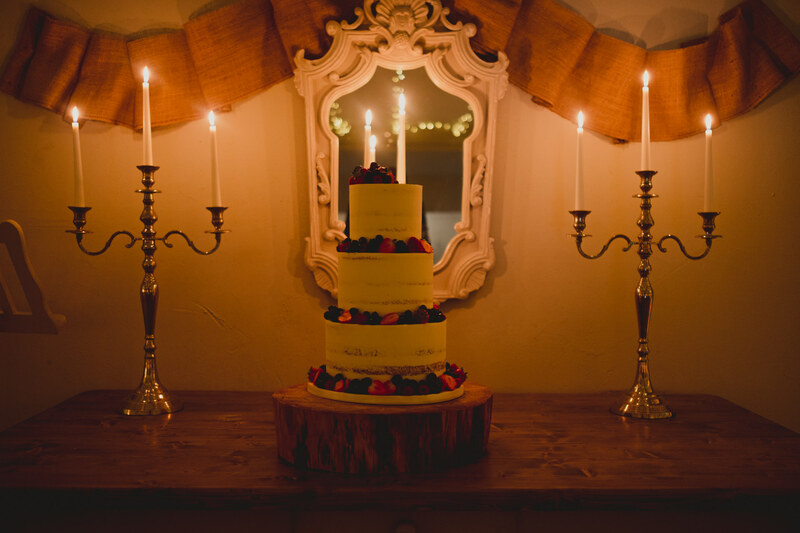 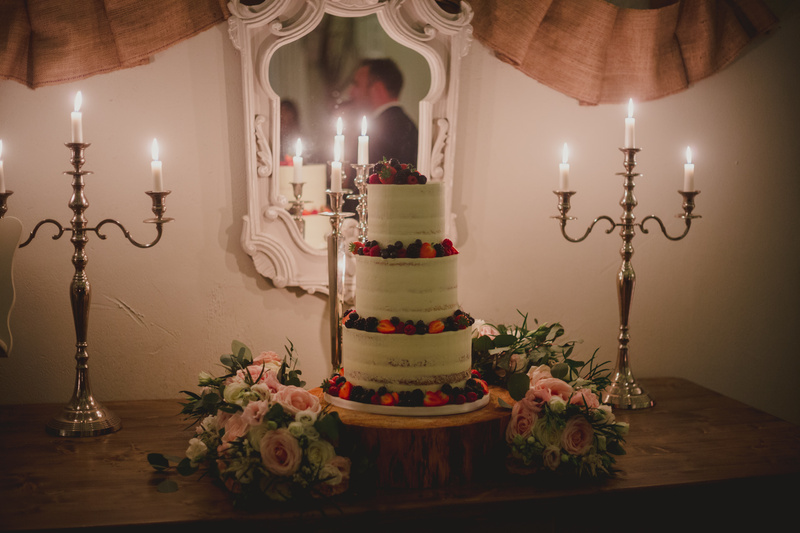 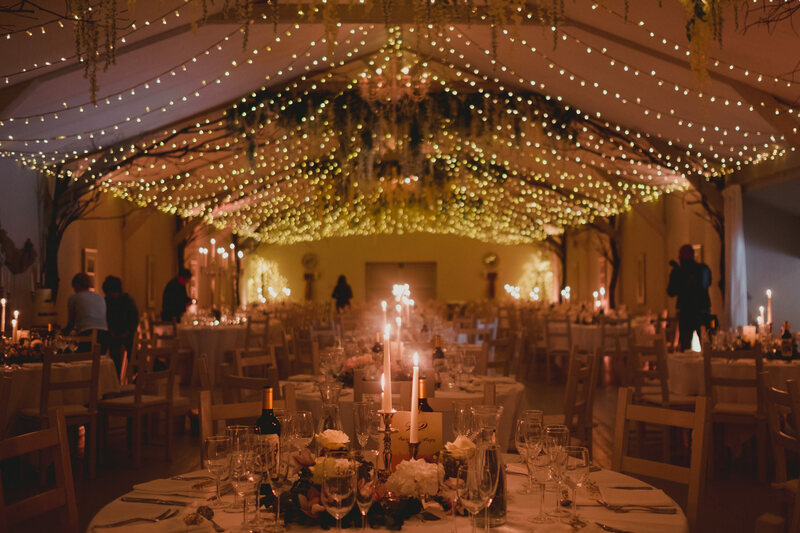 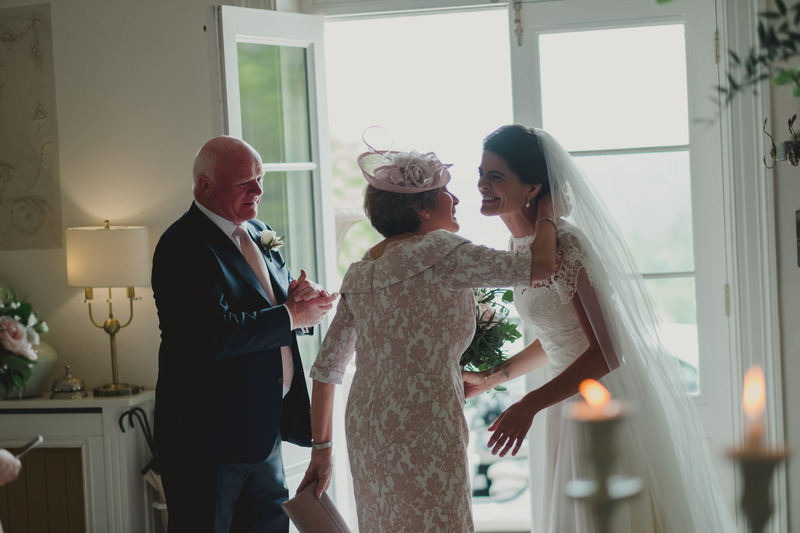 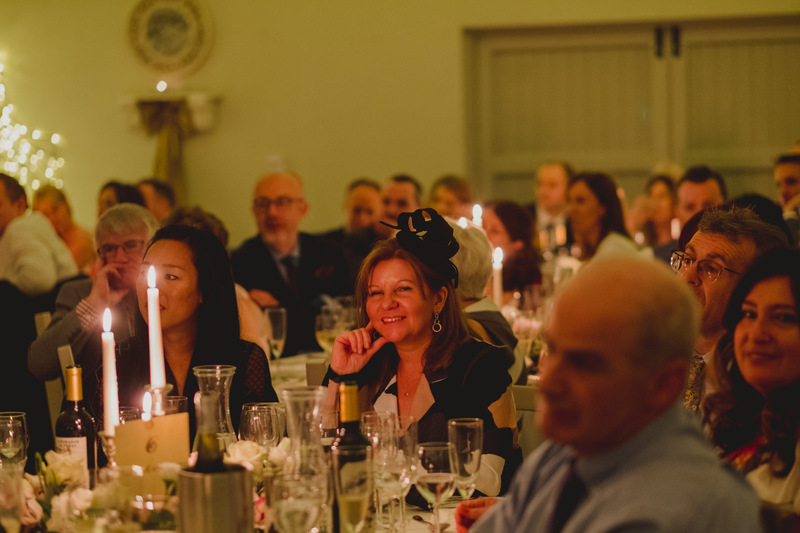 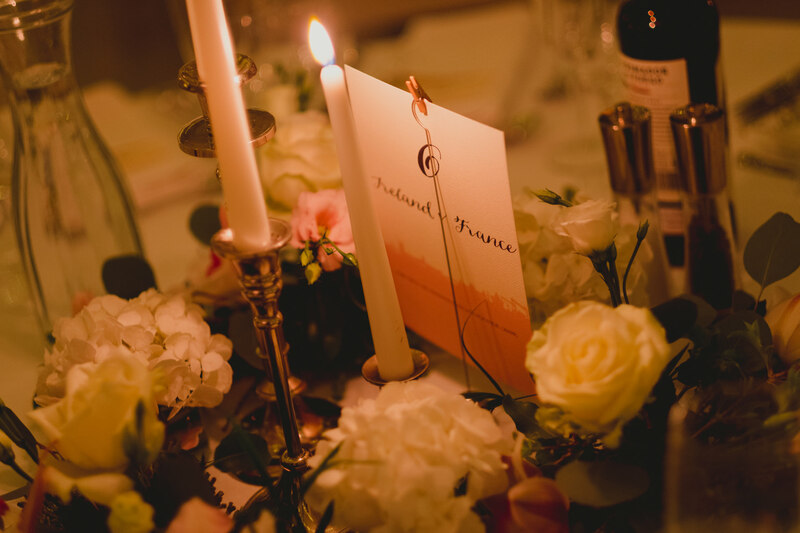 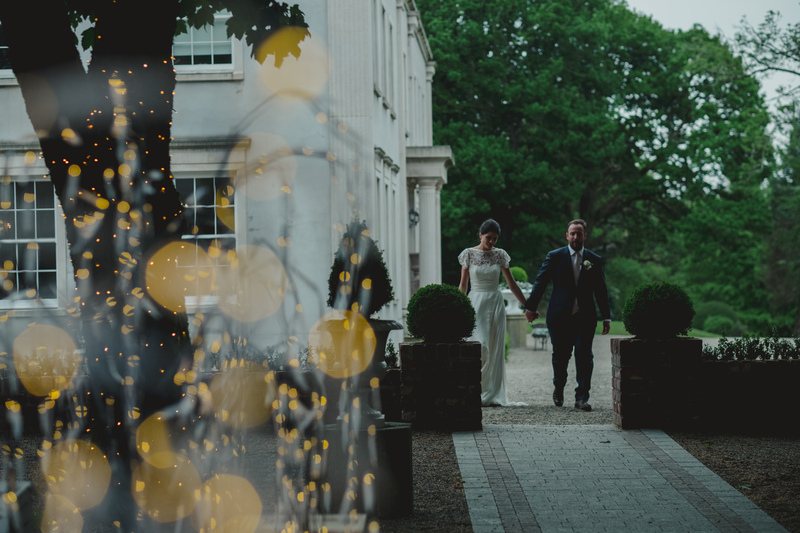 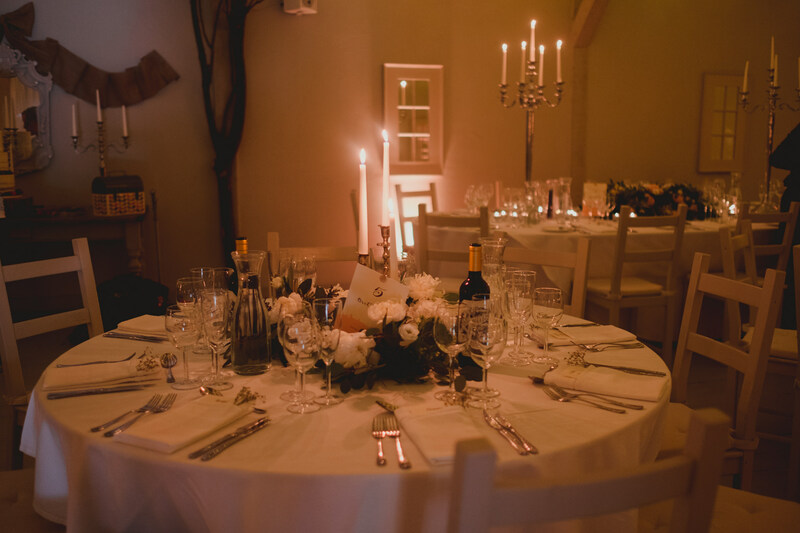 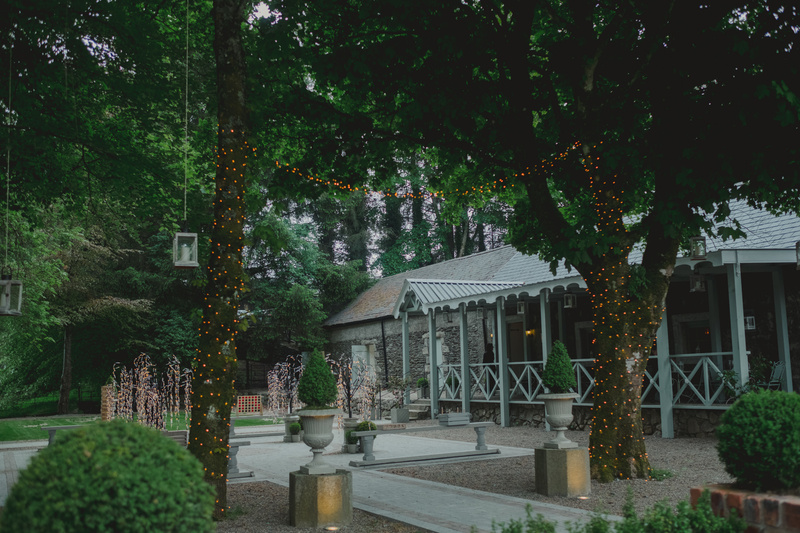 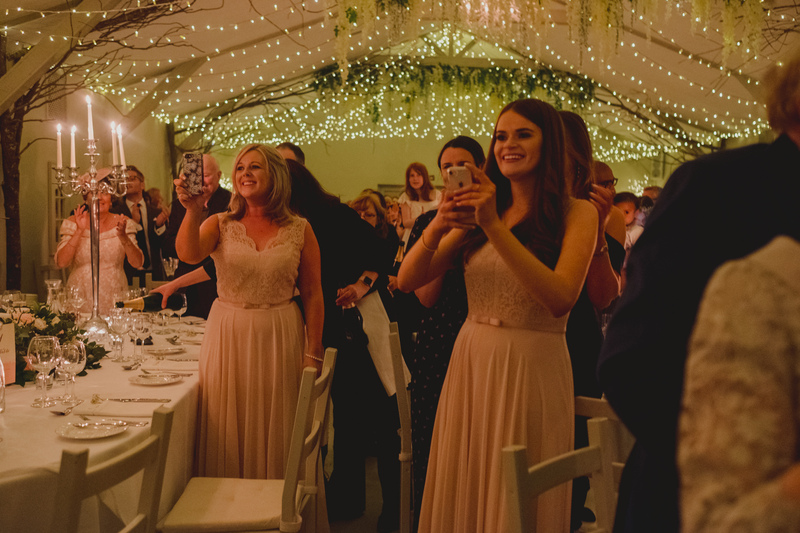 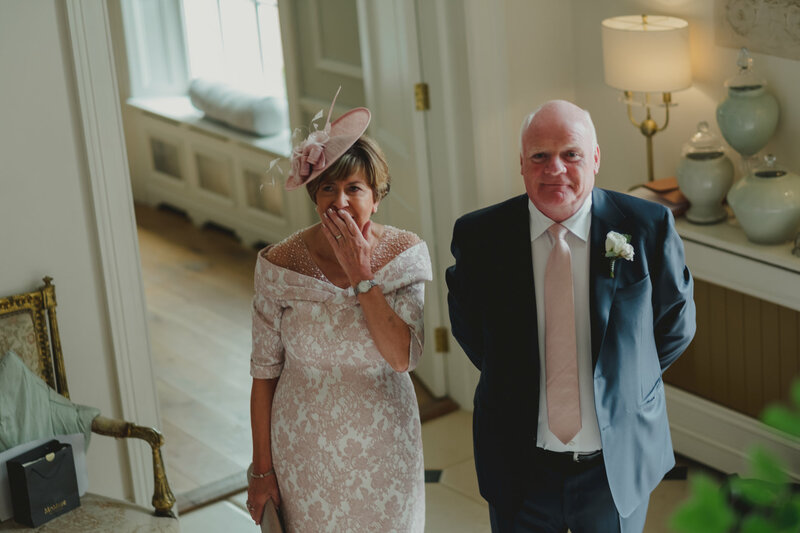 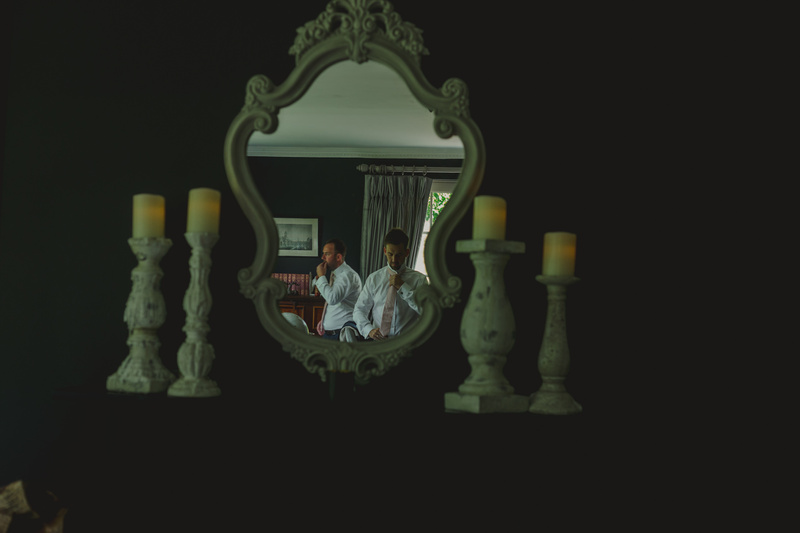 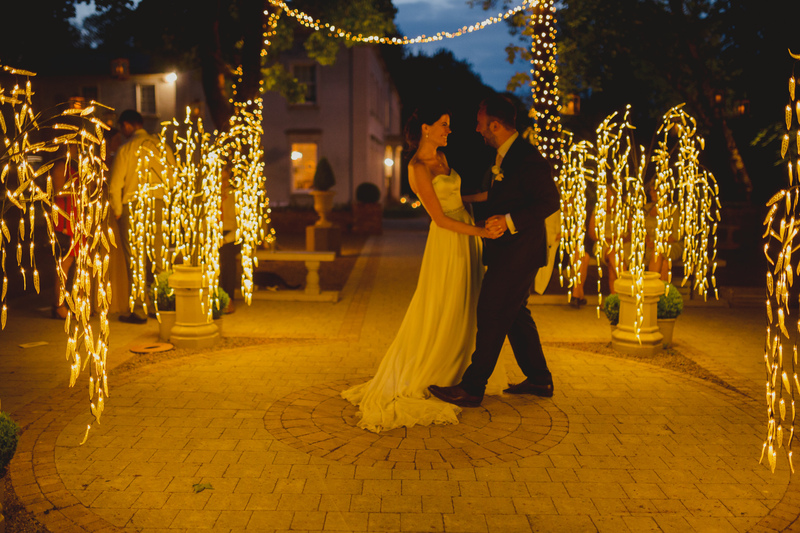 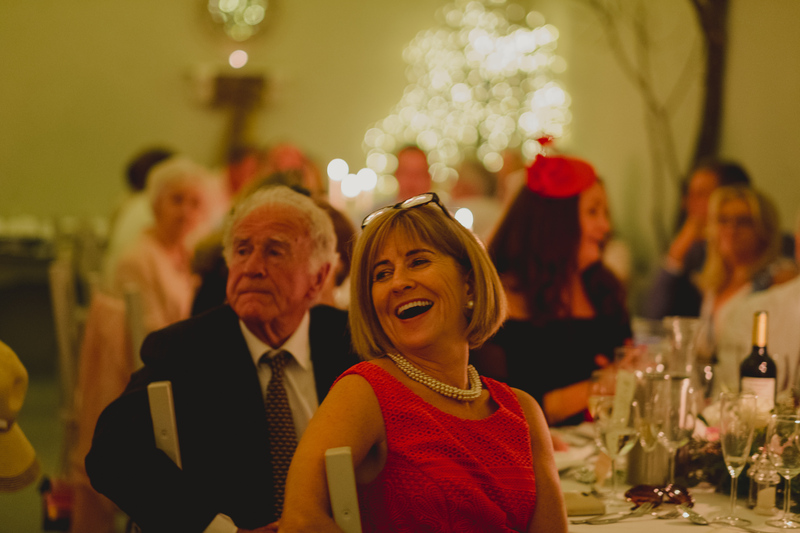 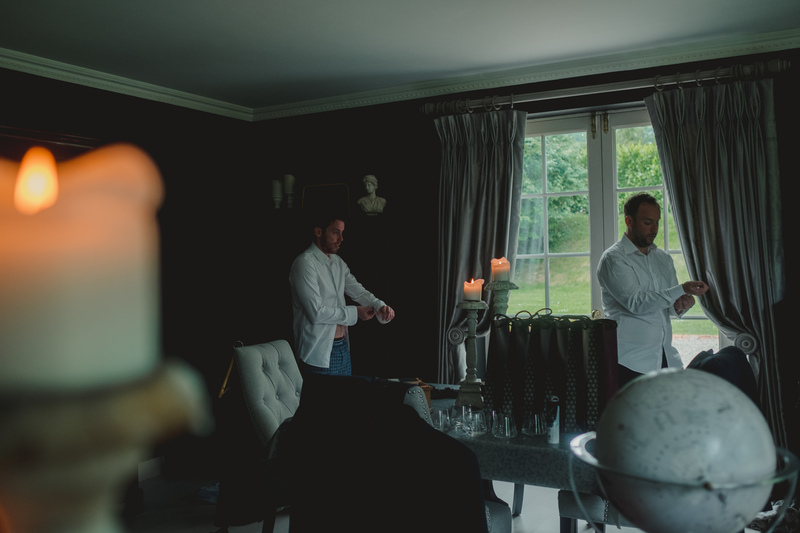 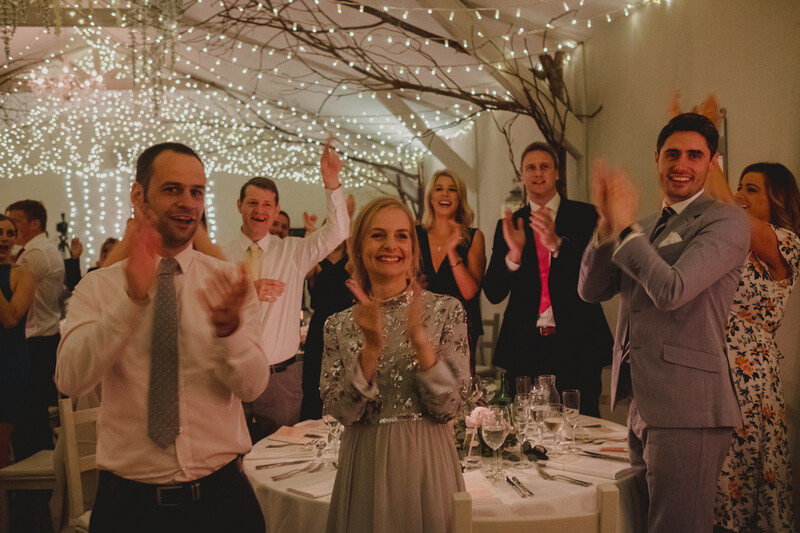 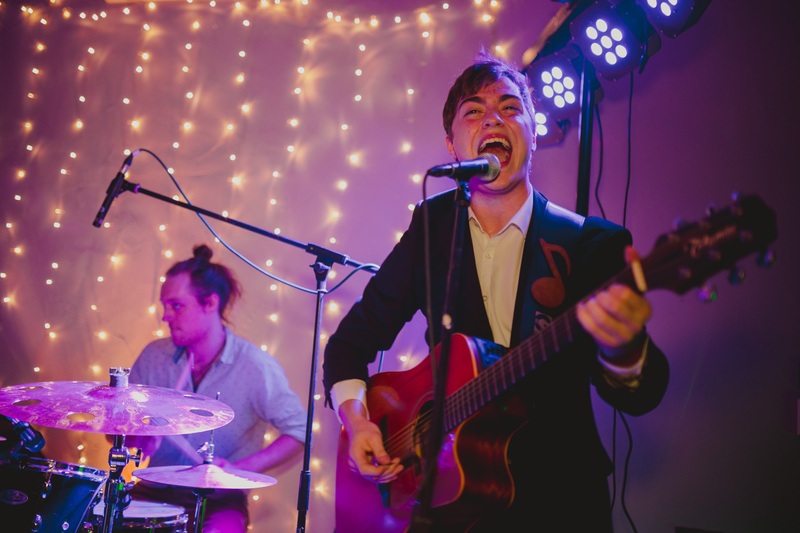 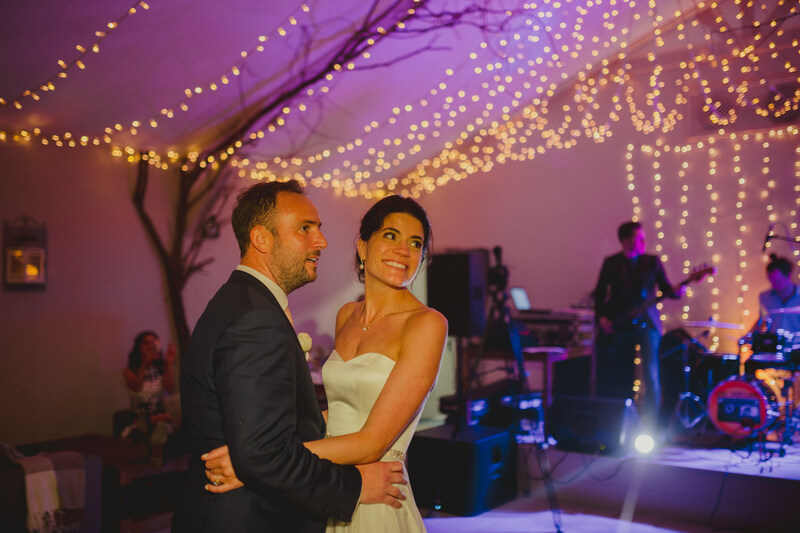 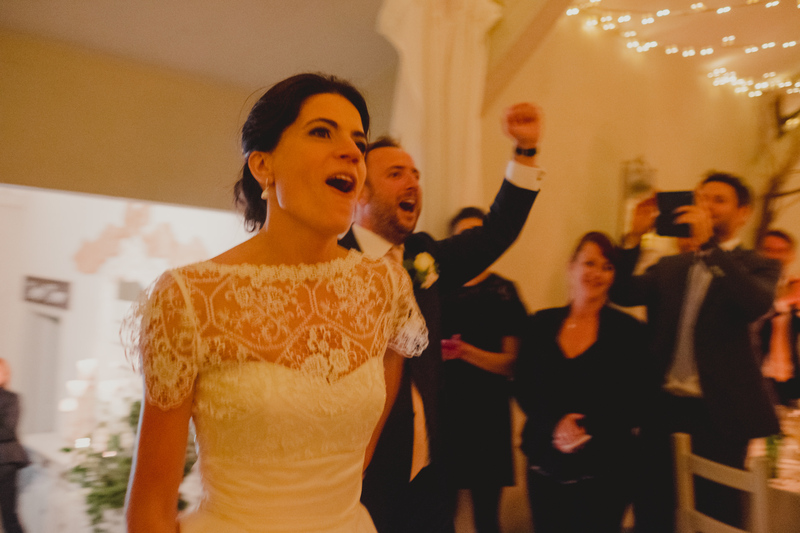 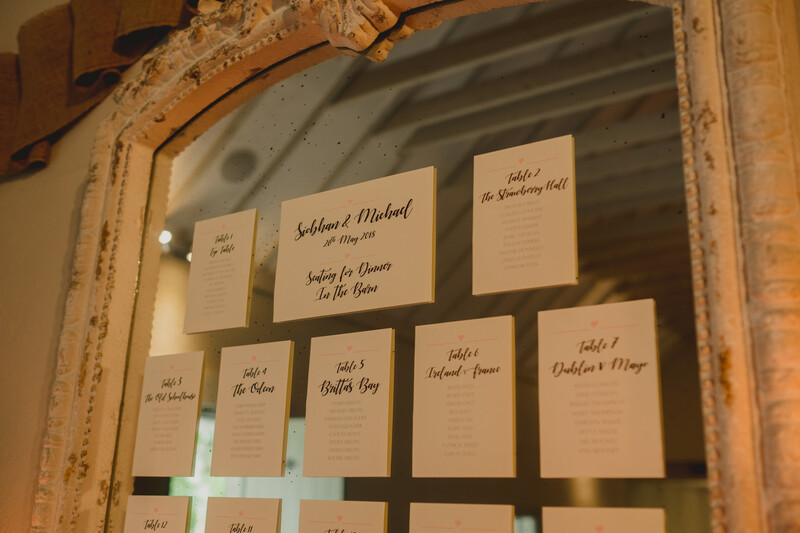 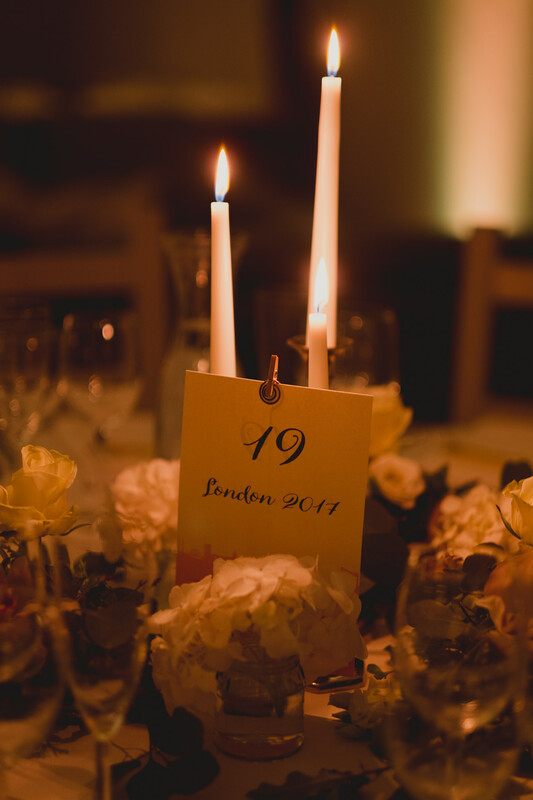 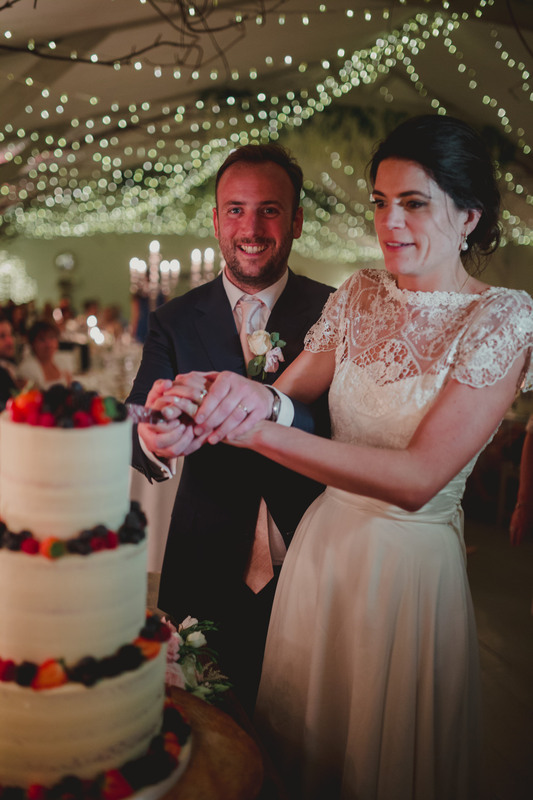 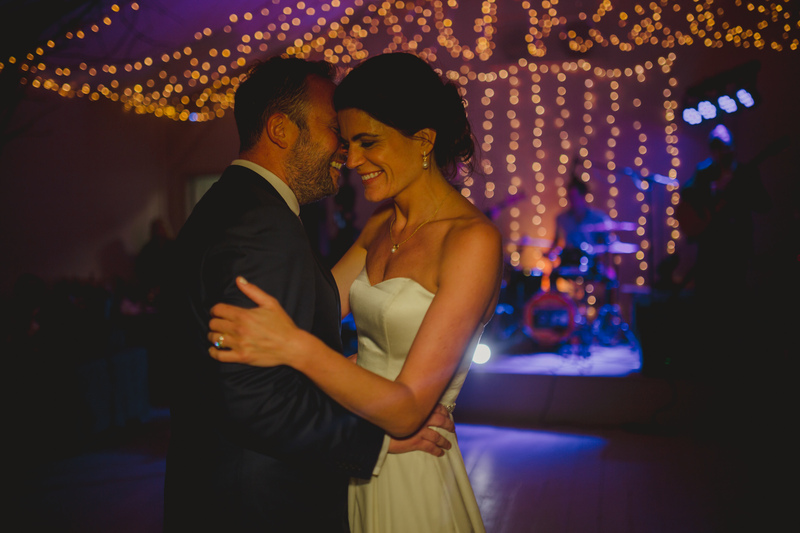 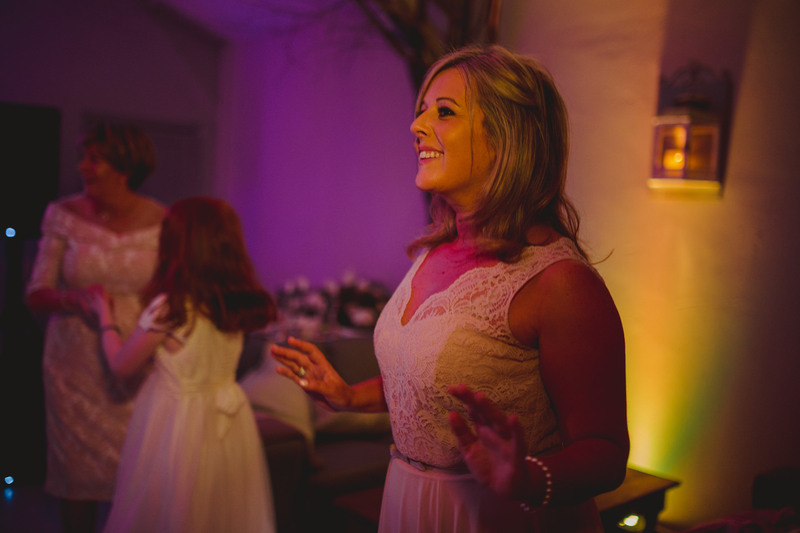 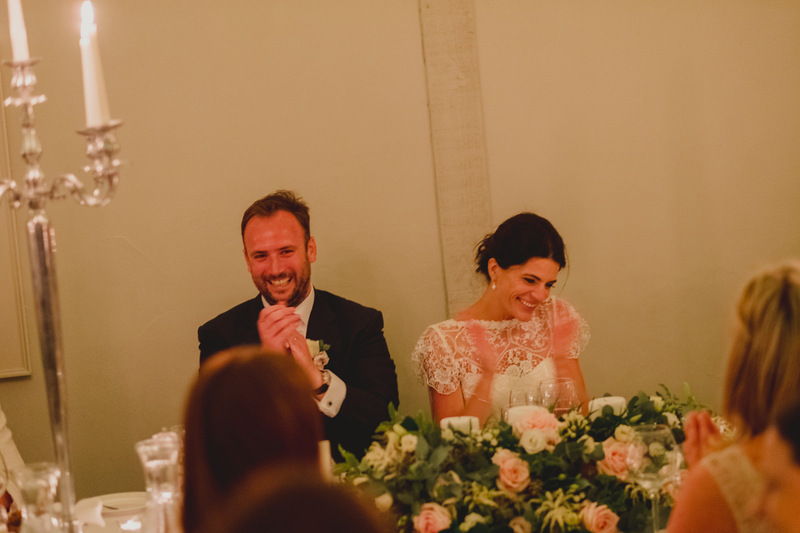 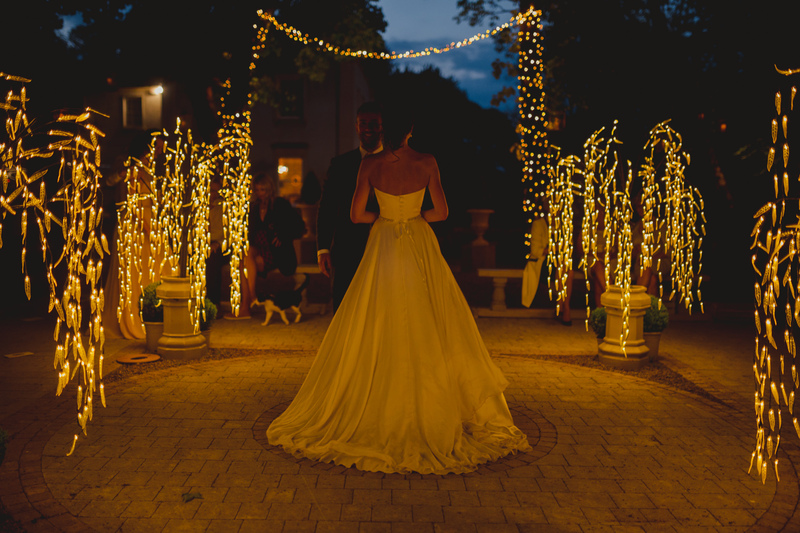 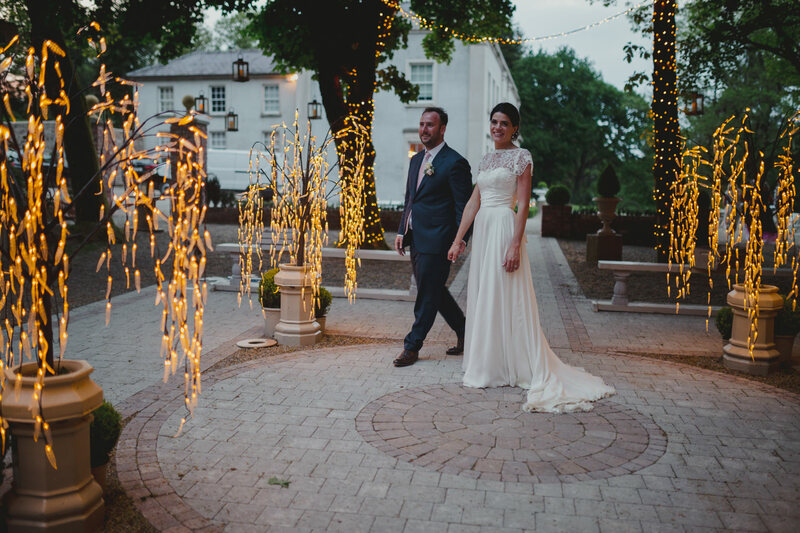 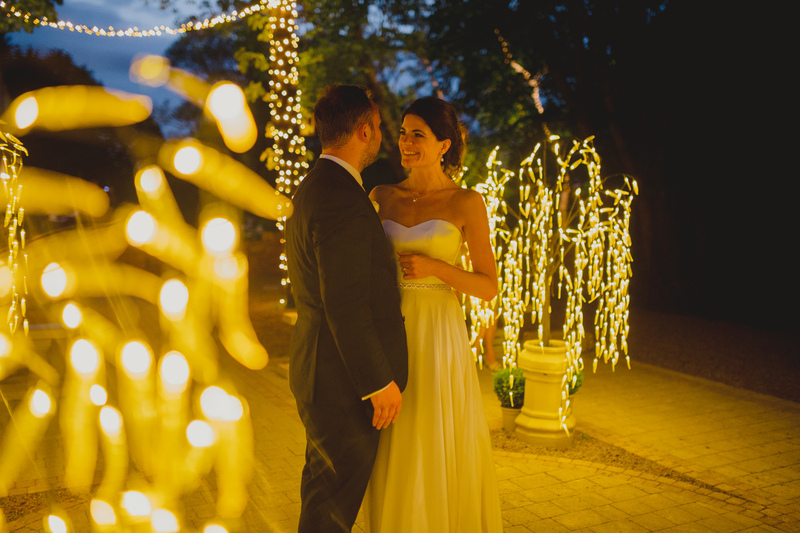 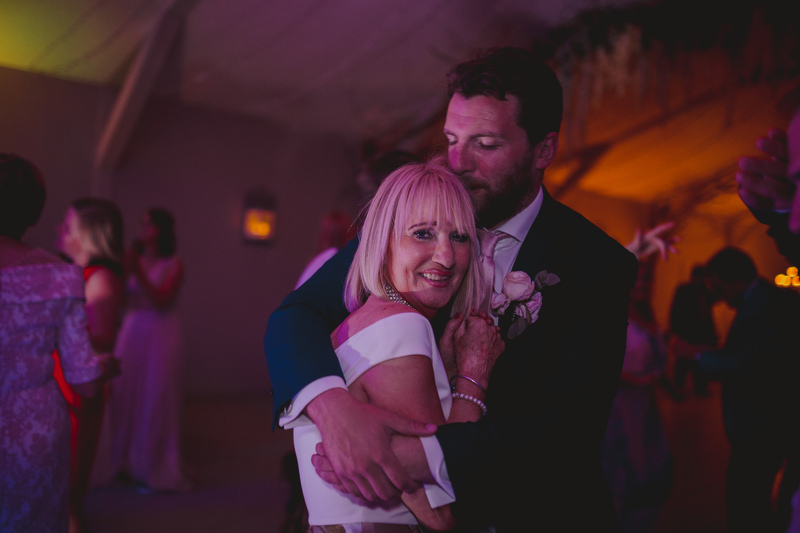 The reception room at this Clonwillam House Wedding was perfectly decotrated with fairy lights, which illuminated the couple as they walked in, to cheers of Ole Ole Ole. 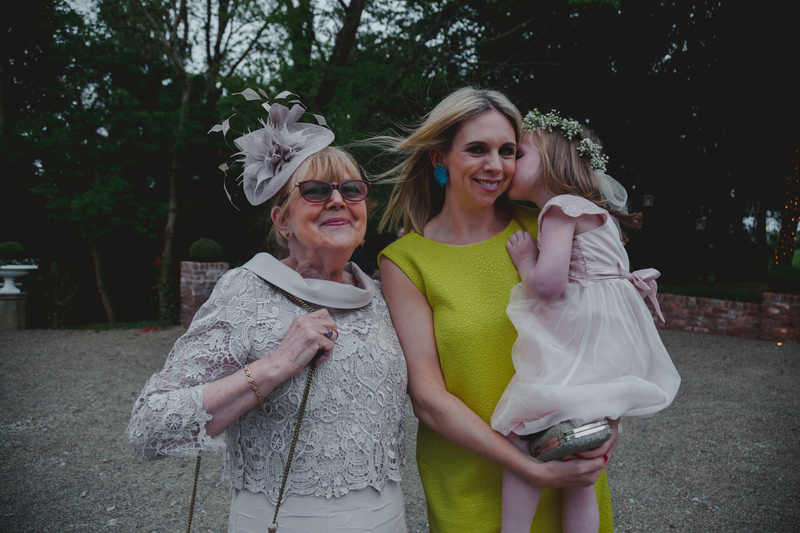 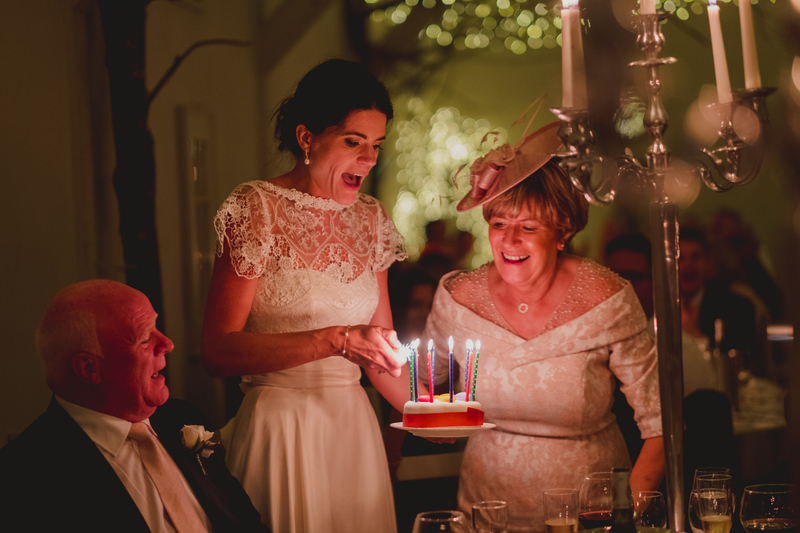 Mother of the bride and one of the couples Flower Girl’s celebrated birthdays on the wedding day and Siobhan and Michael made sure to mark the occasion properly with a candle lit birthday cake, brought out during speeches to song. 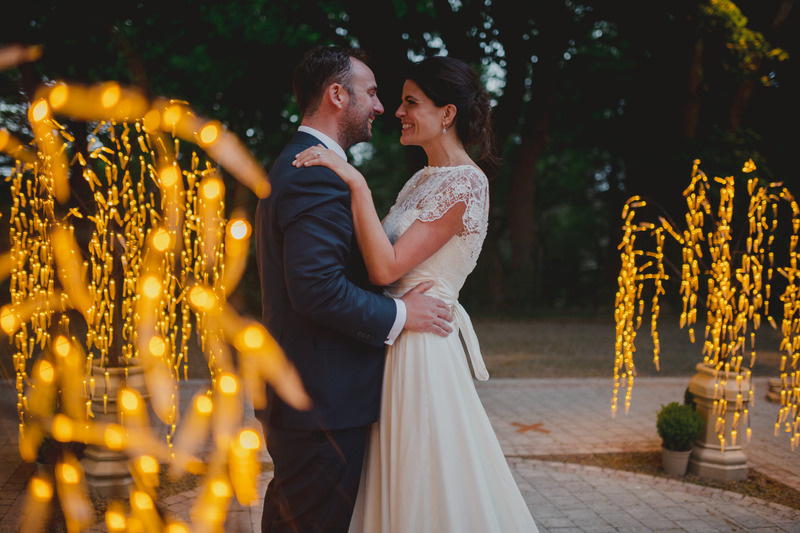 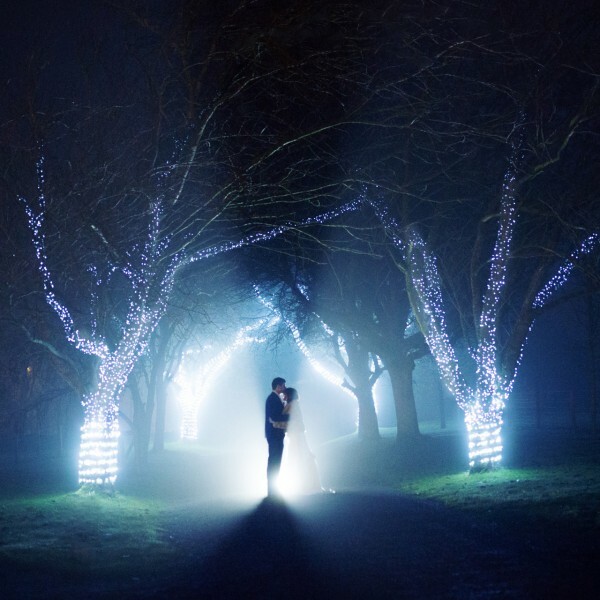 To end this fantastic Clonwilliam House Wedding, we ventured outside for some final evening bridal portraits infront of the newly installed outdoor fairy lighting, making Siobhan and Michael the first newly wed’s to make use of Clonwilliam House’s new offering. 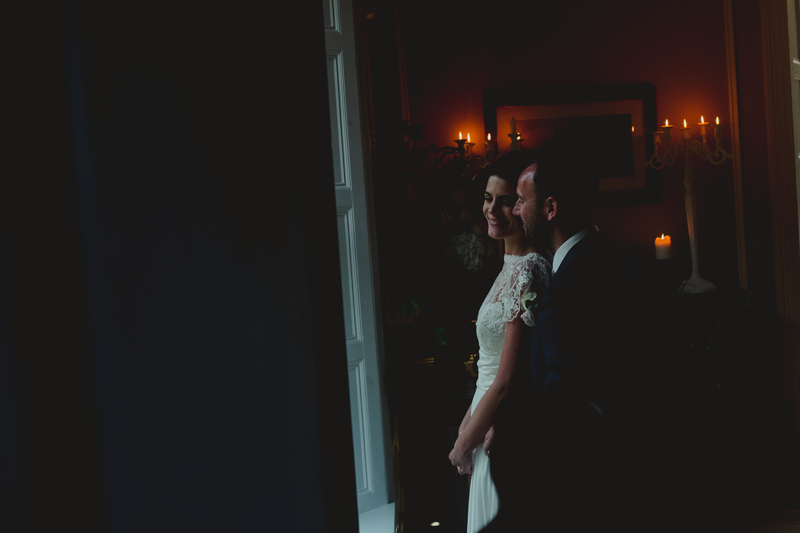 Thanks very much to both Siobhan and Michael for having us a part of their special day.